Ever had that feeling, where you adamantly wanted something and just wanted it? That’s precisely how I felt, when i received an invite to be a part of the press conference, which was held at VR Bengaluru. 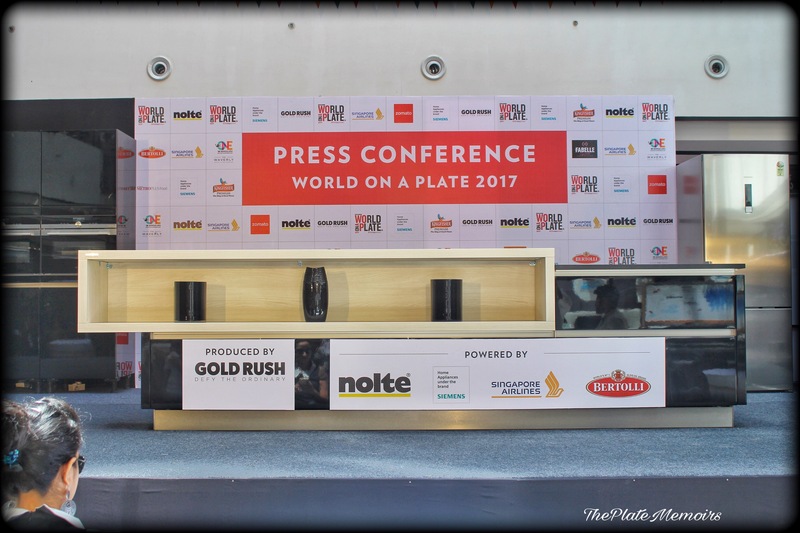 World On A Plate -Season 2, had commenced again and this time, I absolutely did not want to miss the opportunity. Read on about my experience. 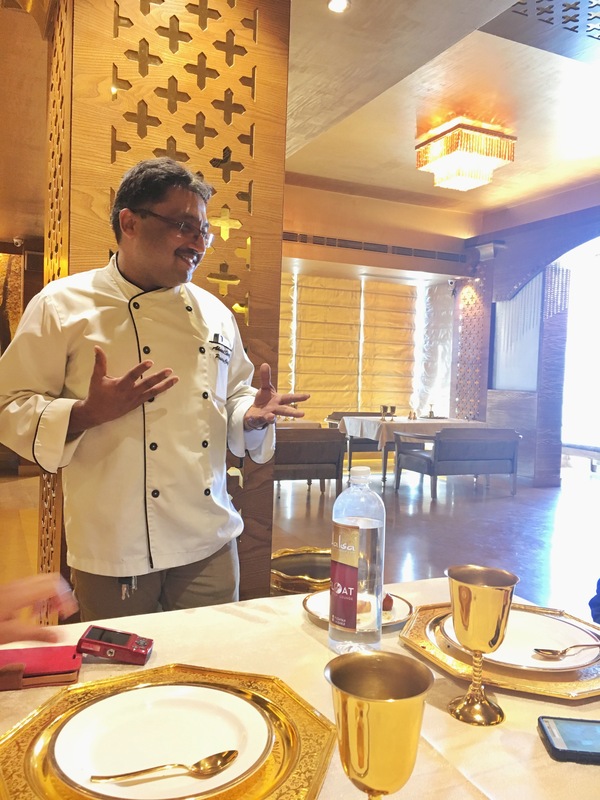 If their prodigious aura on screen, wasn’t enough, I found myself amidst these stalwarts of culinary arts, wooing me over with their physical presence at VR Bengaluru. We, were seated in our round tables and awaited their arrival. 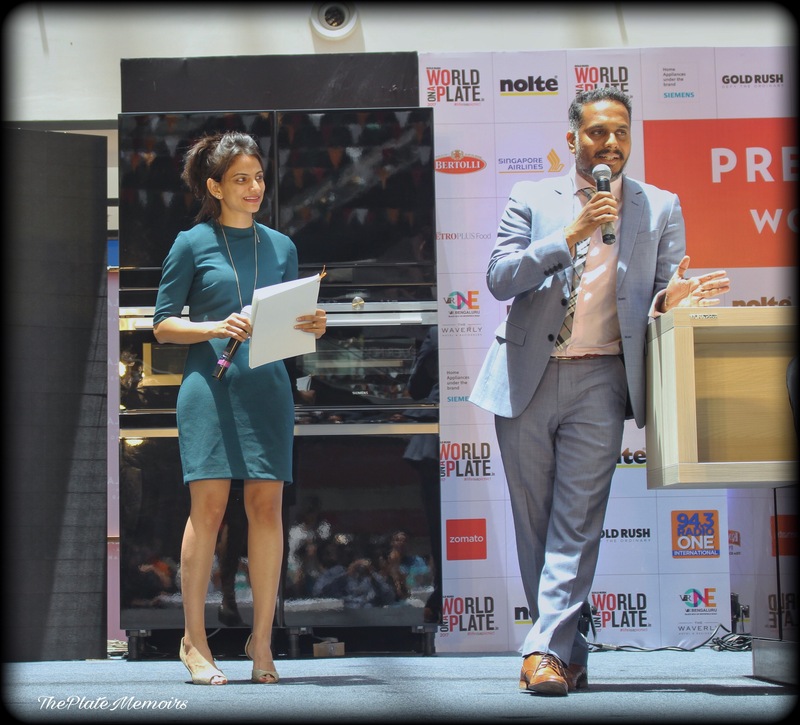 The event started with Mr. Kiran Soans – CEO, GoldRush Entertainment, addressing the audience about how he and his partners conceptualised the “WOAP” series. He also spoke about the challenges that they faced during WOAP-S1. Going ahead, with their passion to excel, they confronted the hiccups and marched ahead with WOAP-S2. This year, it is being held in 2 cities, Bengaluru and Mumbai. They do have plans to expand into other cities as well, for the next season. 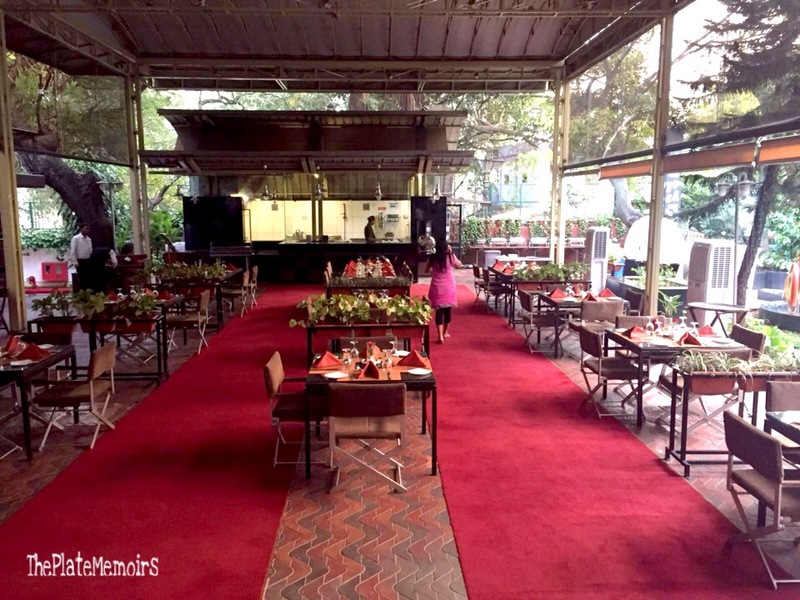 Gold Rush Entertainment has always been the pioneer in envisaging top notch premium events. As, we all are familiar with “World On A Plate-S1” being an astounding success, the stakes are higher this season, because expectations have bloomed. And, they delivered. 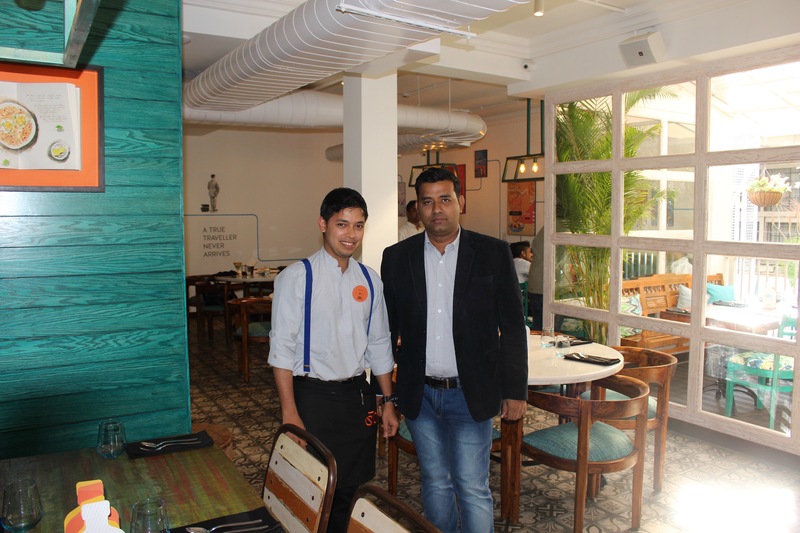 Standing staunchly, with “Let’s do this” stance, Mr. Kiran Soans promised to cater to all your expectations. 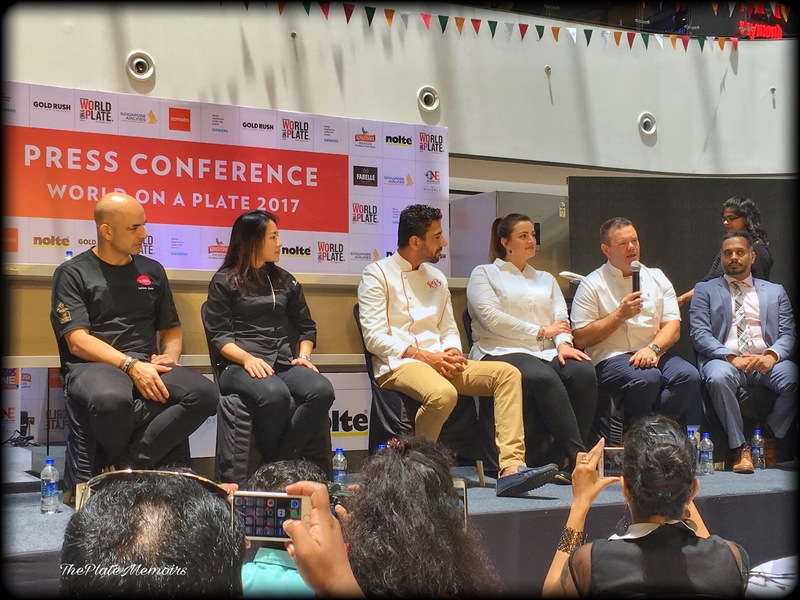 I, had the pleasure to seat myself among a small coterie of bloggers & media personnel, who were chosen to witness the “Press Conference”, which had the culinarians Gary Mehigan, Ranveer Brar, Elena Duggan, Adriano Zumbo & Janice Wong address the gathering and talk about themselves. 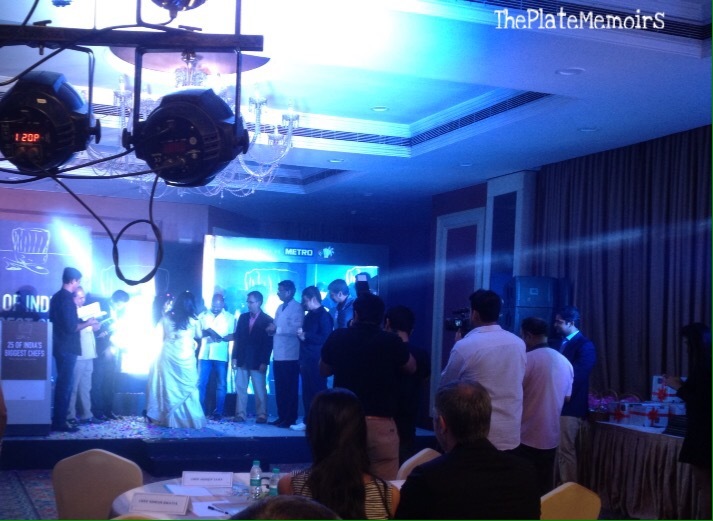 After the customary introductions, all of us were in for a surprise when they unveiled the plans Mr. Kiran Soans & his partner had in store for us. They were launching the WOAP ACADEMY. 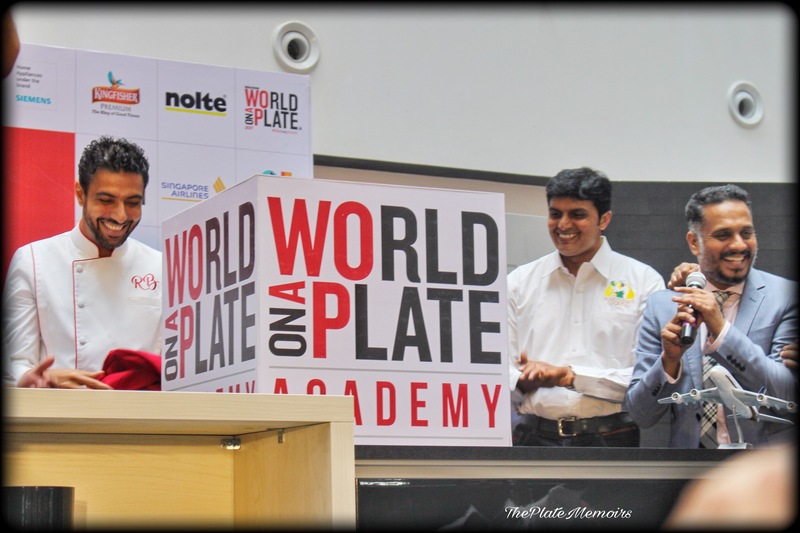 Yes, the WOAP ACADEMY, would be a finishing culinary school for chefs in India, who would be able to get that much needed finishing touch, before they are let out into the field. 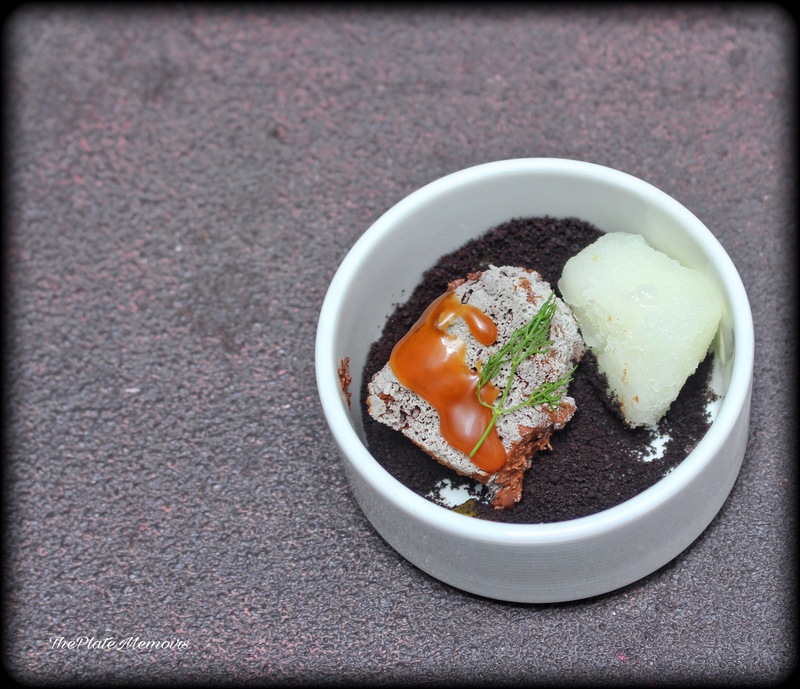 4) Chef Janice Wong’s ” Chocolate H2O- Chocolate Water Mousse, salted caramel, Yuzu Sorbet and Chocolate Dust. 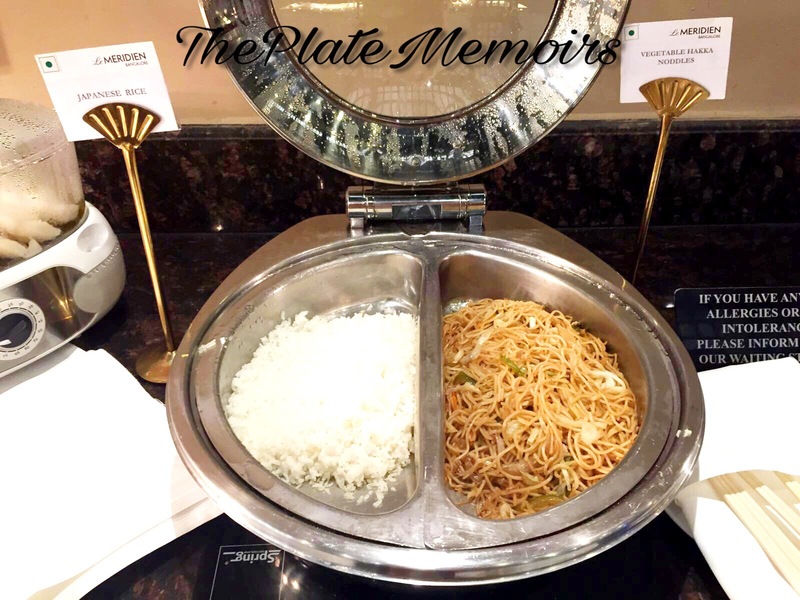 We, were also given the privilege to have a private tête-à-tête with the Masterchefs, and get your fan moments done as well. All in all, a very successful meet. The WOAP-S2, on 3rd June, was a smashing success as well and all we heard was how, everybody is waiting for WOAP-S3 now. Last, but not the least, how can I forget mentioning Mr. Deepayan Roy for extending the invite and for being ever so kind. Thank you, Mr. Deepayan! I’m almost expecting the courtesans to come out with their tanpuras, clinking their anklets and swirling their lavish skirts in perfect circles. 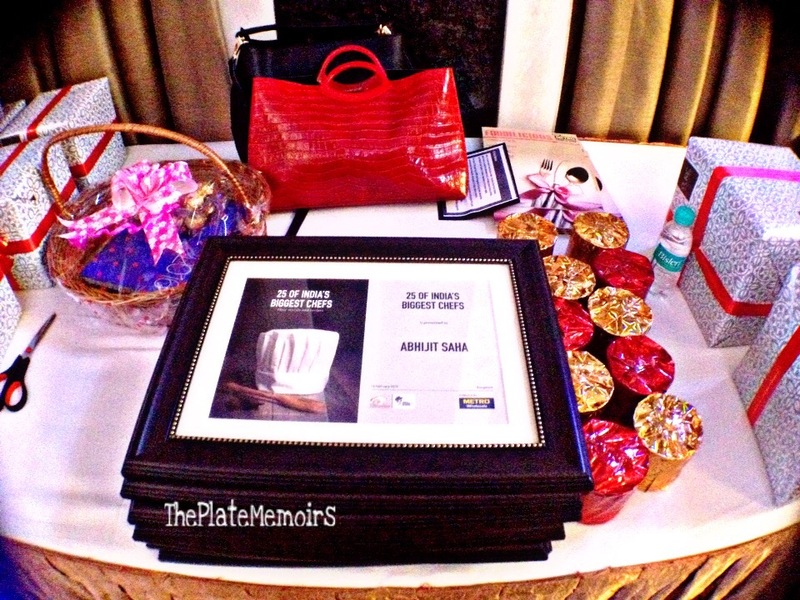 I, was invited over for the bloggers table, to taste test their menu. 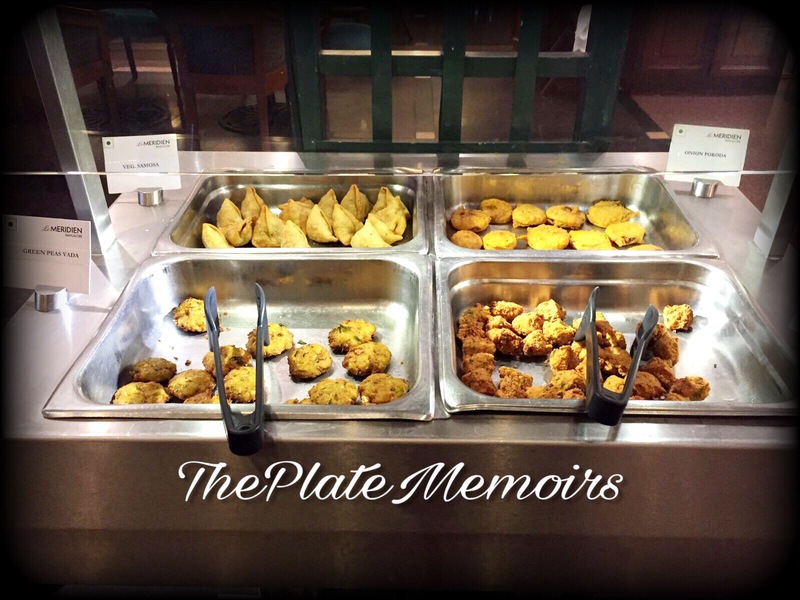 The place has an all day buffet at Rs. 479/- Veg and Rs. 579/- Non Veg. They currently are running a 15% discount on the menu. Decor : The place is doused in a healthy vibe of Gold. 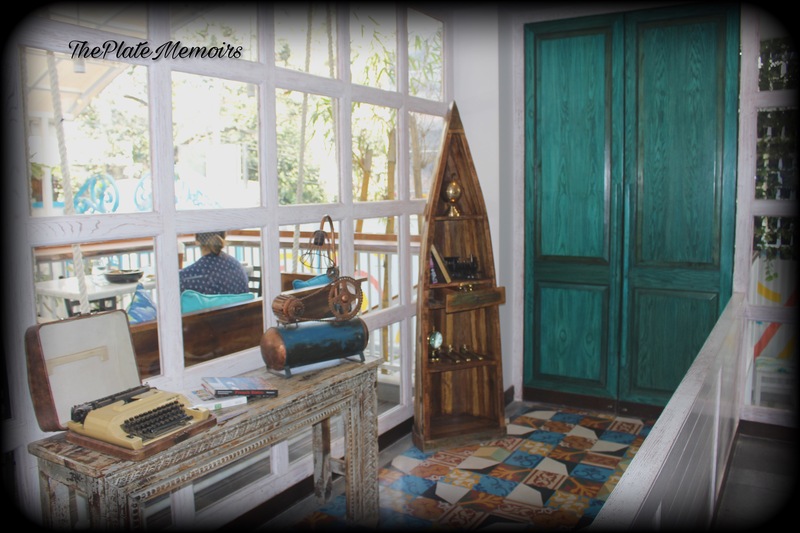 A few pieces of art adorn the place, making the experience more believable. 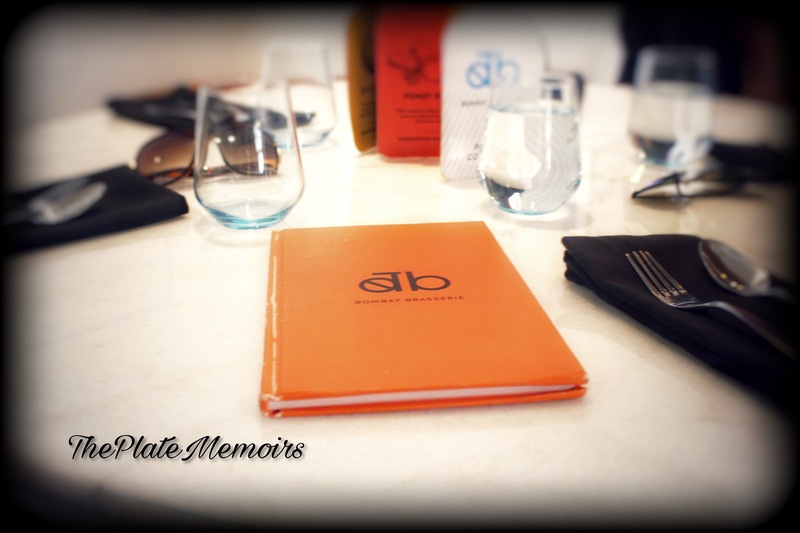 The decor is elegant, with chairs, cutlery and lighting all playing a harmonious part to unwind you completely. Hospitality: No jokes, but this was, in my opinion one of the places, i’ve experienced a class apart hospitality in. You just can’t go wrong, the genuine smiles, the want to understand what you need and prompt service, just make it something unforgettable. 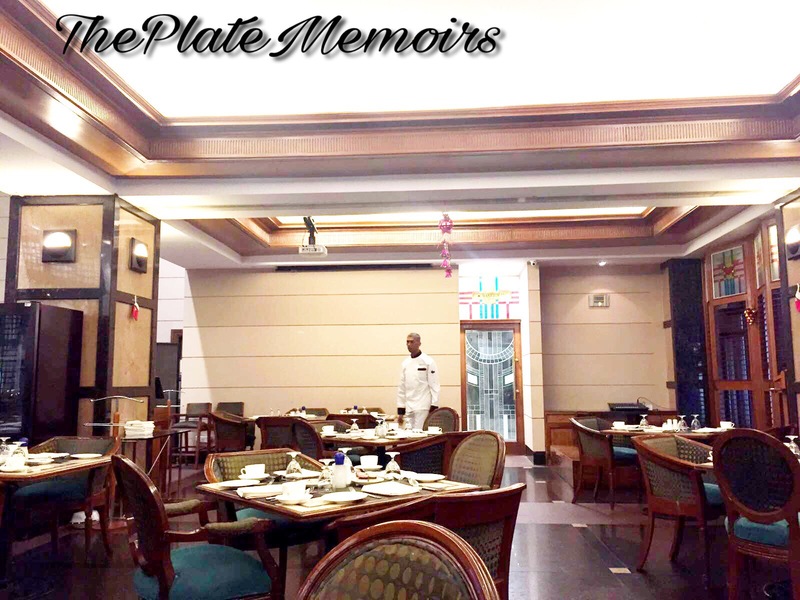 In fact, they even sweetly chime in and say “Madam, thoda aur” (Madam, another helping for you) when you go to their buffets. This I’ve seen during the time I went incognito to the restaurant, some nights before the review. 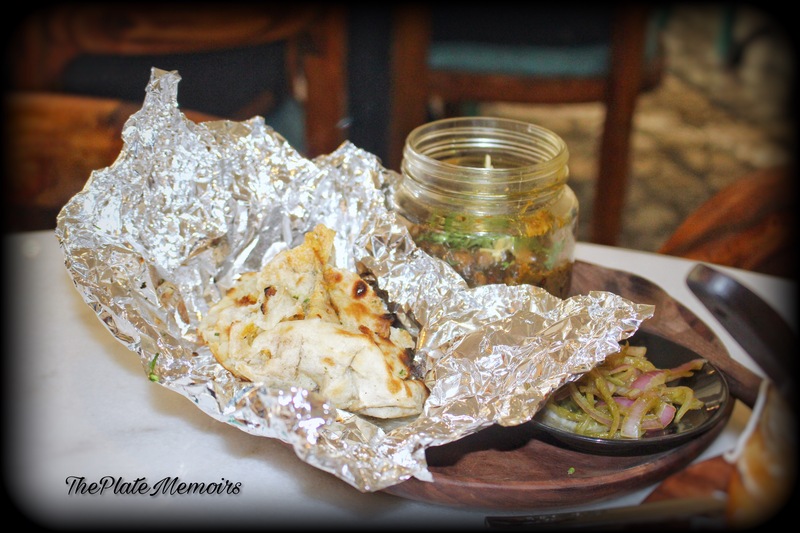 The Grub Story : Allow me, to walk you through the delectable dishes, we relished on that day. 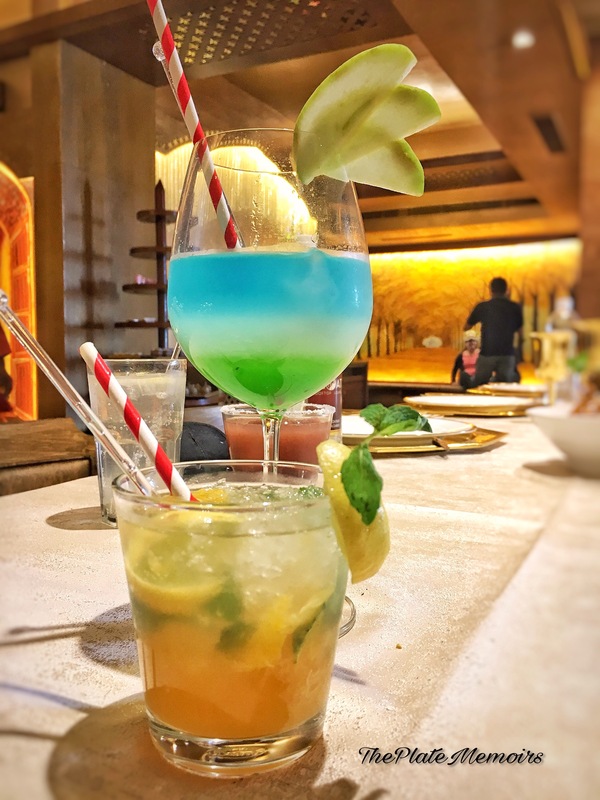 Orange Mint Mojito & Kiwi Flyer : I, truly need to talk about how beautiful these drinks looked, with equal emphasis on the taste. My Orange Mint Mojito, was refreshing with a minty flavour prevalent all across. 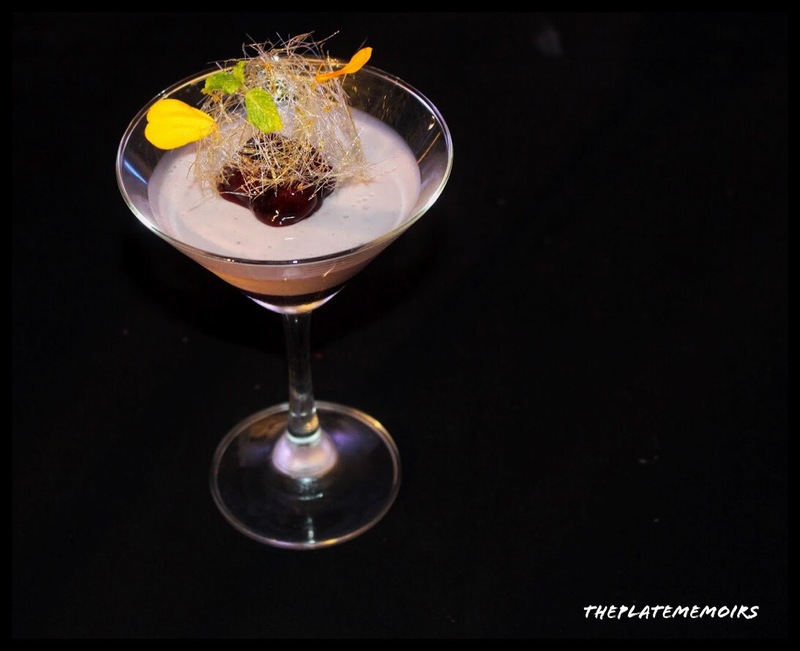 Erstwhile, the Kiwi Flyer was a mellowed out drink with just the most gorgeous flavours & colours of grenadine. 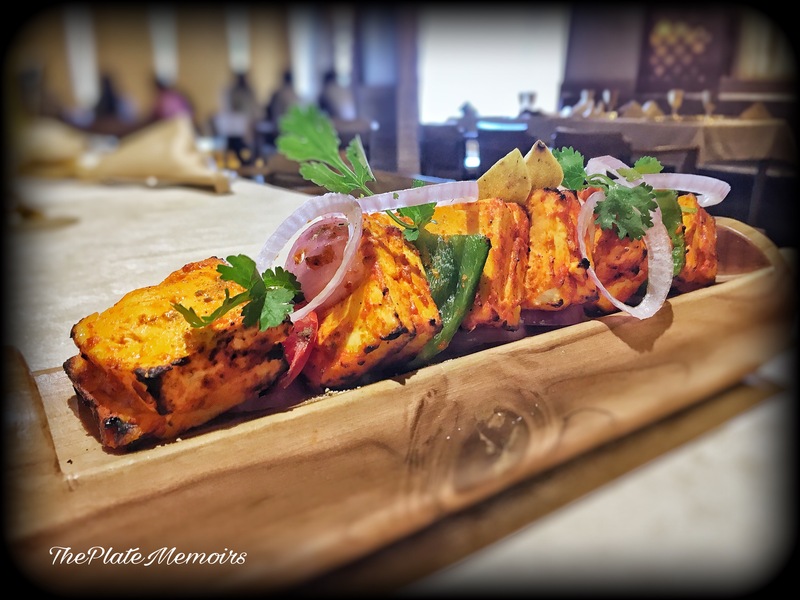 Lal Mirch Paneer Tikka : A subtle take on the Lal Mirch Tikka, wasn’t spicy at all, though I was expecting a punch of Red Chilli. The Paneer squares could do with more intensity, but other than that, it was a fair enough starter. Veg Tart: Apart from being presented neatly, the tarts were a party in your mouth kinds. 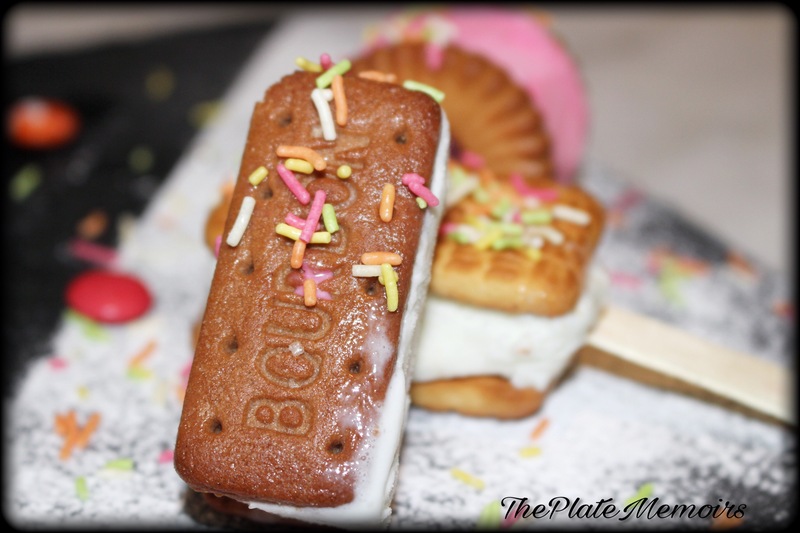 With sweet and salty flavours on the go. 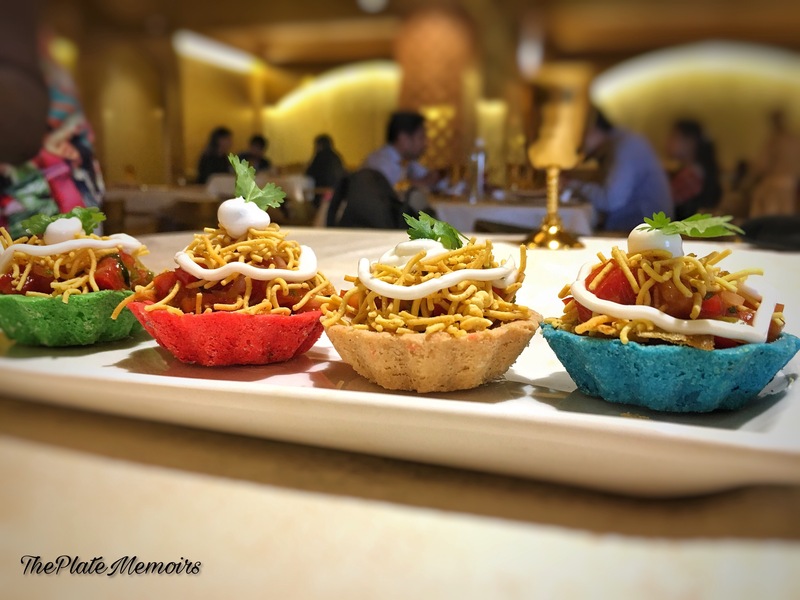 A modern take on the chaat! 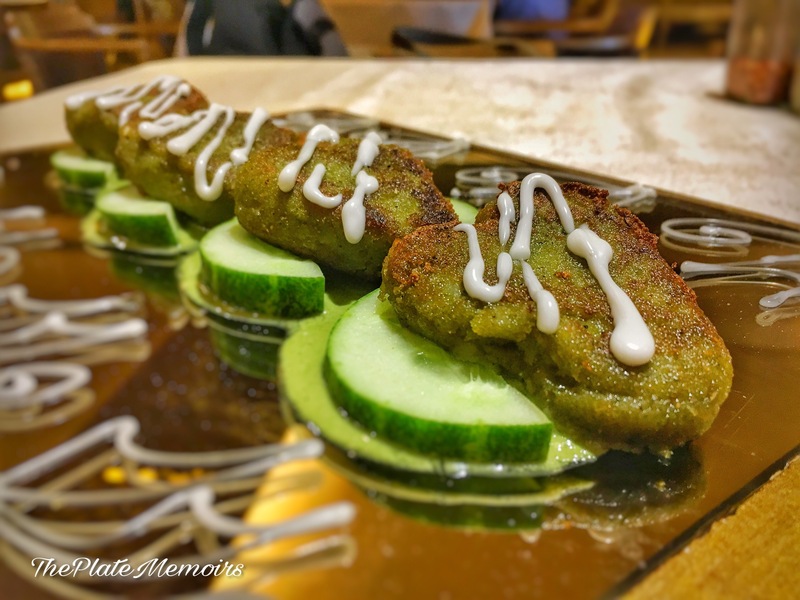 Papaya and Spinach Tikki : By far, the most delicious thing for my palate. There was a distinct cheesy character to the tikki. Melt in the mouth and can’t stop at one kinds. Must have! 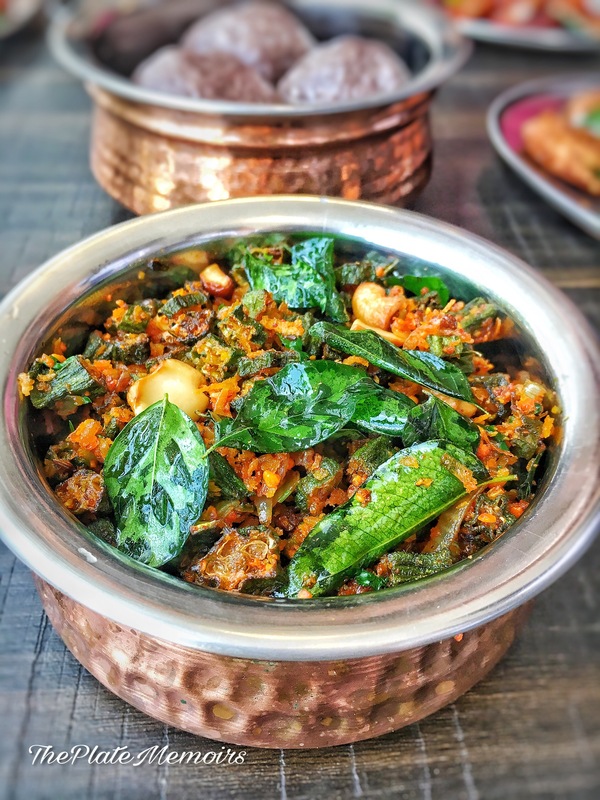 Bhindi Kurkure: Yet another feather in the chef’s toque blanche! 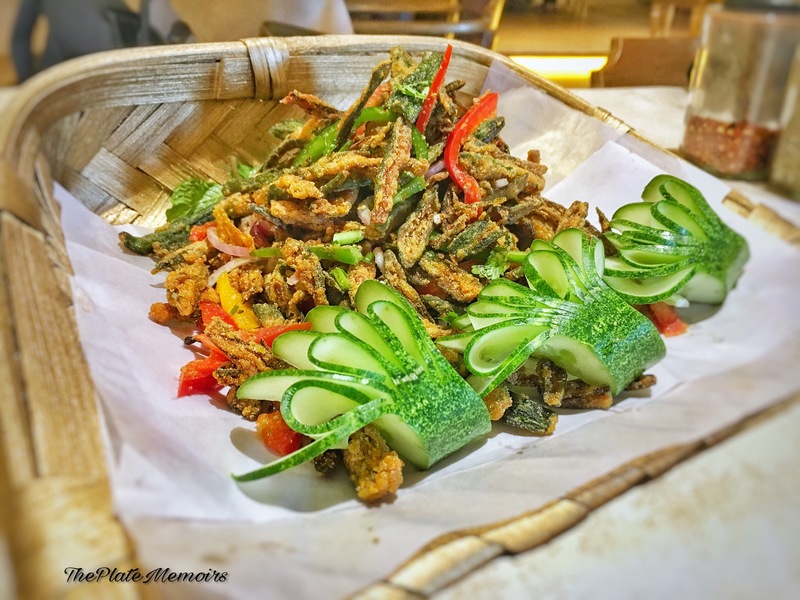 The beauty of this dish was the extremely crispy okra fried with earthy flavours. When you bit into one, the crunch burst out with flavour. 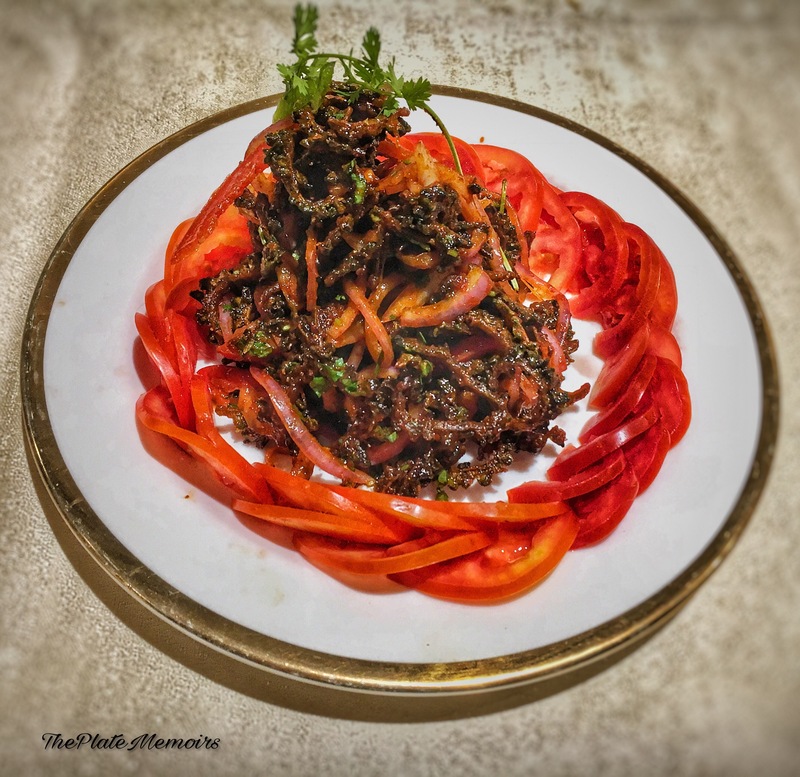 Karela Salad : Usually bitttergourd is infamous for being one the most disliked vegetable, due to the presence of momordicines. 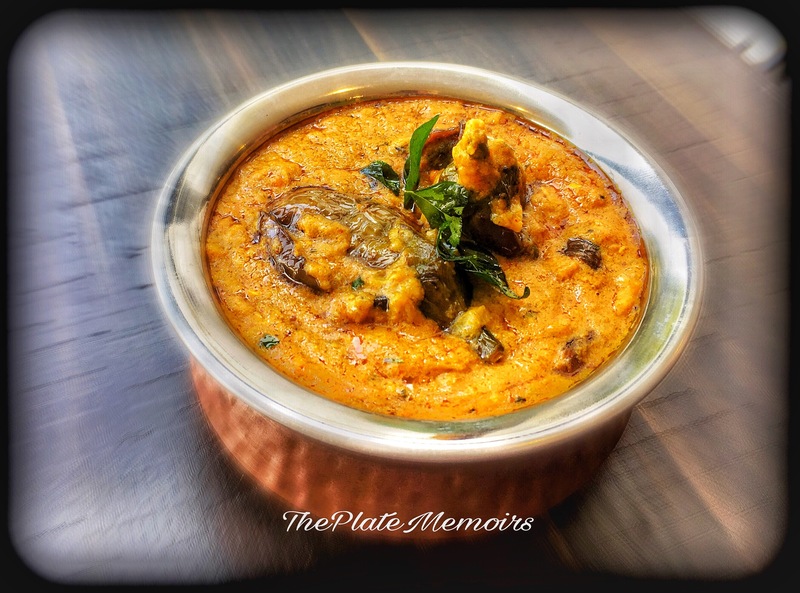 But, this dish had masked the bitterness so conveniently that, it became a favourite among the blogger group. With a subtle sweet and bitter taste, this salad had me converted. 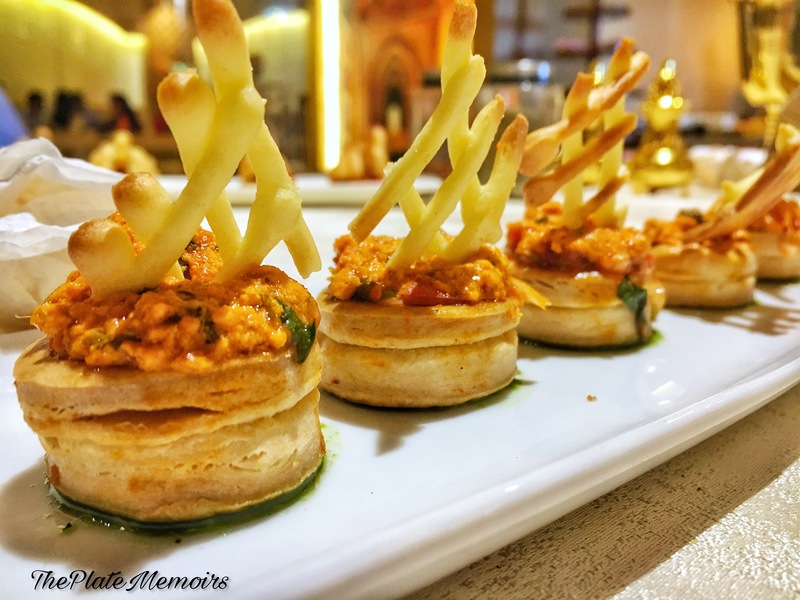 Paneer Vol-au-vents : These were gorgeous to look at, but had a firm bite. Usually, the vol-au-vents are meant to be flaky, crispy and almost delicate, but these were on the hard side. The filling on the other hand was delicious. 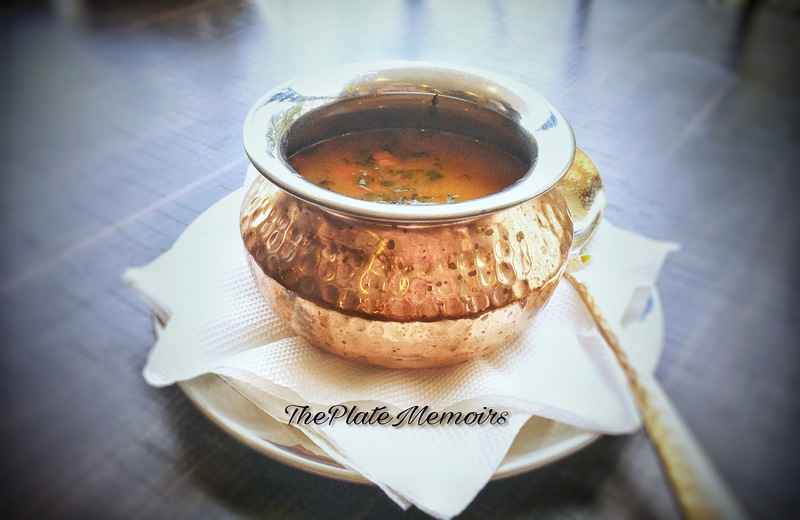 Dal Makhani & Paneer Methi : Both these dishes were something, that I would reach for a second helping for. Both of them relied heavily on being creamy. 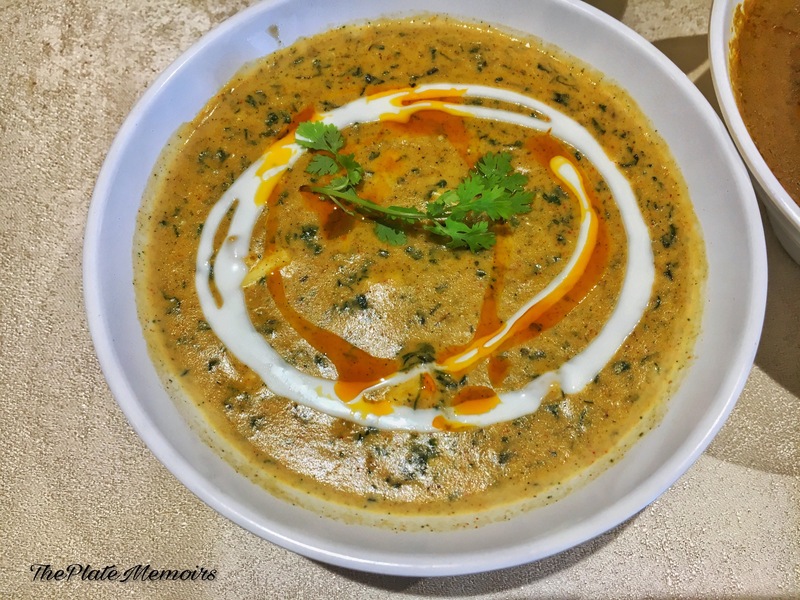 While, Paneer Methi lacked in the base flavour of Methi aka Fenugreek, Dal Makhani made up for the loss by being packed with fiery flavours. 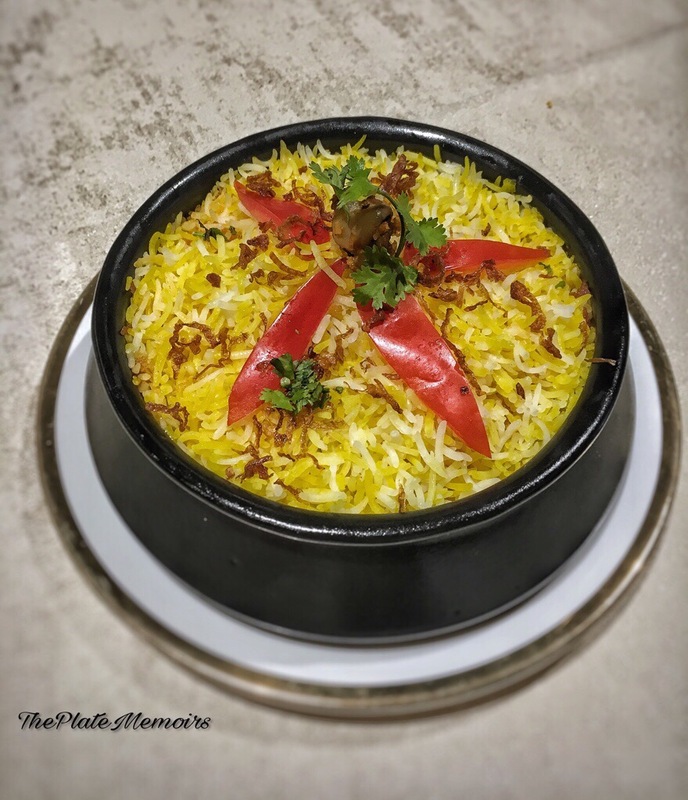 Vegetable Biryani: Vegetable Biryani is an oxymoron, isn’t it? I mean, the whole reasoning of a biryani, is that it’s a one pot hearty dish, which has meat, veggies and rice. 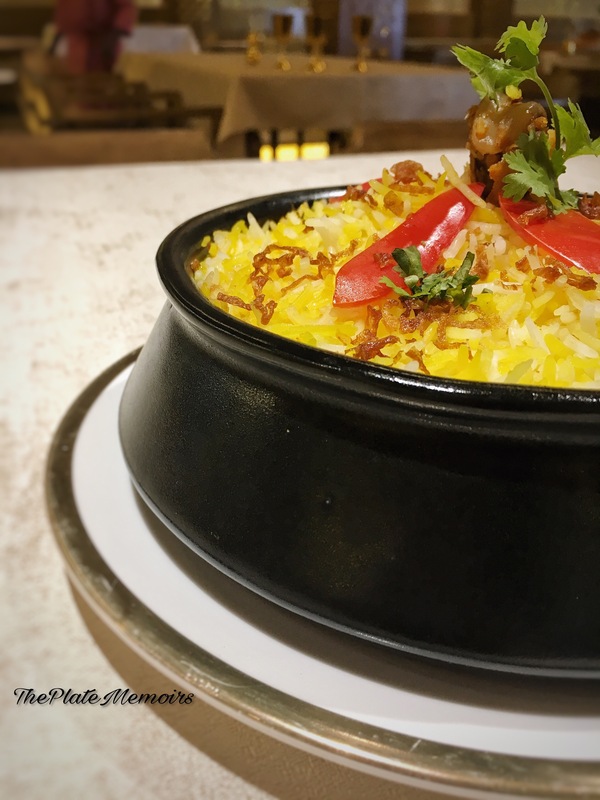 Biryani without meat is just pilaf 😁 So, though this is a vegetable biryani, I would prefer calling it a pilaf. 😁 Light, nicely spiced Basmati rice with veggies. 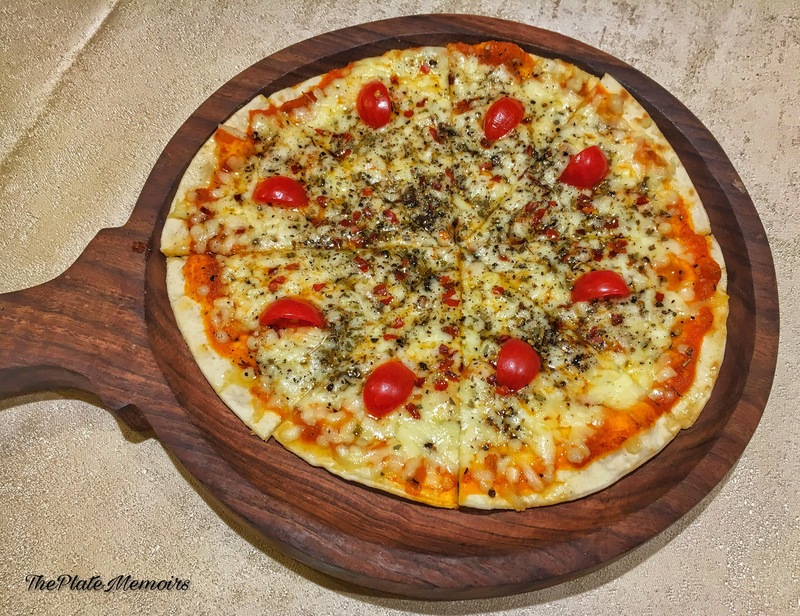 Pizza Margherita : The pizza here actually gave exclusive pizza joints and cafes a run for their money. In love with the thin crust pizzas. 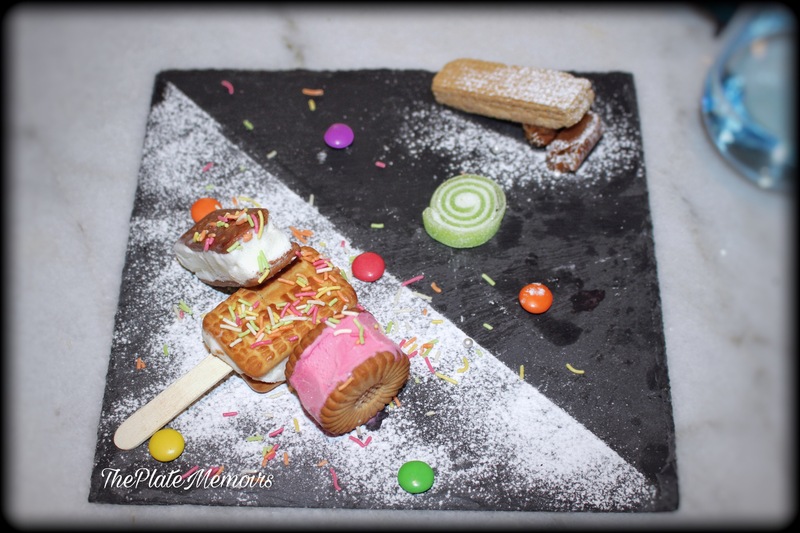 Desserts 🍨 : The desserts were a tricky bunch, I mean, we were spoilt rotten with choice. 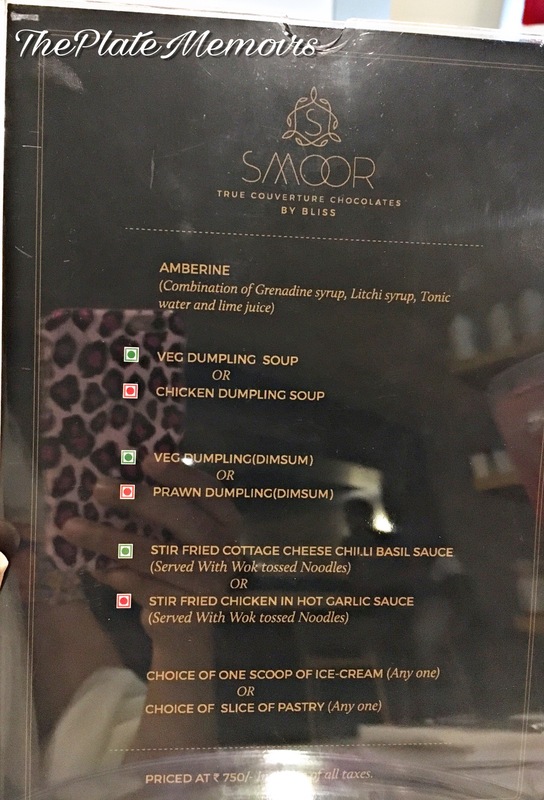 They had a “Paan Panacotta with Gulkand Cream” , “Pineapple Tidbit”, “Chocolate Swan”, “Caramel Custard”, “Blueberry Cake”, “Cheesecake”, etc. 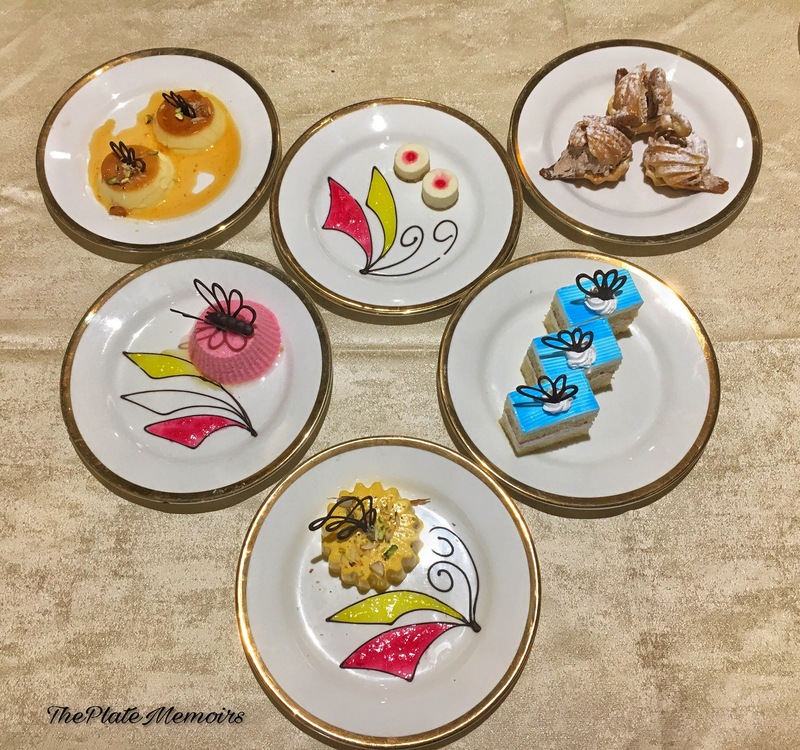 The desserts were plated in a very “JOAN MIRO” style. I’ve always been a fan of ” Joan Miro” and to find that in an albeit amateur form, gets a thumbs up from me. My favourite has to be the “Chocolate Swan” & “Pineapple Tidbit”. 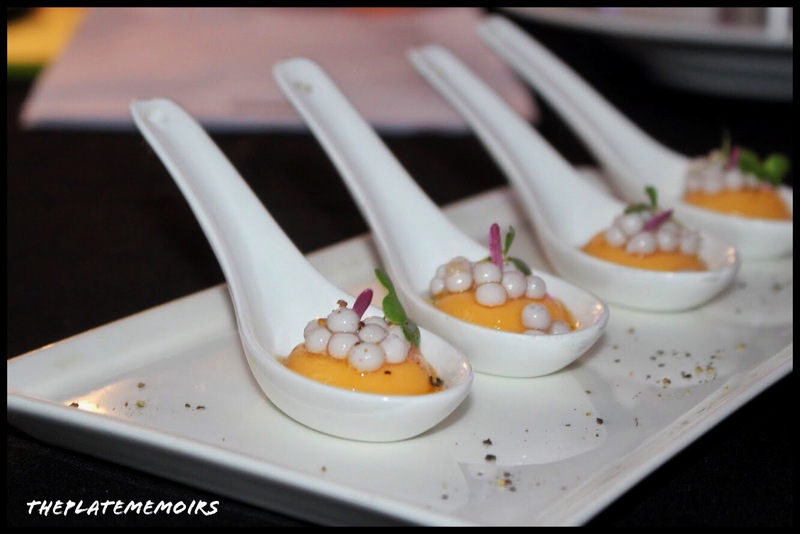 Here’s a glimpse of what the non vegetarian palate had. Verdict : I, was here 3 times prior to the tasting session and I’ve had a wonderful experience. The service or the hospitality wasn’t any different. They value their customers and that I can assure. 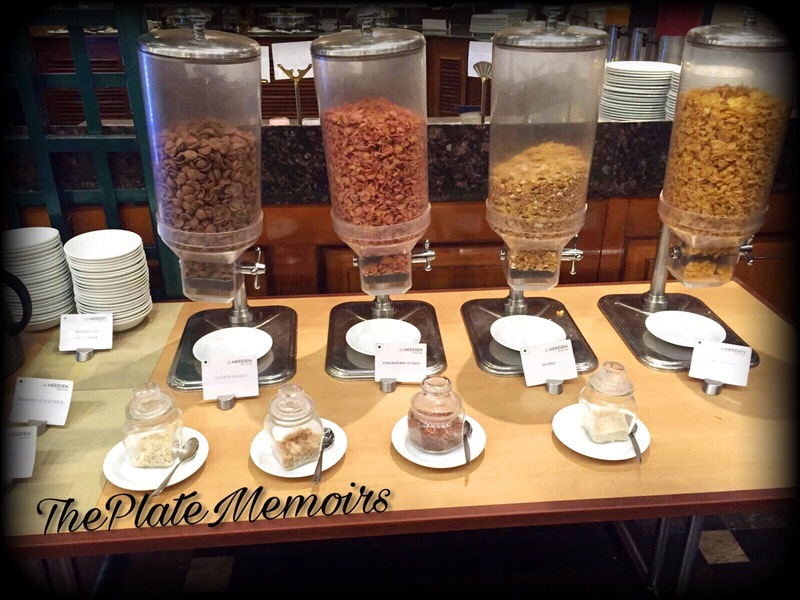 I rate it a total 5/5 for VFM, as their buffets are a steal. 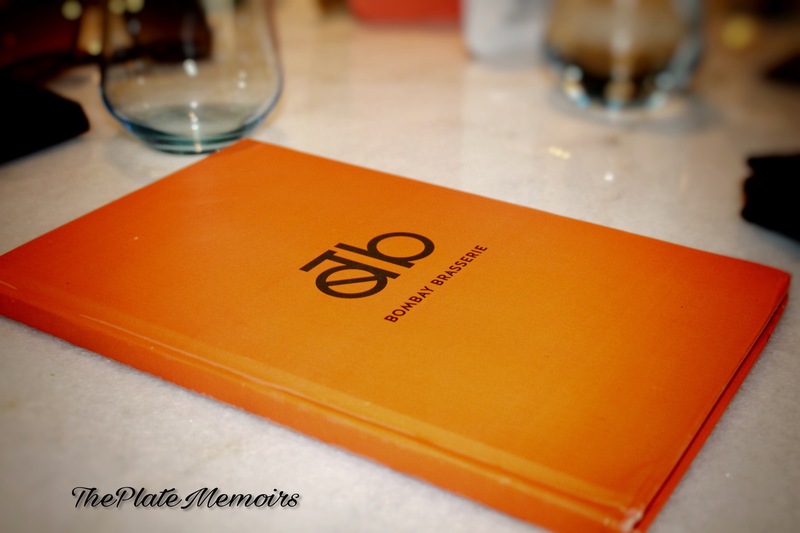 Ergo, this restaurant gets a well deserved 4 star for being awesome yum! 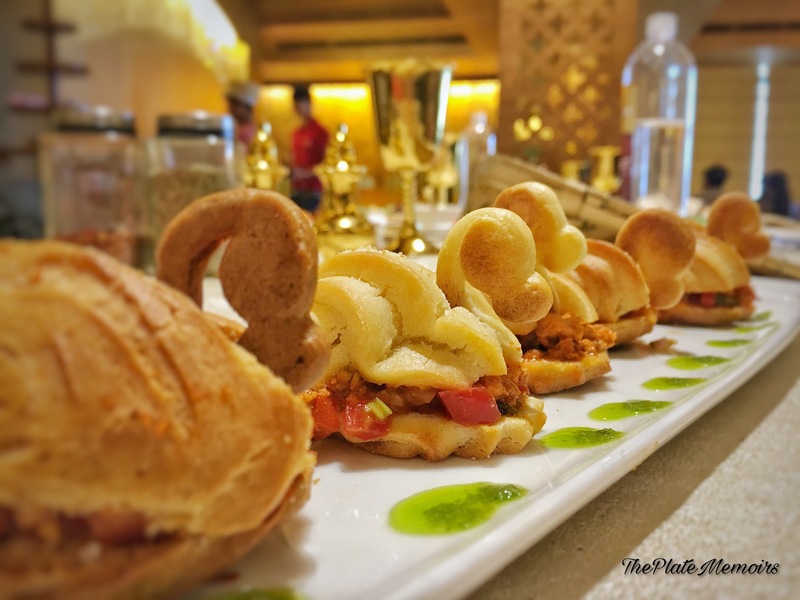 Go douse yourself in royalty & treat your tastebuds to some finery. Long before the days of Mumbai, I knew Bombay through the mind of a child. 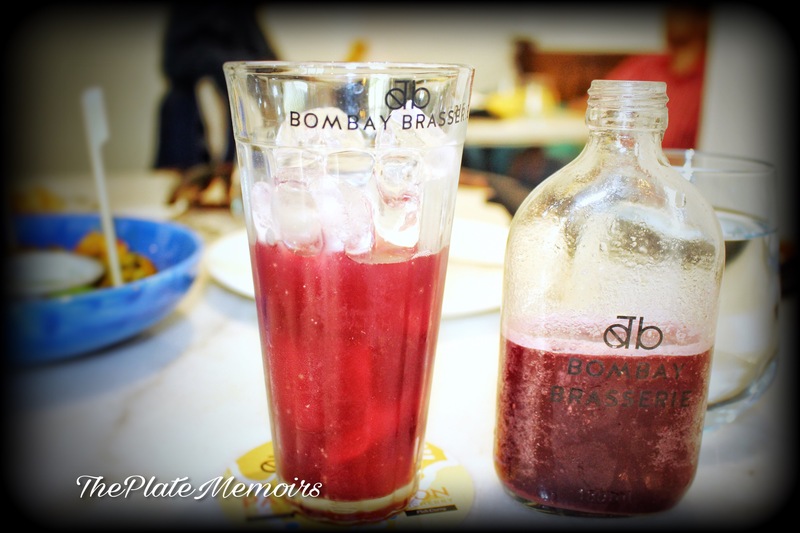 For me, the word Bombay concocts up a myriad of images. I’m instantly taking a trip down memory lane, back to the days of my childhood, when we would stay in Bombay for a day or two during transit from Saudi Arabia to Bangalore. I am reminded of Chowpatty, Sulaiman Mithaiwala, Centaur hotel, Juhu beach and running aimlessly, just to feel the wind in my hair. For me, Mumbai will always be Bombay, because it was Bombay that a little me fell in love with. 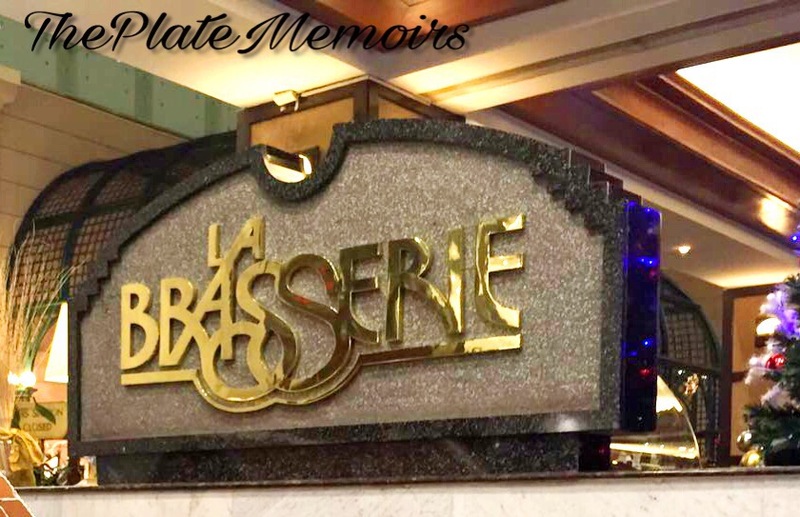 My delight knew no bounds, when I heard that the much renowned and highly appraised “Bombay Brasserie”, was in town. The news of its grand launch party spread like fire and I bagged an invite, after having a word with the team. I, just had to! Decor: The decor is just the most neat, crisp and soothing one, with positivity coursing through you. This is so much like the place you would wanna go to for a laid back casual chat. The teal doors, soft white backdrop and the black motif mosaics just closed the deal for me. 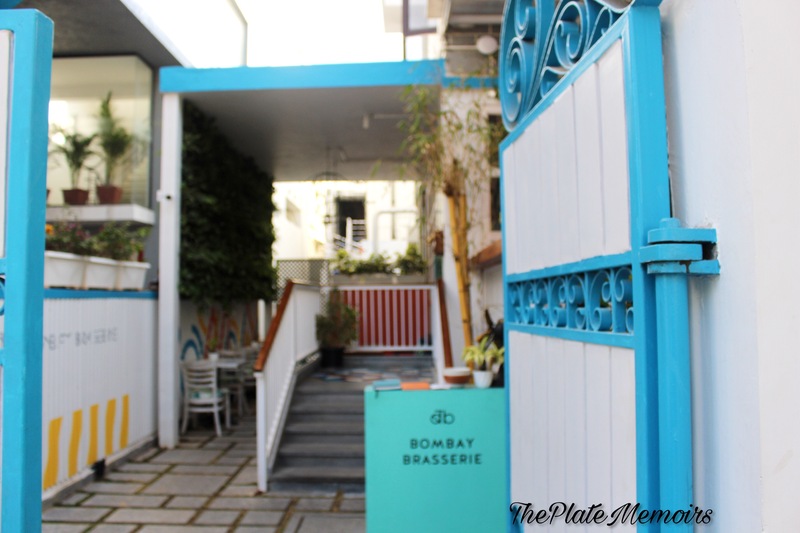 It’s a very Greek meets Old School Indian kinda decor. The little pieces of art strewn across the place, do nothing but elevate this place’s presence. Hospitality: The staff is just amazing, no I’m not fan girling here. 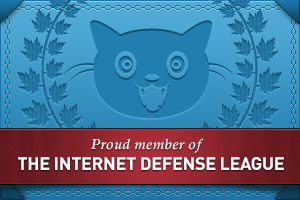 I do see a lot of comments on how, the service is slow, but I beg to differ. People around me on the day I went, were getting served on time. All I could see, were faces plastered with smiles. 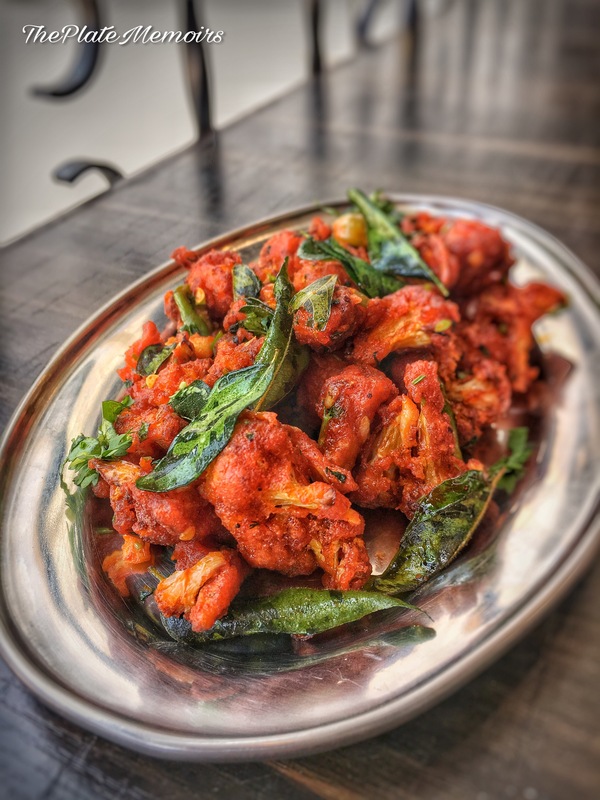 The staff is nimble on their toes, extremely well versed with the menu. 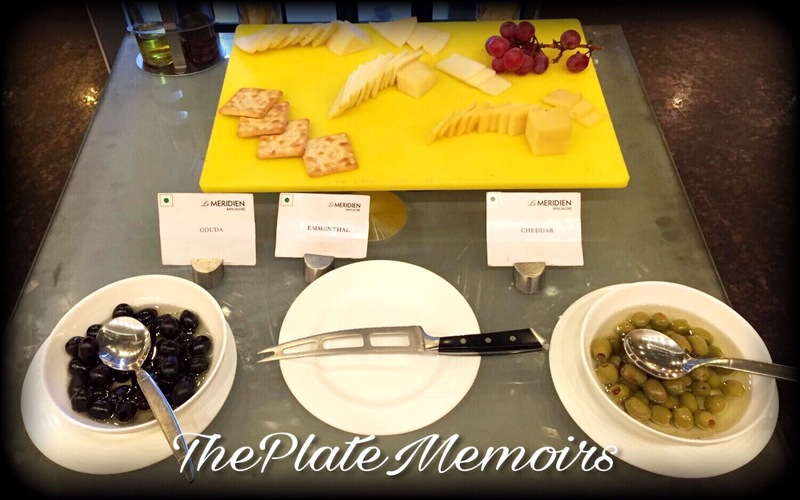 They recommend what would suit your palate and most importantly make you feel like an important guest. Special mention to Mr. Vivek for being just the most fantab maître d’. Kudos to him. Please do ask for his assistance, if you would like your visit to be well looked after. The Grub Story: Here’s the part I, immensely enjoy writing about. Knocking in some sanity in me, I’m gonna be reliving every moment of awesome now. 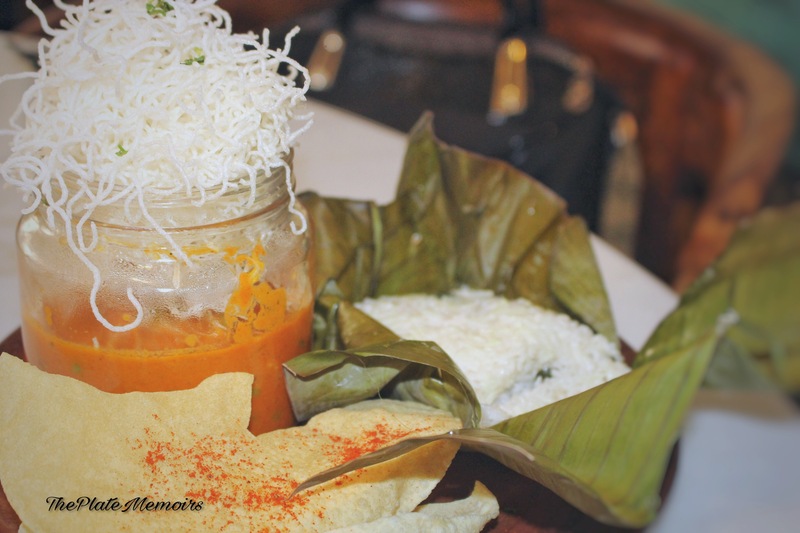 Aam Papad Paneer (Rs. 275/-): Set your confusion aside and order this right away. 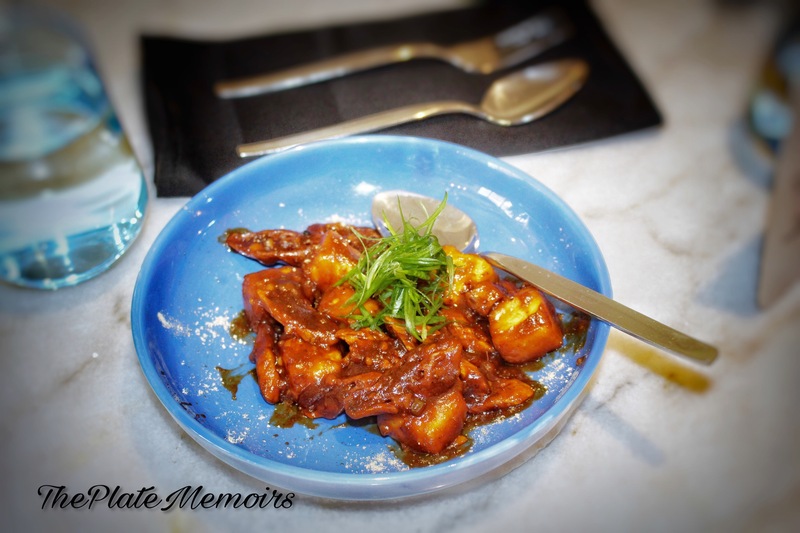 The subtle medley of the tangy & deeply flavoured sauce with tender cubes of cottage cheese, is just explosive. 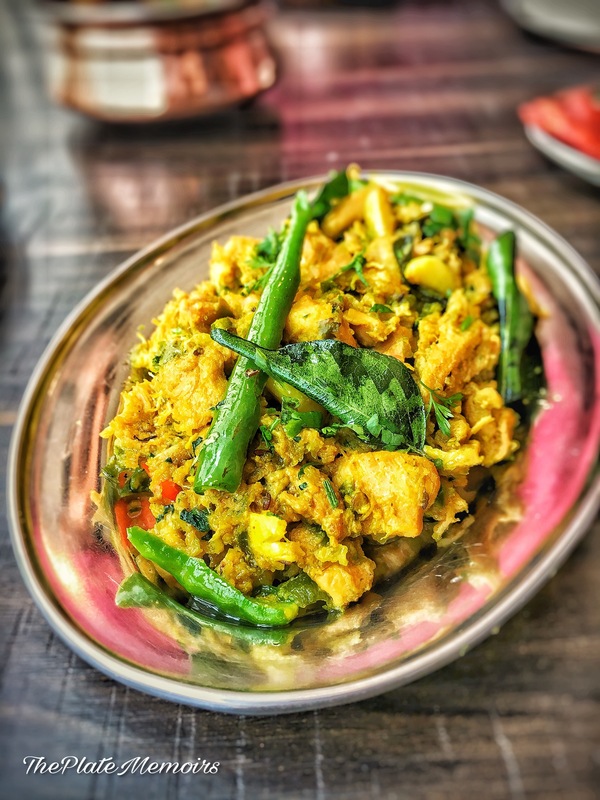 The smoothness of Paneer goes well with the crunchy lotus stem bits and don’t forget to pick a piece of sundried “Aam” aka mango while you’re at it. 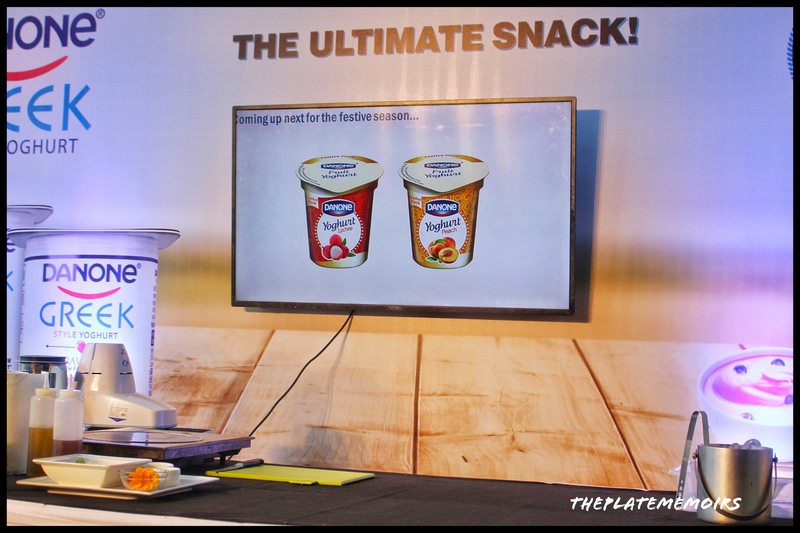 This flavour profile which has a sprinkling of chaat masala too, will motivate you to wipe your plate clean. 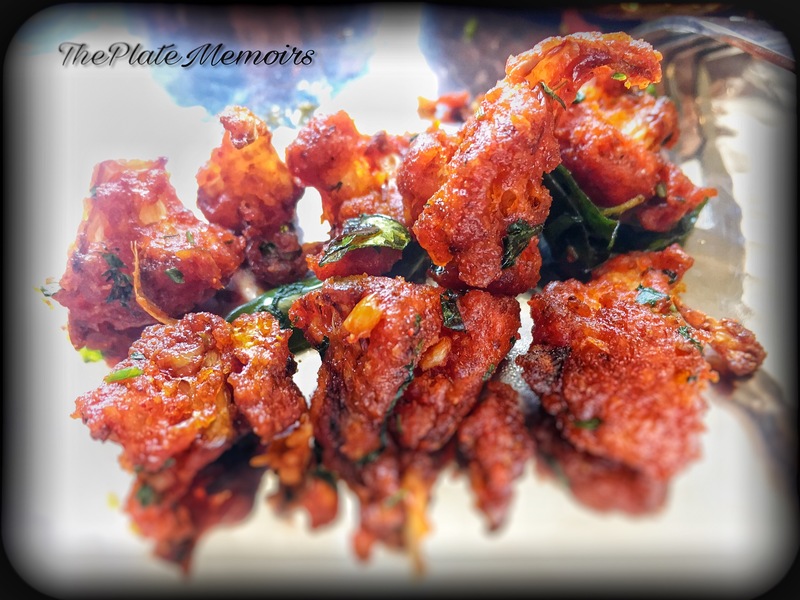 Spicy Pahadi Mushrooms (Rs.295/-): Being a covert vegetarian from the past 3 years, I really don’t miss meat that much. Mushrooms are always the closest thing to being meaty on this side of the pasture. 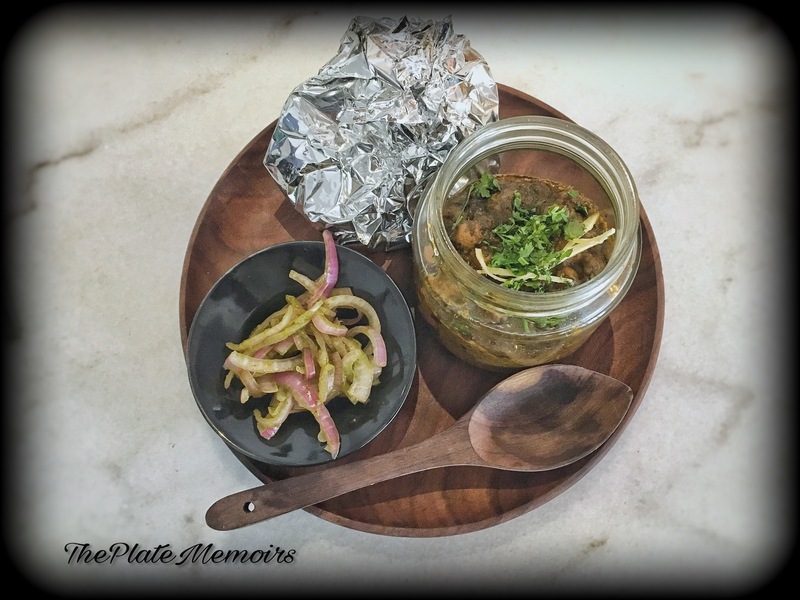 When Pahadi (from the hills) Mushrooms made their debut on my table, I was just salivating away. 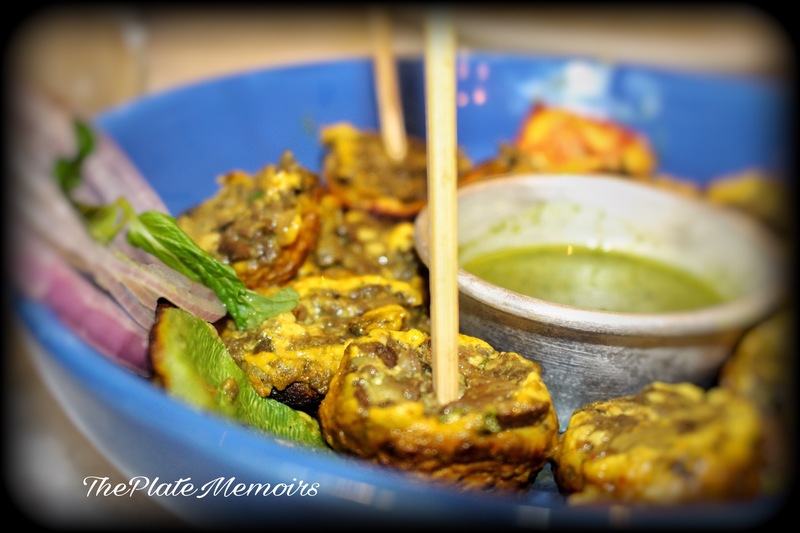 The mushroom caps, filled with a spicy Pahadi masala, had a beautiful texture to it. 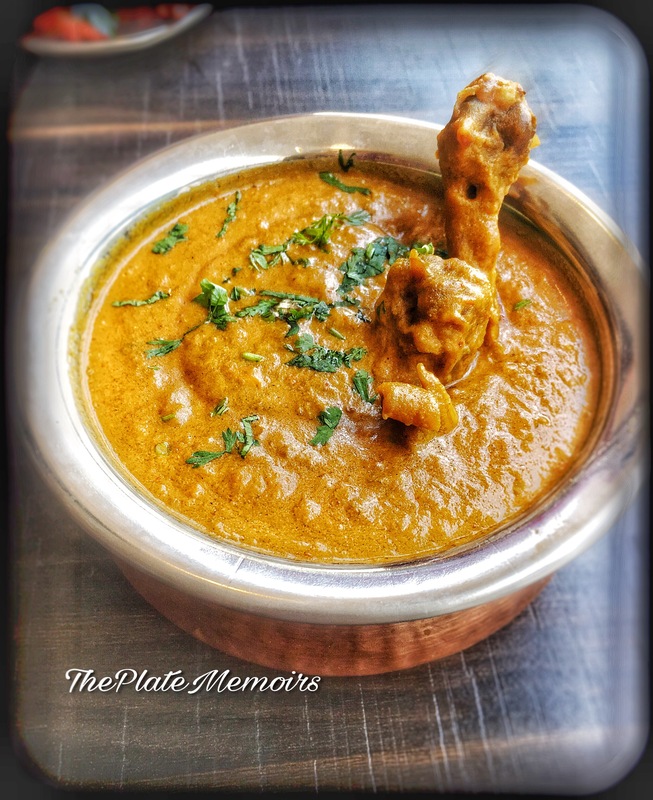 Pahadi Masalas usually have a spicy yet fresh quality to it. 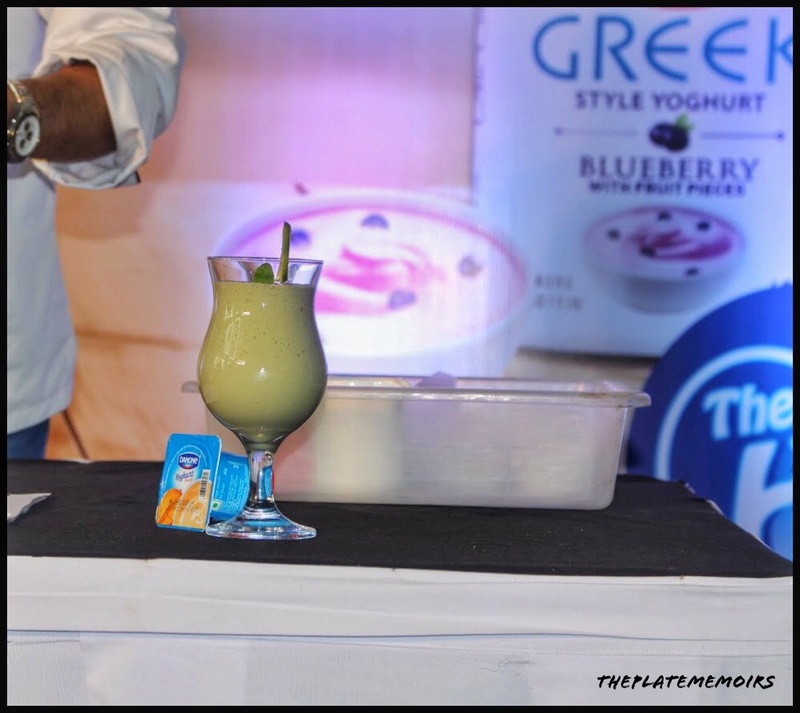 Made with fresh mint & coriander marinade and served with mint flavoured hung curd, this was truly a treat from the hilltops. 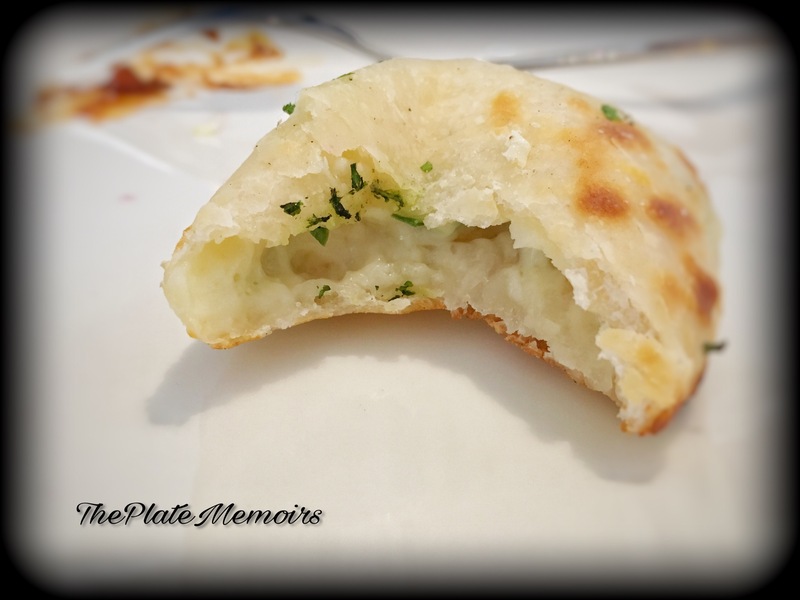 Chilli Cheese Kulcha (Rs.195/-): The thing I love about Kulchas, is their soft & fluffy texture. 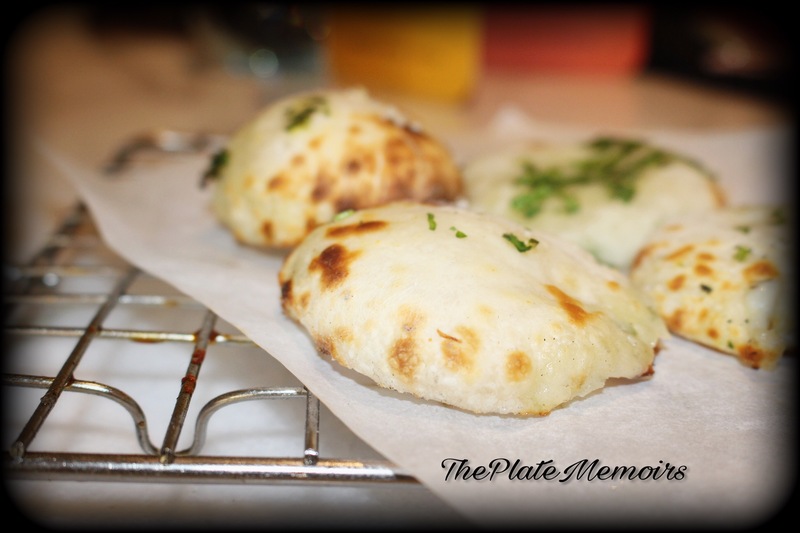 What I love about these Kulchas, were the fact that they were stuffed with chilli & cheese. Mamma Mia! What a must have it is. 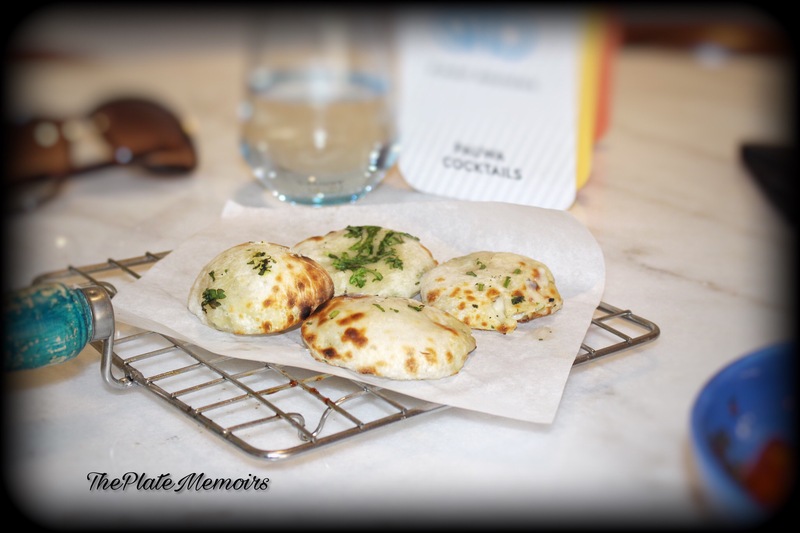 The Kulchas just melted in my mouth, with cheese oozing out of them. 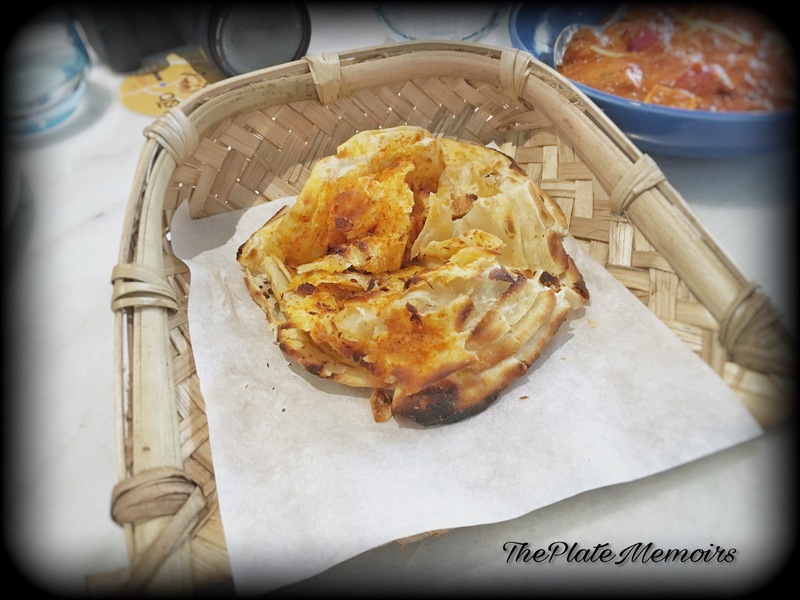 A take on Bombay’s chilli cheese toast! Bombay Lunch Home Veg Curry & Banana Leaf Rice (Rs. 335/-): Here comes my favourite. I mean, this wasn’t just a delight to eat, but was a visual delight as well. 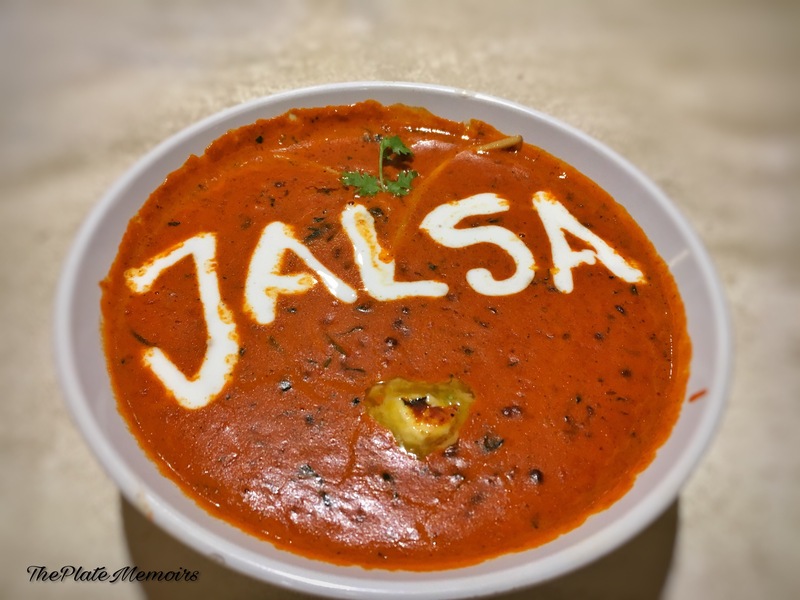 The Veg curry is a mixture of seasonal vegetables simmered in a beautiful coastal region gravy. 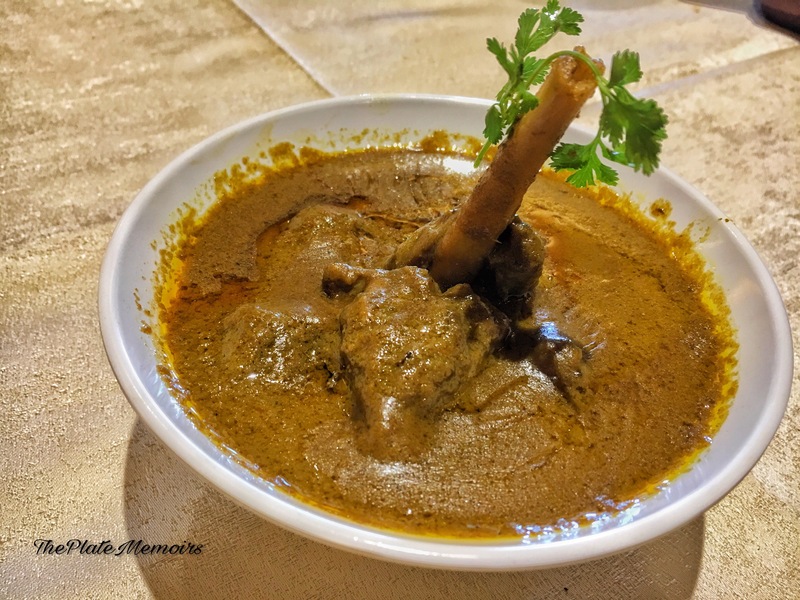 The Malnad region gravy boasts of being a blend of 20 spices. 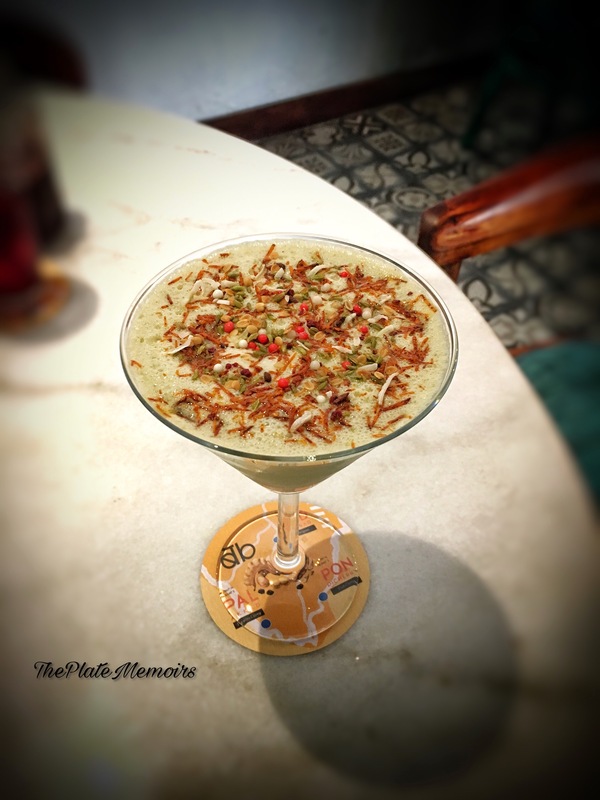 When this was added to the steamed rice in the banana leaf, it was just pure food-romance. The best thing ever and a must have if you’re here. 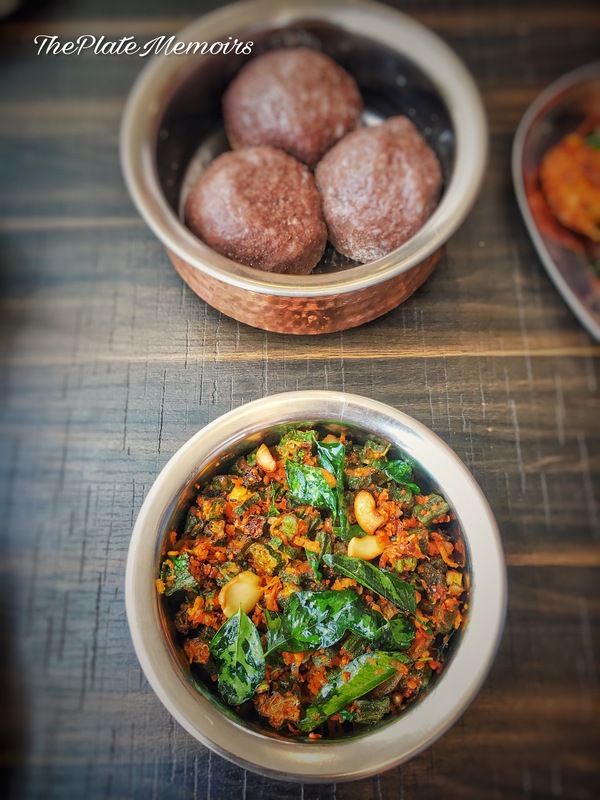 Chatka Choley Kulchey (Rs.295/-): Choley aka Spicy Chickpeas, always are an option to eat, when you don’t wanna be experimental. The Chatka Choley here are fine, nothing to write home about. They are chatpata and spicy but what is special about this is, the aloo (potato) Kulchey that accompany it. Man, the Kulchas were just outta world. Melt in the mouth & spiced just the way, they are supposed to be. And, though I was filled to capacity, there is a special cavity for desserts. Even if I really don’t dig desserts too much. 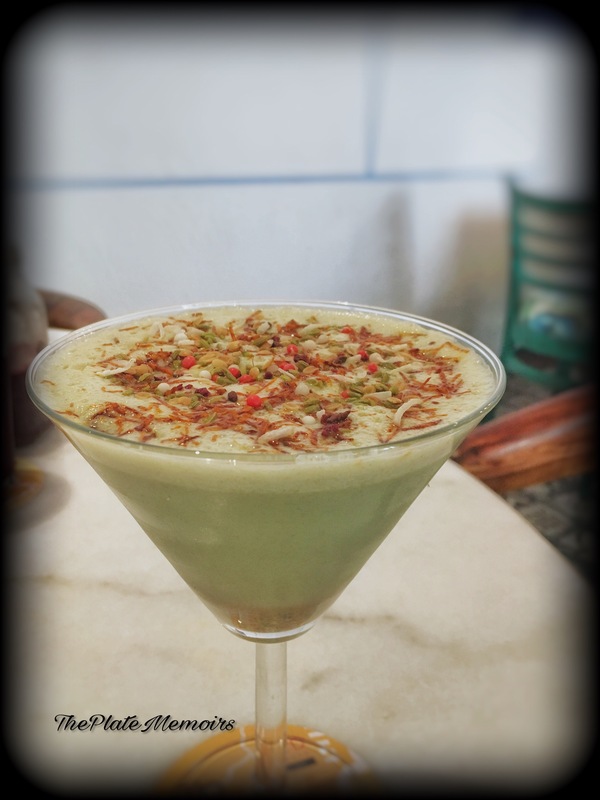 Amritsari Kulfa (Rs. 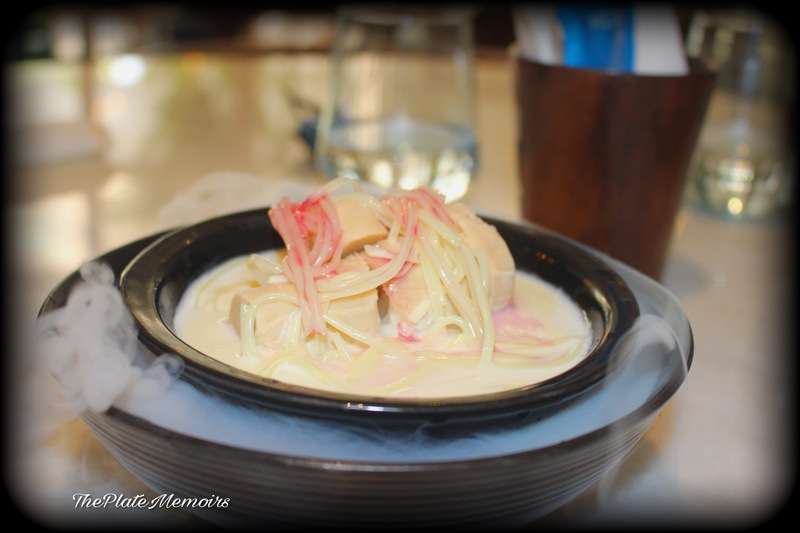 245/-): The Kulfa is packed with magnanimous amounts of flavour. This is the signature dish here and boy! Is it heavenly or what. 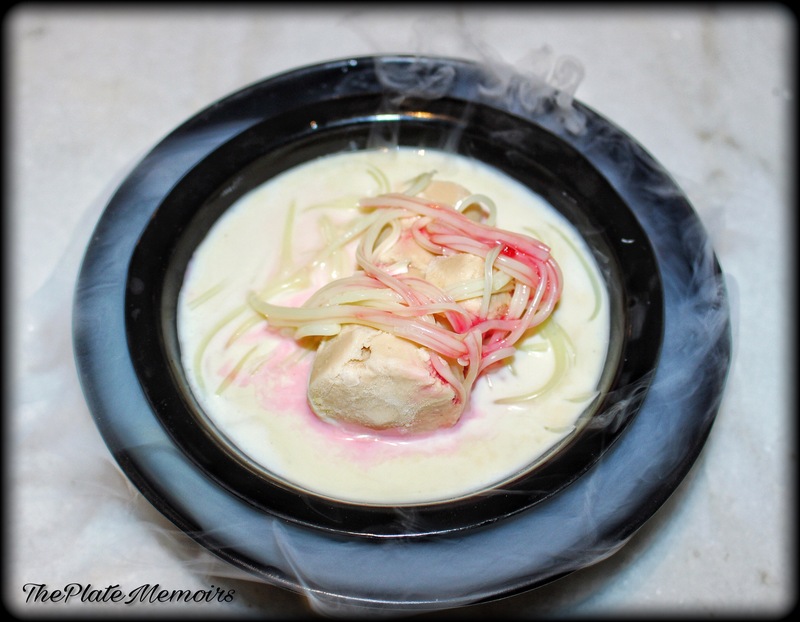 The Amritsari Kulfa is a gorgeous assortment of Badam Kulfi on a bed of Rabri, phirni and Falooda with a dash of rose syrup. The Kulfa was grand in all ways. Why! Even the presentation was just outstanding. It came smoking on dry ice. I mean, read it again please and tell me, you aren’t salivating? Our food was paired with 2 delectable drinks. 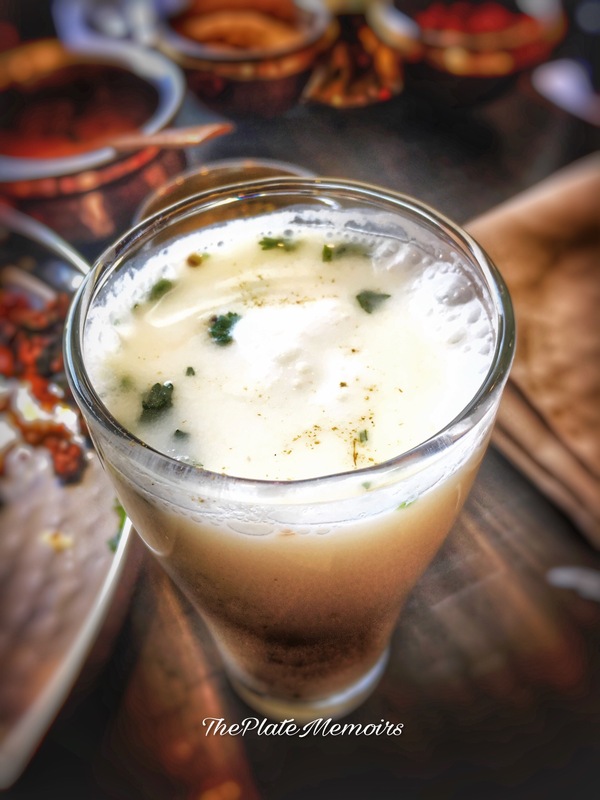 Not So Saada: Let me just tell you, that, if you come here and don’t drink this, then it’s one of the biggest folly you could commit. The yum filled drink has the most freshest flavours ever. It’s your saada pan converted into a drink. Imagine that paan experience by two folds. The smoothie has ice cream and gulkand.. yum?? I bet! Verdict: There isn’t anything that can stop me from strongly recommending this place to anyone. Whether it’s a date, an occasional drink or a get together, this must get onto your must visit list. For all the awesome service, all that I can give is a well deserved 5 star. 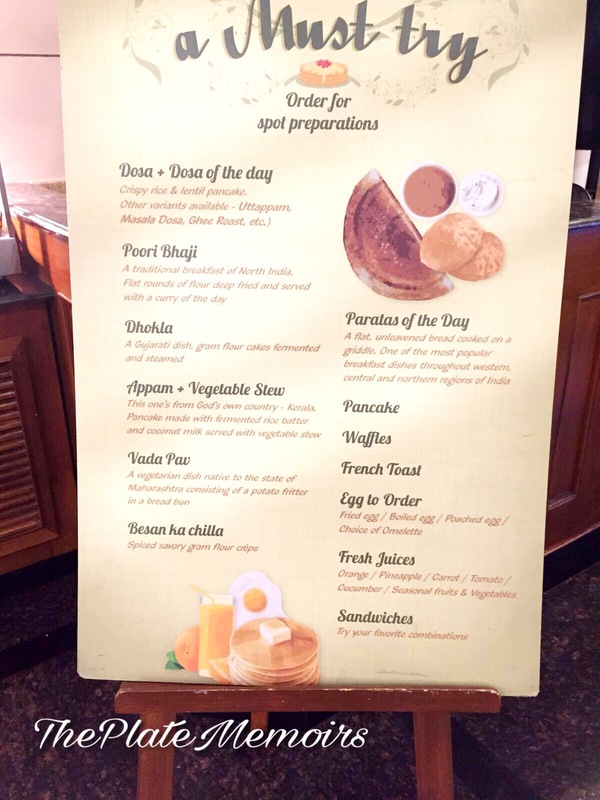 Even Miss.South Indian Food, gets stereotyped for being only about Idli, Dosa, Vada & Bhaths. 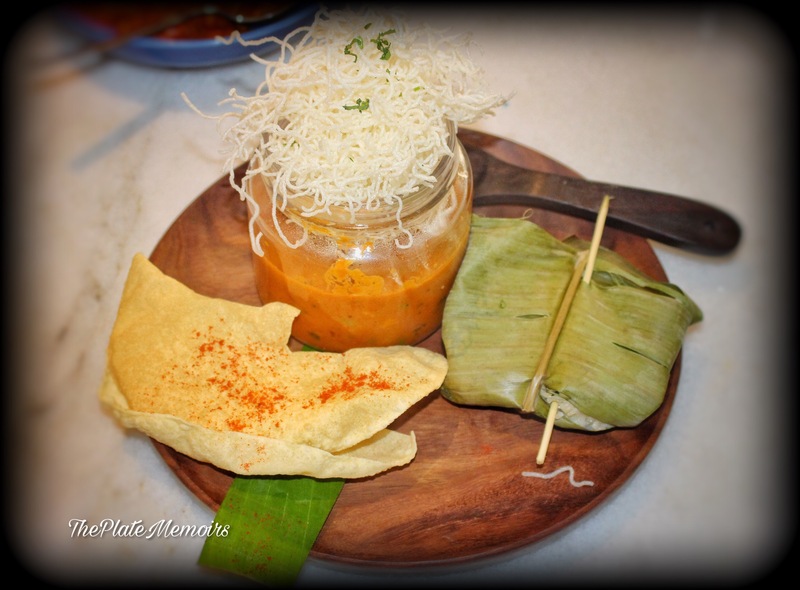 If, you do think that South Indian Food, is just that.. then you’re in for a pleasant surprise. 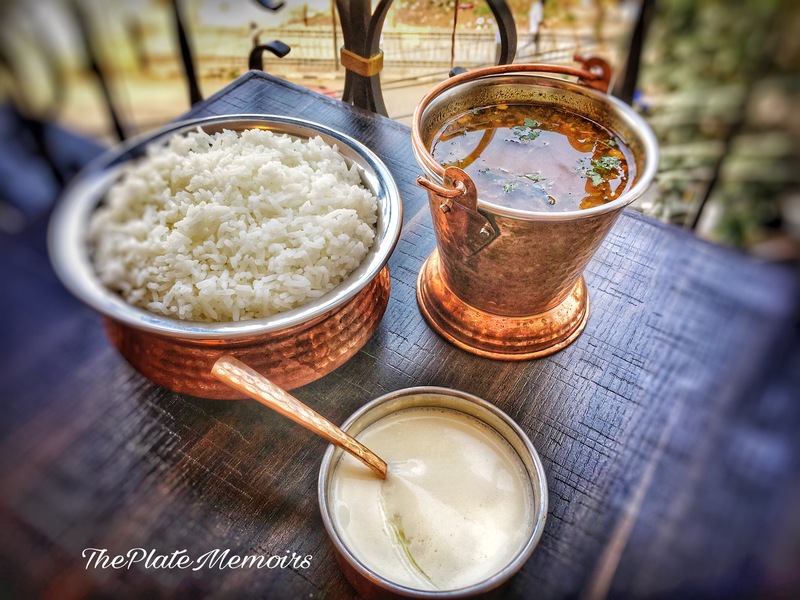 Demarcating the boundaries of South India, is quite easy, but dividing each cuisine respectively is a task, that involves the application of handed down knowledge and in depth research, which has to be characteristic to that region. 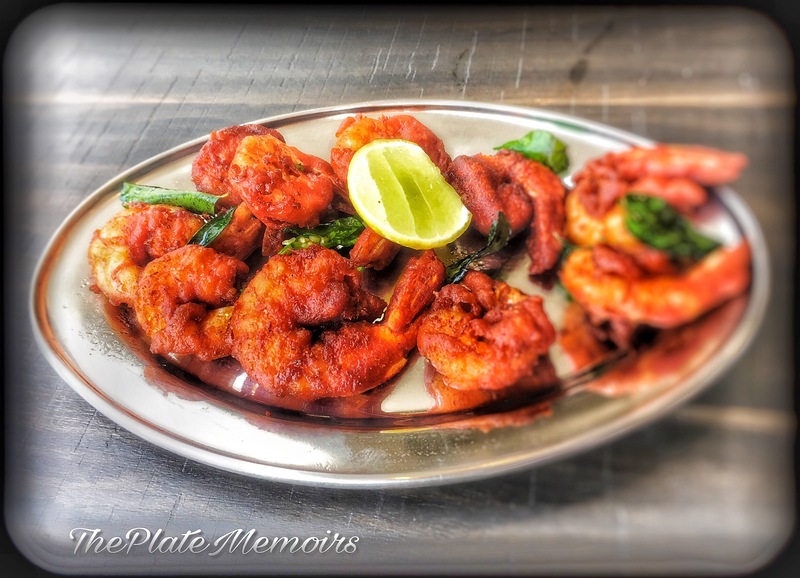 And, who better knows this except Chef Chalapathi Rao aka Chef Challu in the culinary world. 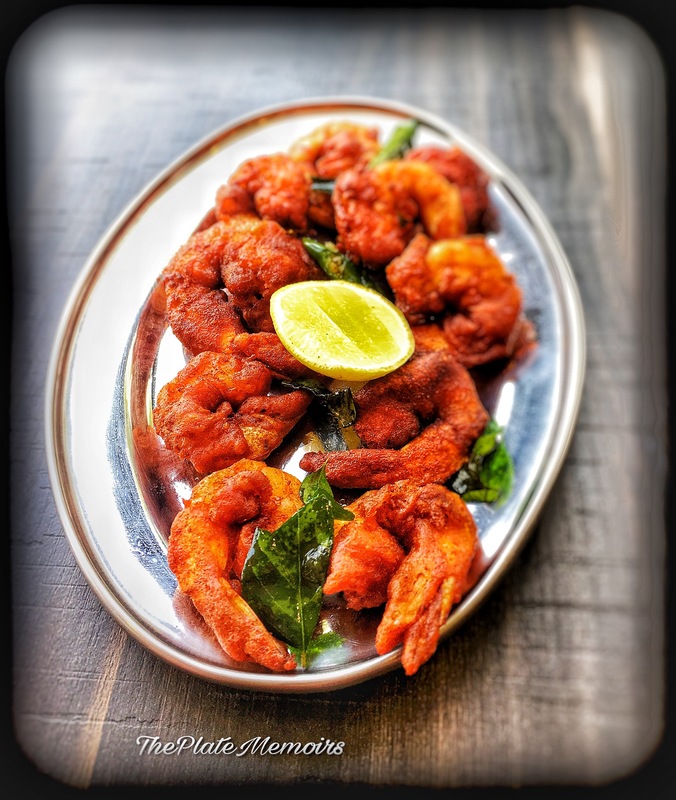 Chef Chalapathi Rao states, that, his food has the stamp of authenticity and that is what he proffers to us. 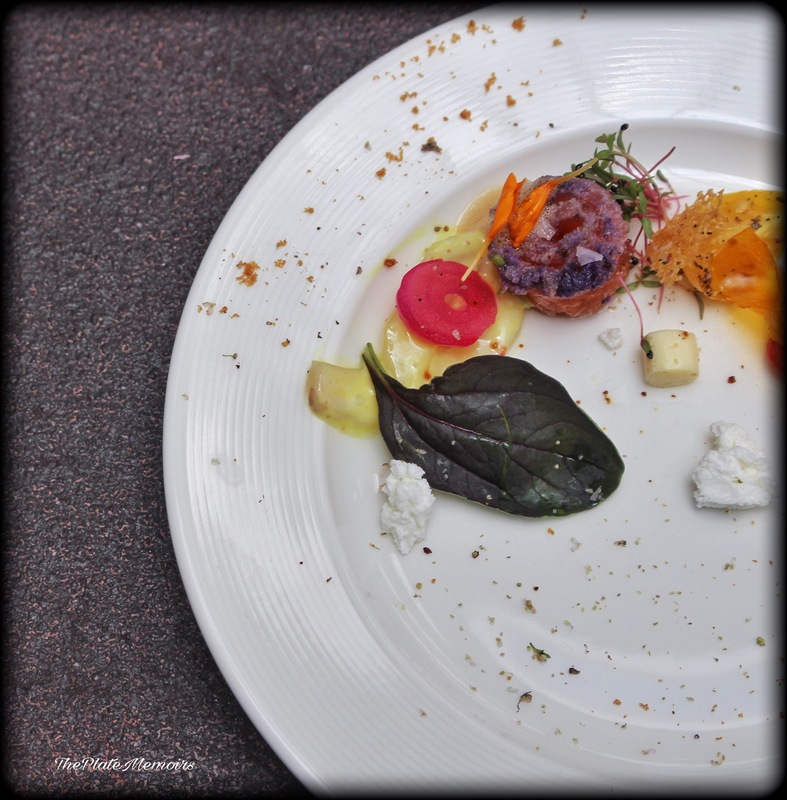 Usually, when we talk of authentic tastes, we tend to bar the lines & mix influences of one region to another. Simply South is an expedition you embark on, which takes you through the 5 southern states of India. Giving you a taste of every state. 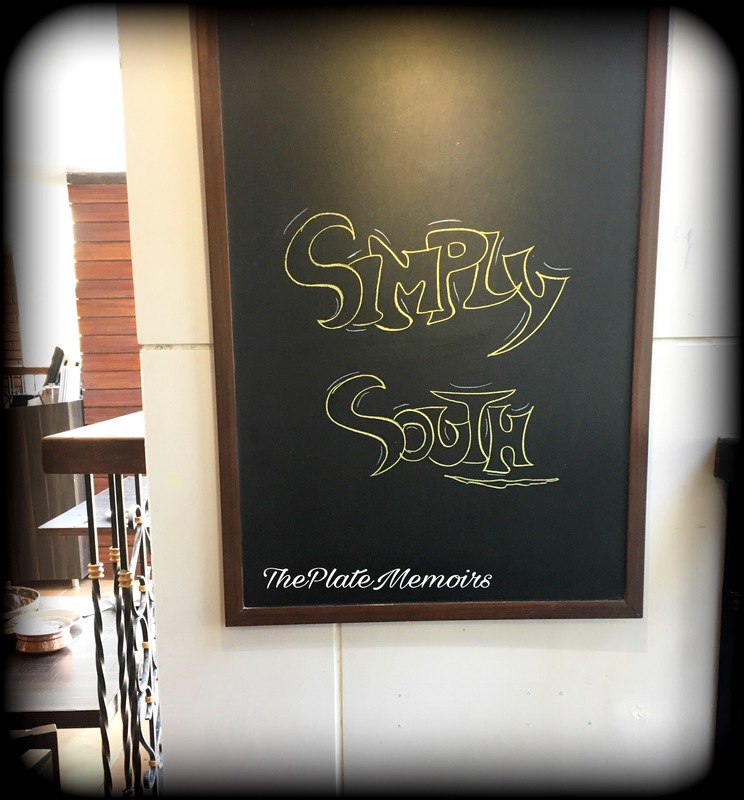 I, was invited over for the bloggers table at “SIMPLY SOUTH”, from the team of FBAB. We were greeted by an ever so humble and a sweet natured Chef Chalapathi Rao of placid disposition. After making all of us feel welcomed, he started started the nosh-up which was composed for us. Decor: The decor is rustic and beautiful with brick walls and the adornment of art that represents each of the South Indian states. Hospitality: You have no reason to rethink, the hospitality is par excellence and our maitre d’s are just the most well behaved and nimble at their feet kinds. Tomato Saar aka Tomato Soup: The soup was a delightful start to the meal. It was thin, clear & packed with ultimate flavours. It had faint hints of tanginess & a dominant quality of hotness. 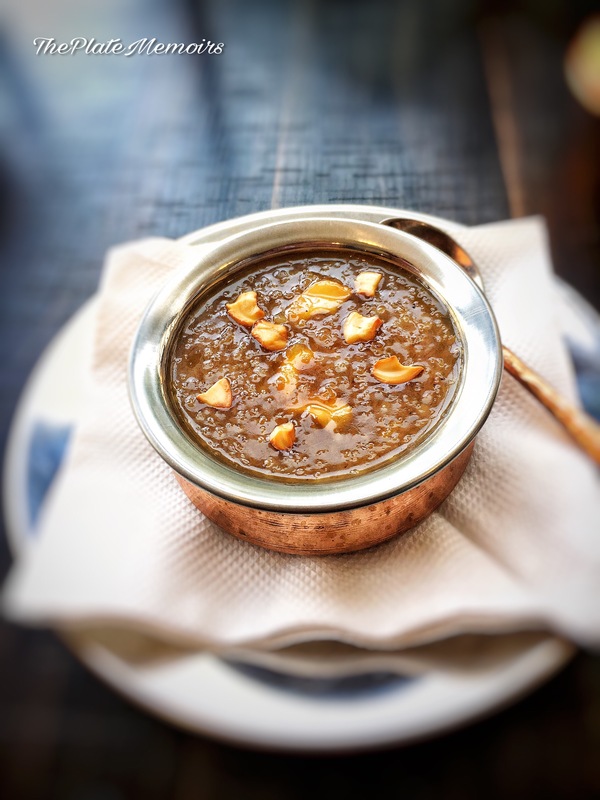 A hot and sour soup with Indian goodness. It instantly warmed me up. Makes it into the “must haves” to beat the chill away. The non vegetarians were given a chicken soup called “Kozi Rasam” & all I could see was people asking for second helpings of it. The soup tasted delicious is what I’ve been told. 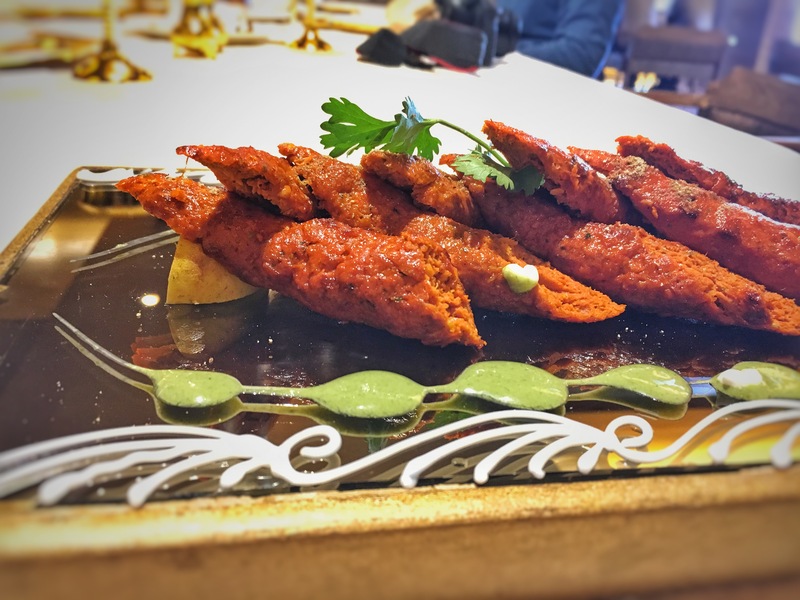 Mokka Jonna Garelu/ Sweet Corn Fritters: I, must have easily had about 4 of these beauties. 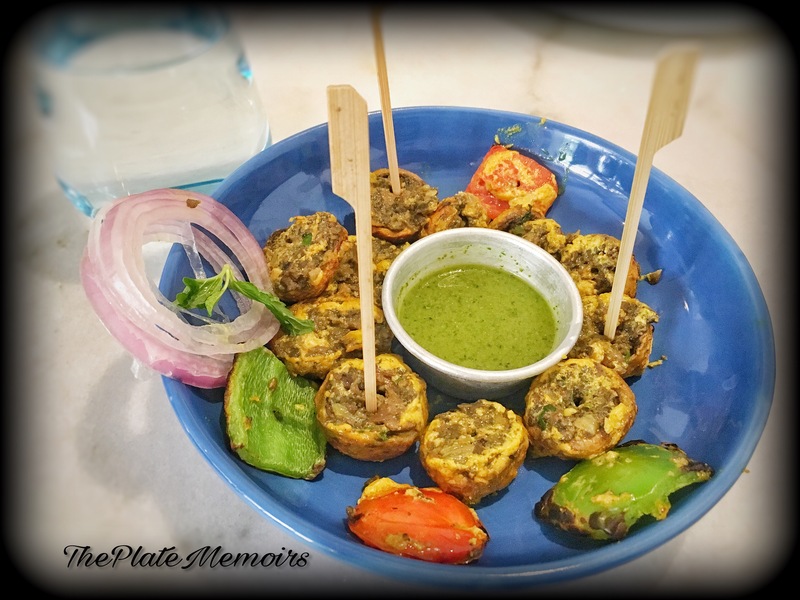 The most delicious set of vadas aka fritters i’ve tasted in a long while. 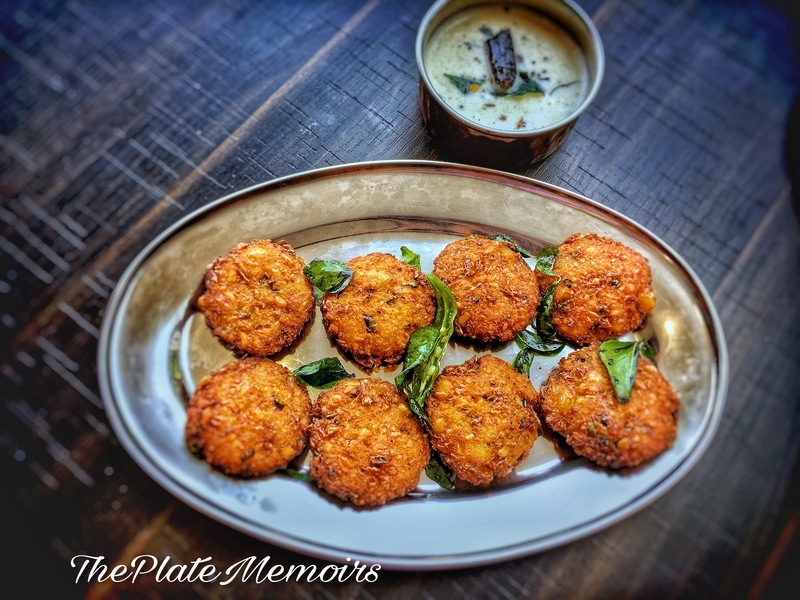 They were sweet corn nibbles added to the simple batter of the vada. The distinct sweetness of the sweet corn & the depth imparted by the onions and coriander swept me over. 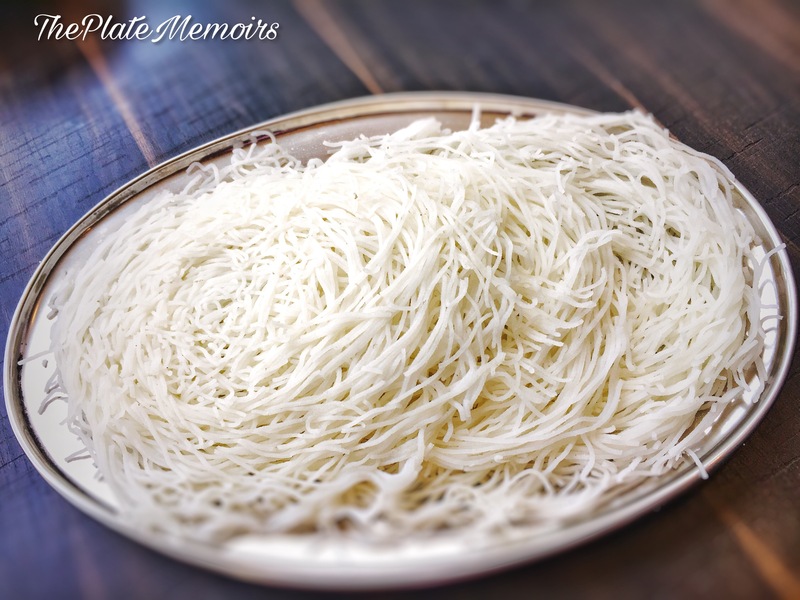 Again, a staple from the Andhra/ Telangana region. 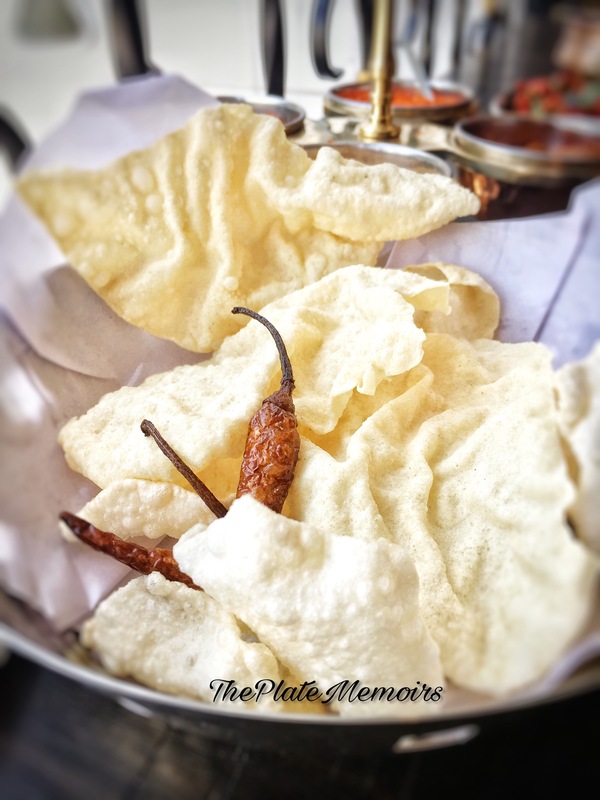 Idiyapam/ String hoppers: These were the accompaniments that could be paired with curry’s. They are made out of rice flour. It requires quite some technique to make them. 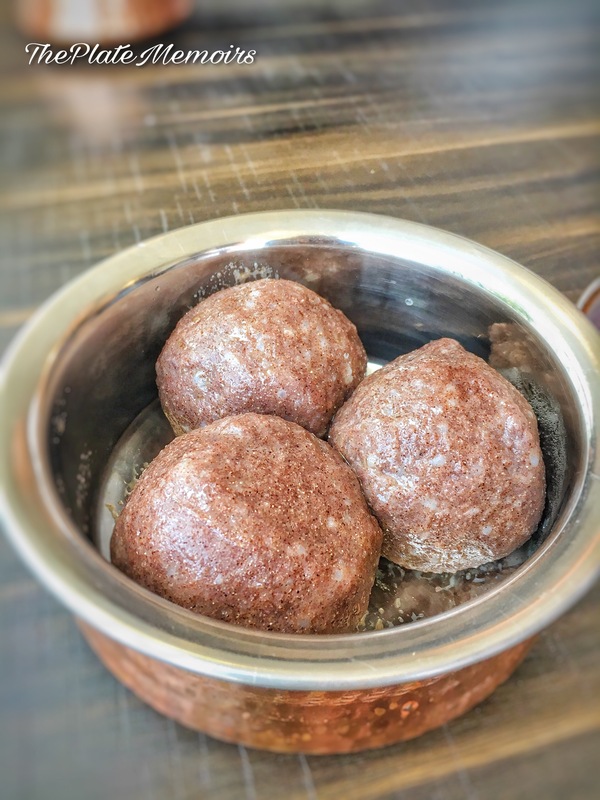 Ragi Mudde/ Finger Millet Cake: This is a cake of Finger Millet flour. Here, the millet flour is added to boiling water & made into a soft dough, which is then shaped into balls. Usually, this is eaten with a curry & ghee. First time tasting it the authentic way & I loved it! 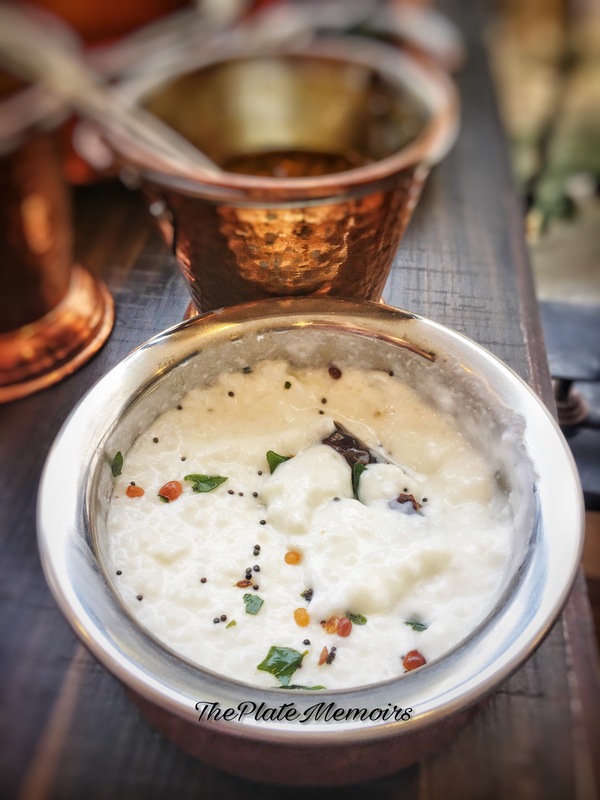 Curd Rice: A beautiful medley of soft mushy rice, doused in flavoured yogurt and tempered with cumin, red chillies, curry leaves, etc. 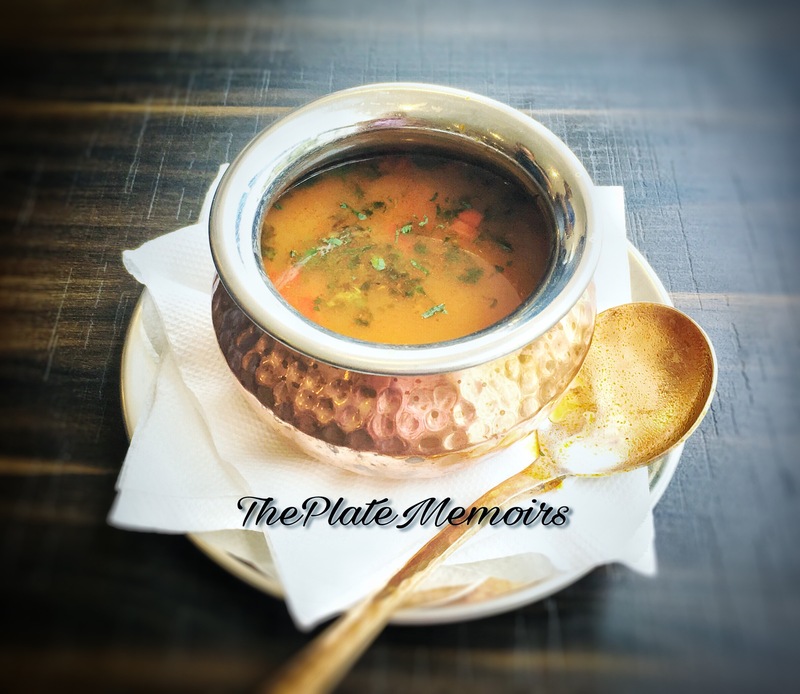 Rasam/ Spicy Soup : This soup is made with pepper and is a thin, clear one. It’s paired with boiled rice and savoured. 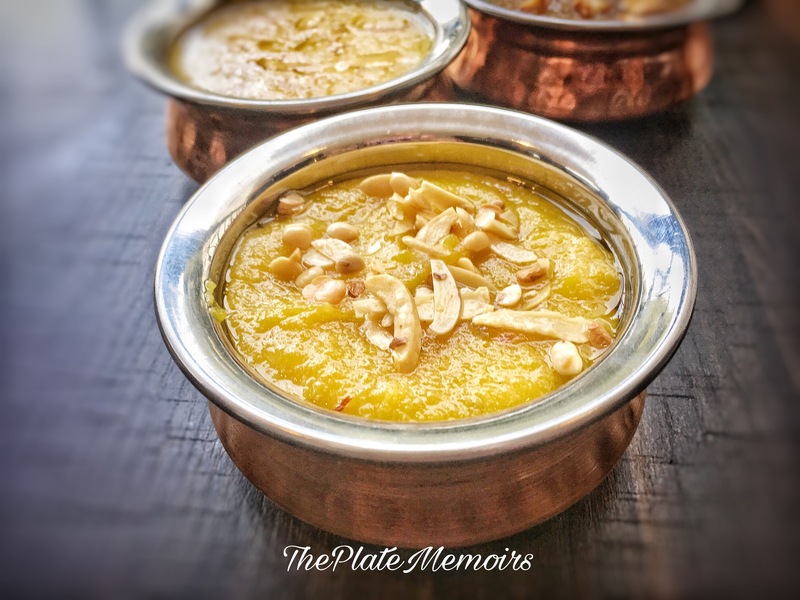 Badam Halwa/ Almond Sweet: Though, I couldn’t get a taste of it, everyone was raving about how superbly rich and delicious it was. 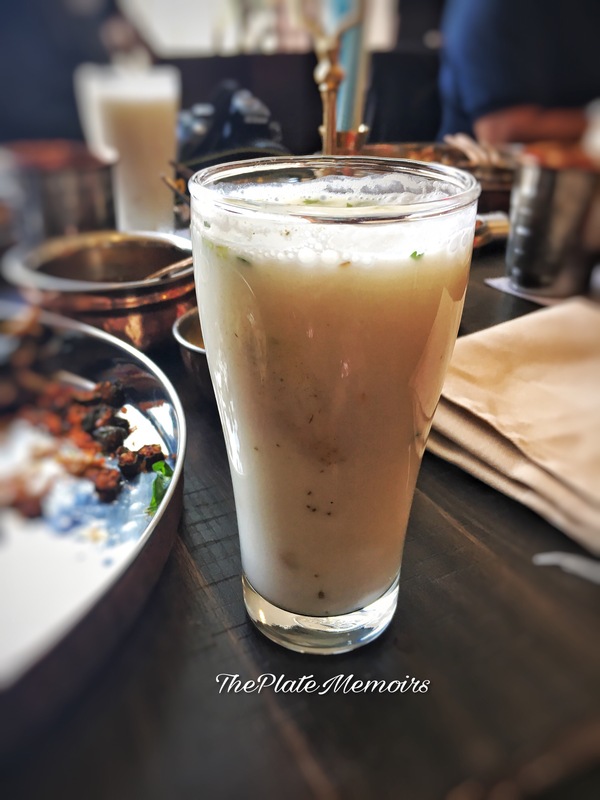 Signature Buttermilk: It was nice, refreshing and just the right amount of salty to wash down the spice and ready us for the next dish. They do have an unlimited lunch thali for Rs.250/- for all days except Sunday and that is on my list already when I visit this place next. Apart from these vegetarian options, there were snazzy looking pots of non vegetarian dishes. Here’s a glimpse. 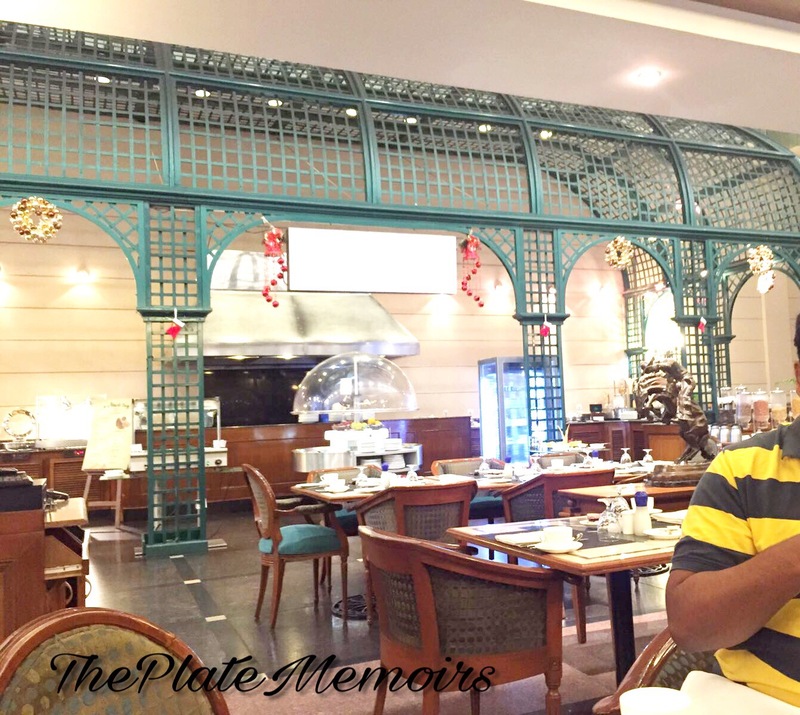 Chef Chalapathi Rao, stays true to his word when he tells that this is a gastronomic journey through the 5 states. He believes in keeping a menu that is perfect to his ability. While I did take a virtual tour around the 5 states, my 5 senses were just singing in delight. Therefore, it’s only fair that this restaurant receives a 5 star! We all love some pampering, once we’re up from the deep slumber. Nothing really uplifts your mood, better than a nice & a well-thought out breakfast. Think about it, your hunger ensconced by sleep, raving madly to be let loose, once the blocky lines of dreams are erased. 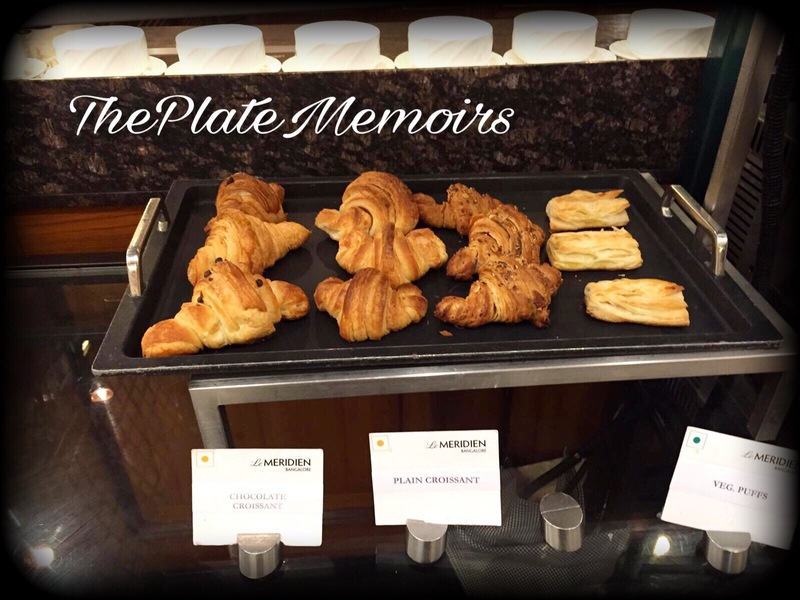 Not on all days, do you have a ravenous morning appetite, but on the days you do hear a lot of grumbles, treat yourself to the buffet breakfast at ” La Brasserie “, situated inside “Le Meridien” . 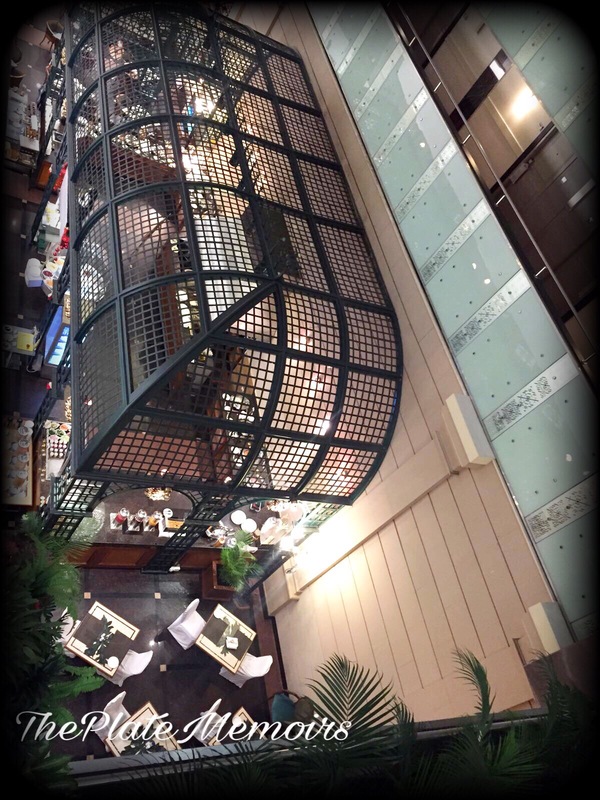 Decor : The decor is that of an empyrean old world charm. The classic chairs, do more than just elevate the ambience. Perfect comfort is what I love. The colour theme is a nice rustic neutral palette, with a little green metal framework to break the monotony. Hospitality : It’s really no doubt, about how these hotels train their staff to be impeccable. With the head chefs coming and asking you about how your experience is to the wait staff smiling and making you comfortable is commendable. 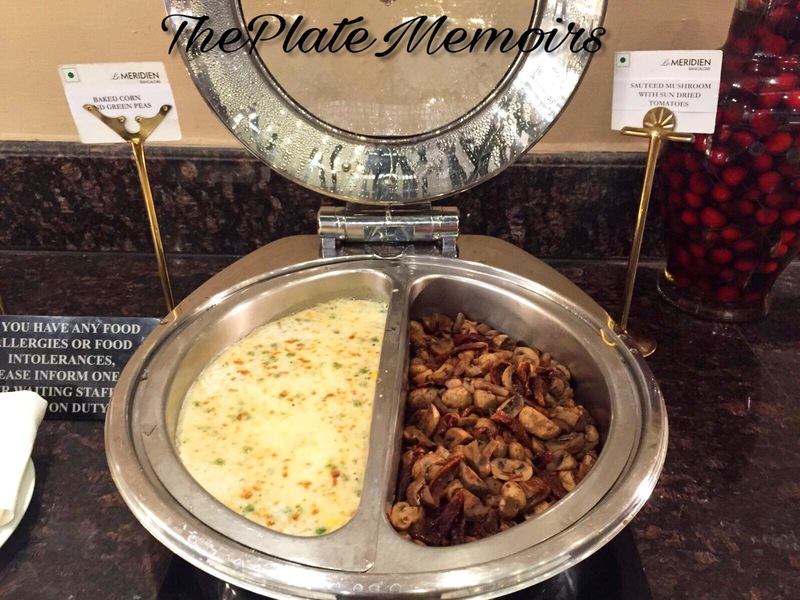 The buffet has a lot to offer. 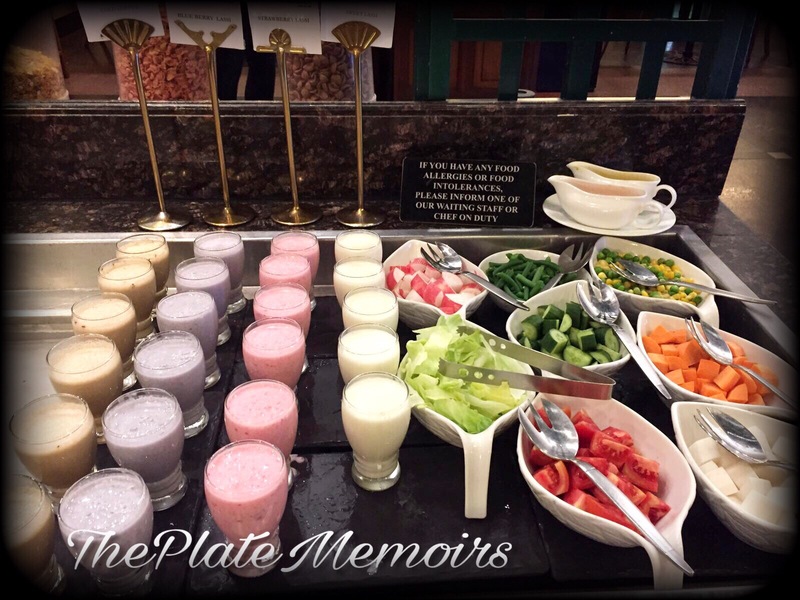 It starts with a decent variety of cereals, a good table of cheese samplers, delectable smoothies & flavoured yogurts, cut fruits, etc. My to go were these delectable buttered veggies and grilled tomatoes, followed by sautéed mushrooms & corn cheese bake. 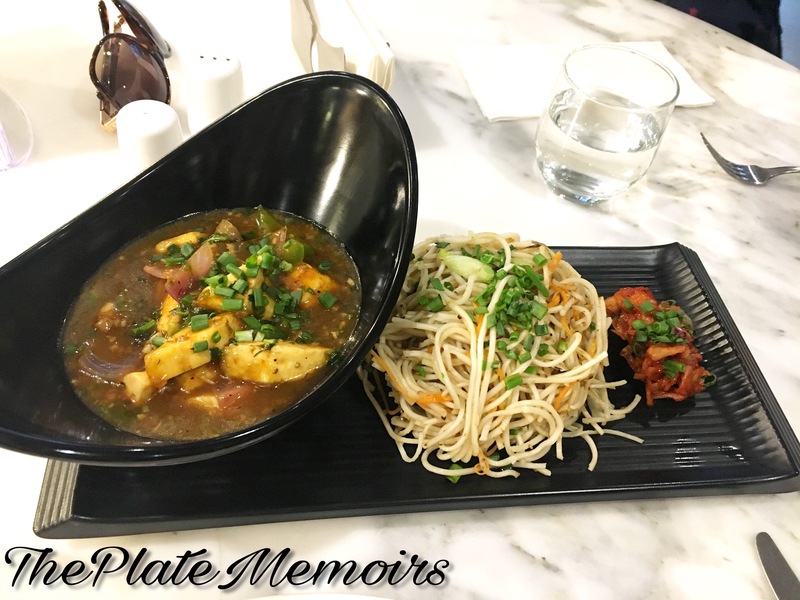 The vegetable Hakka noodles were just on spot! The Indian fare, even had samosa’s & the usual midday snacking options 😋😋 Fatten me up La Brassiere, fatten me up!! 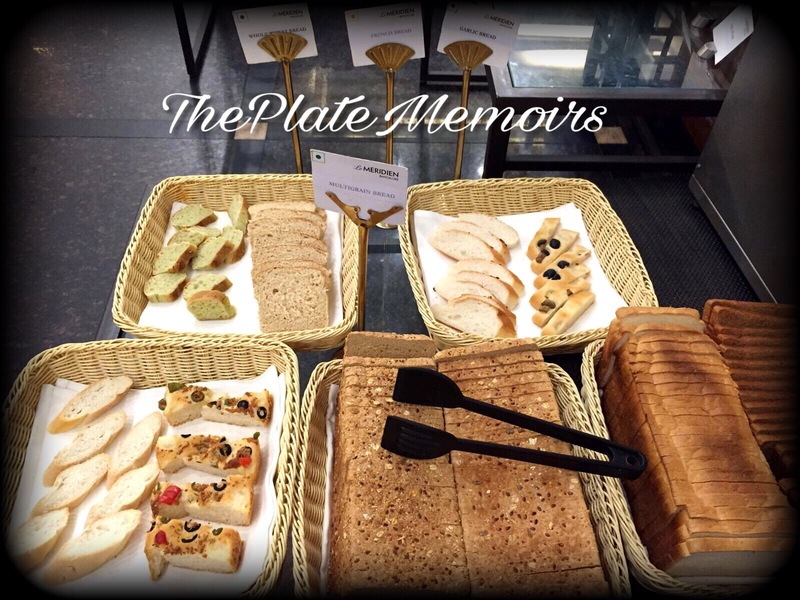 You also had a great selection of breads to choose from, for your toasts. 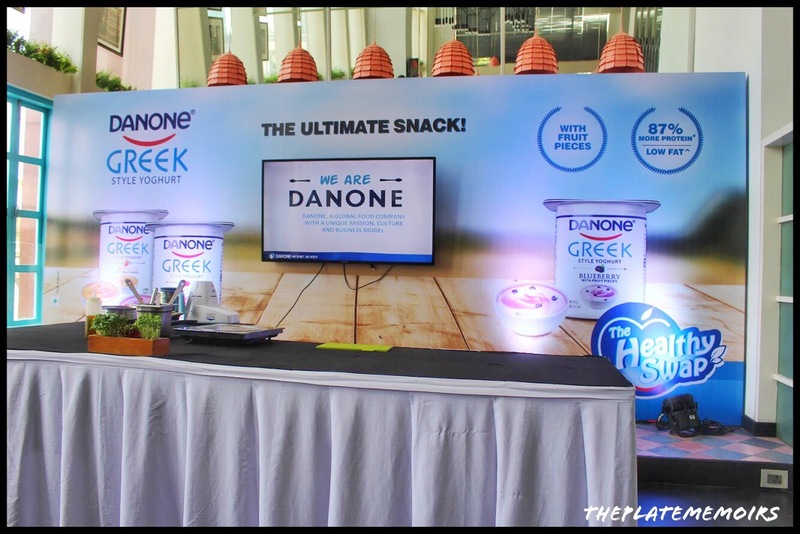 They had a live section, where the chef made you the on spot preparations as per your liking. 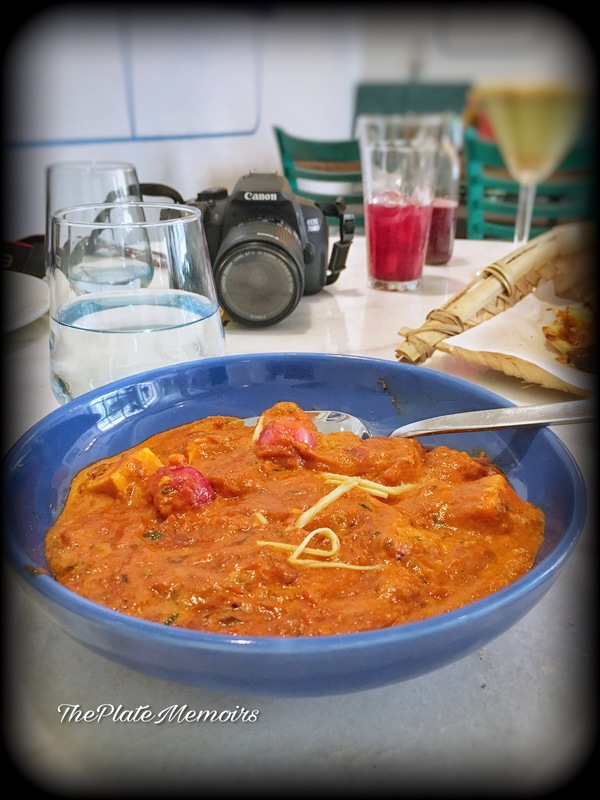 I tried the poori bhaji, and all I could say was delicious! 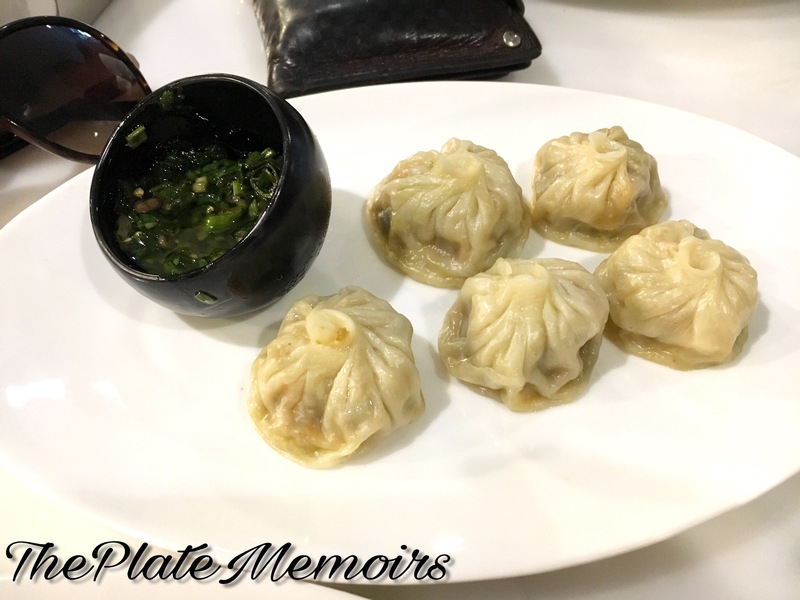 Loved the less use of masala, more concentration on right spices for more flavour and the puffy pooris that were melt in the mouth. 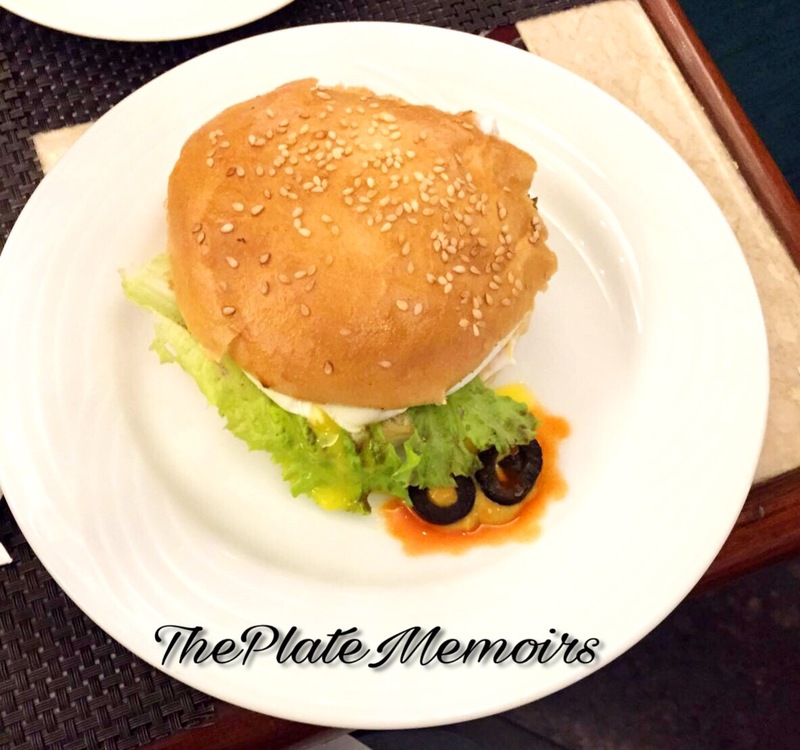 The chef was thoughtful enough to make my husbster the “Omelette du fromage Burger”, when he asked for it. 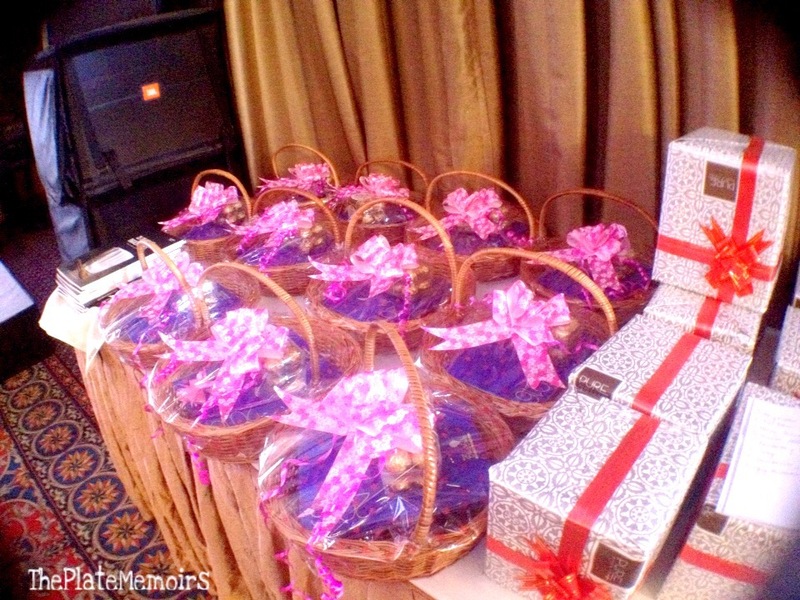 Our whims and fancies!! The dessert section was a decent selection of muffins, danishs,croissants,ice creams and tea cakes. Here’s a glimpse.. Verdict: Basically, I couldn’t be happier. The price tag, that comes with it is completely justifiable, for the amount of variety that they have to offer. The non vegetarians will be pleasantly pleased with the meat based fares too. 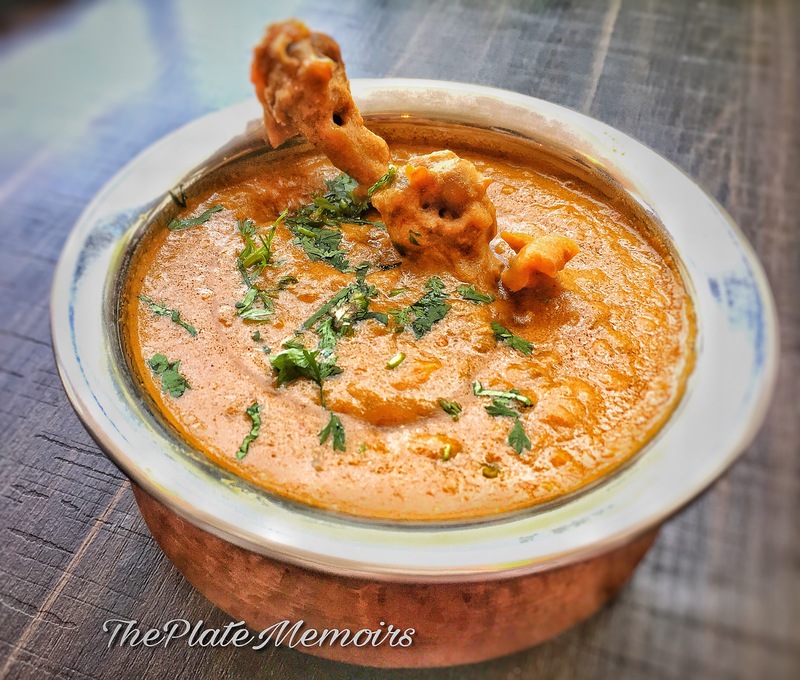 So, things have been alarmingly quiet these days around my food blogging. That doesn’t mean that I haven’t been eating around the town. Holy Smokes.. I’ve been gorging for starters. These past few months have been so hectic & during those hectic times, I found a total gem 💎 in Indiranagar. 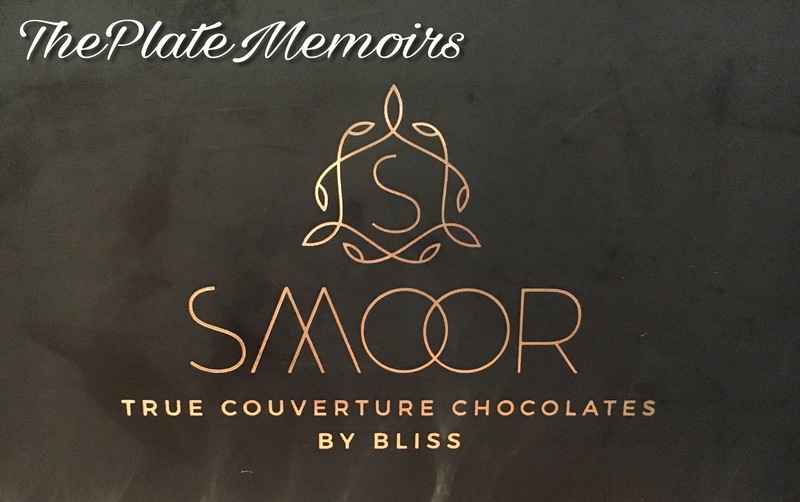 Bliss brings to you their newest venture ” Smoor Chocolates”. With your inner child jumping up and down and tugging those heartstrings, you really can’t miss this place for anything. 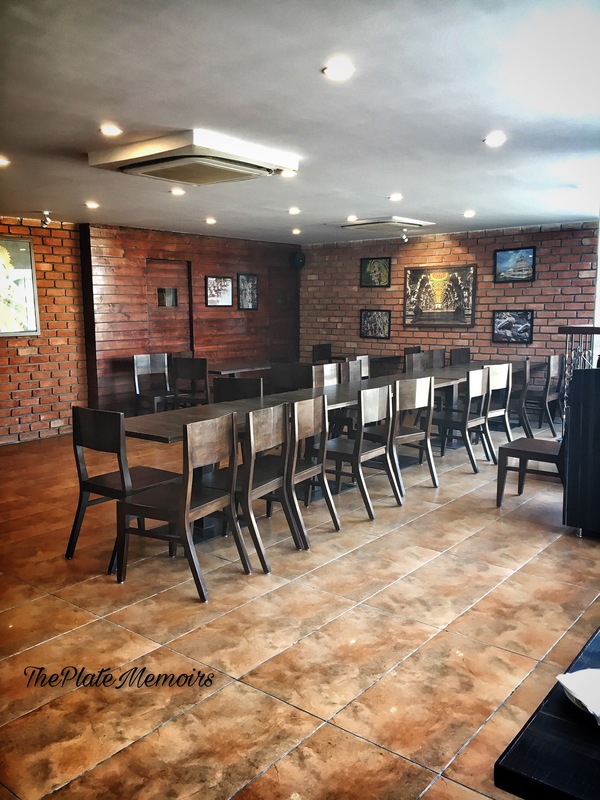 Not only are they a par excellence chocolaterie, but are also a par excellence cafe with a wide range of comfort foods for your soul. Just how stupendously impressive the team is, is an understatement. So, without anything to carp on, let’s get right into the topic. Decor: The place is done in the most elegant yet simple terms of decor. The colour theme absolutely looks nothing less than gorgeous. I loved the perfectly muted tones of colour. The splash of spark white on the wall, the deep yet mute blue & the gold calligraphy were just right. 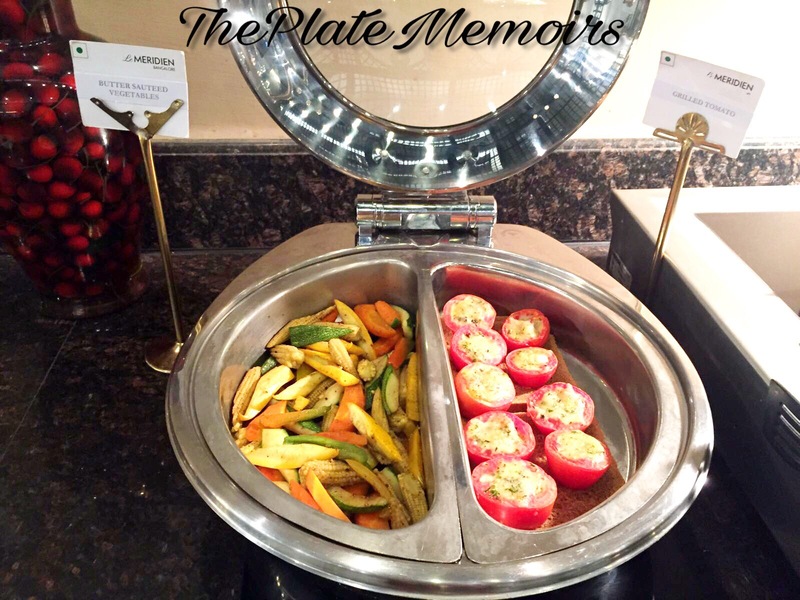 Hospitality: As the food sings its way right into your mouth, so does the hospitality. They just make you smile with joy. 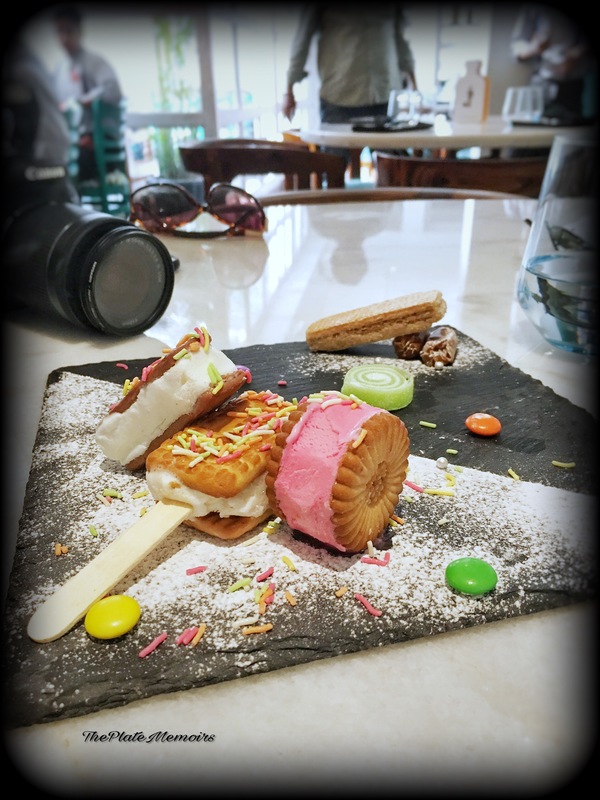 The Grub Story: The fare isn’t just limited to pleasing your sweet tooth therefore don’t be fooled into thinking that this place can have awesome desserts and mediocre starters and mains. 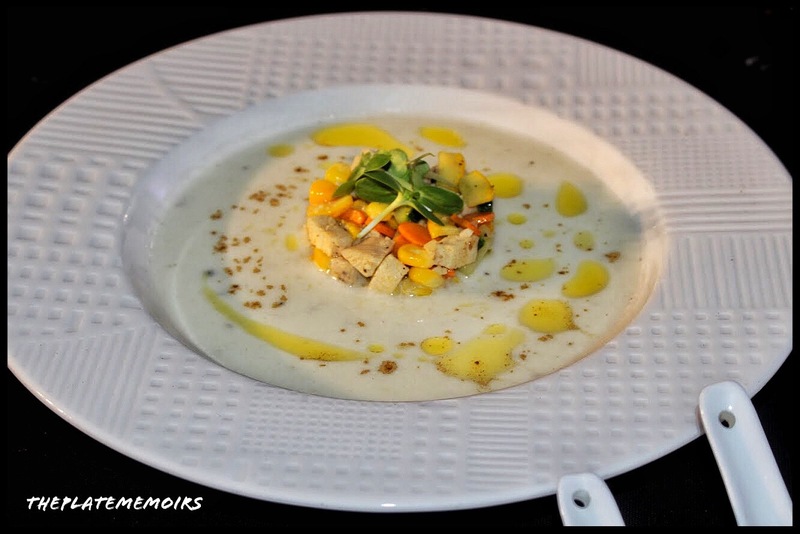 The menu resonates of some Italian, a little pinch of French and Asian cuisine. 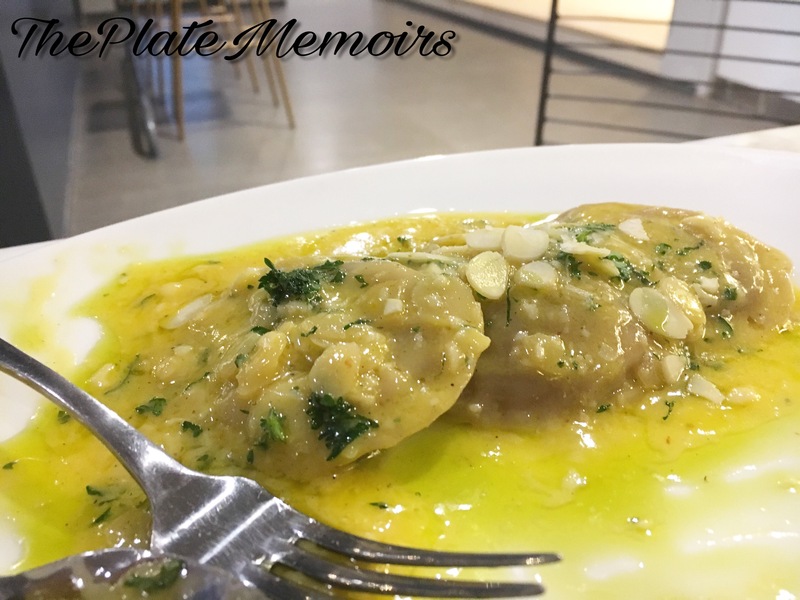 Ravioli with pumpkin in almond butter sauce (Rs.275/-): Love happens and it happened at the first sight with me. Yup, I’m talking about these little works of art laced with a beautiful warm scent of almond and butter on plate. The Ravioli’s had just the most softest texture ever. They melted in my mouth like a dream. 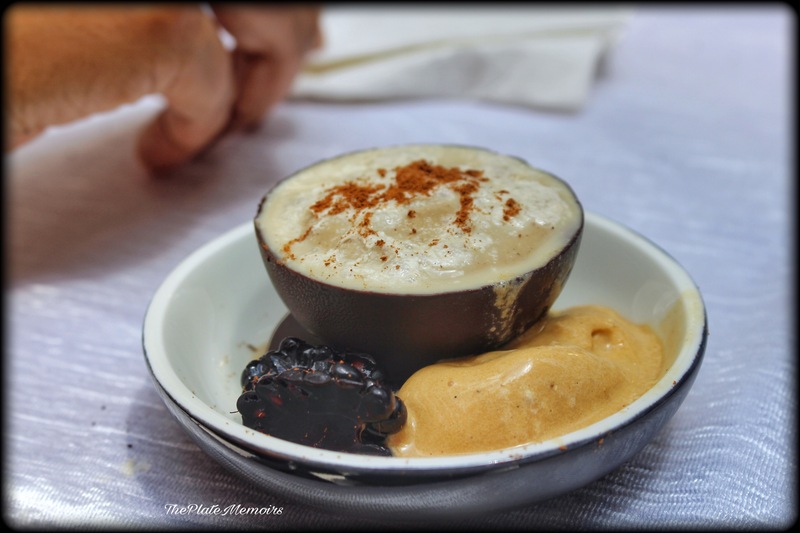 The pumpkin filling when doused with the butter sauce was an explosion of sweet and salty flavour. 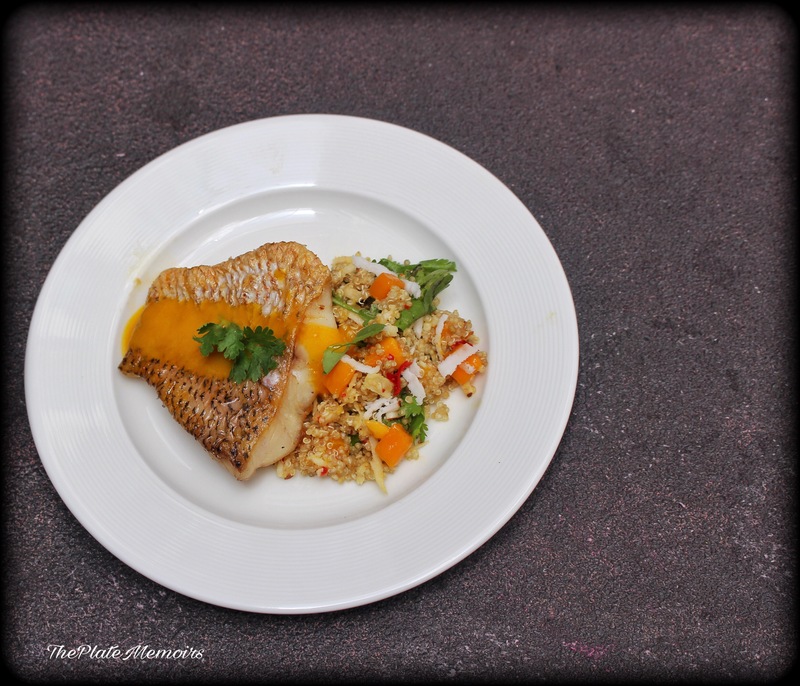 The pumpkin gave you the sweetness and the golden yellow butter sauce balanced it with the salt. The right pinch of salt, if you may! 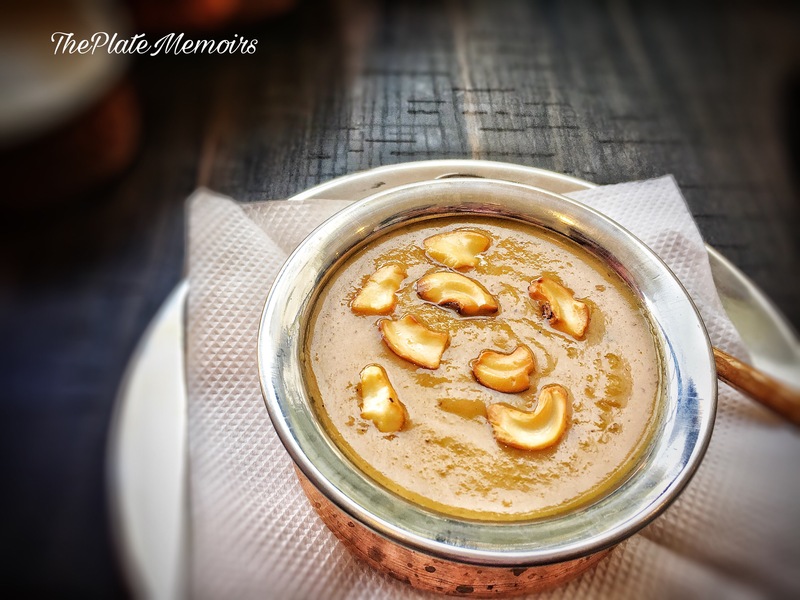 Garnished with a heavy hand of almonds, this one here is a must must must have!! 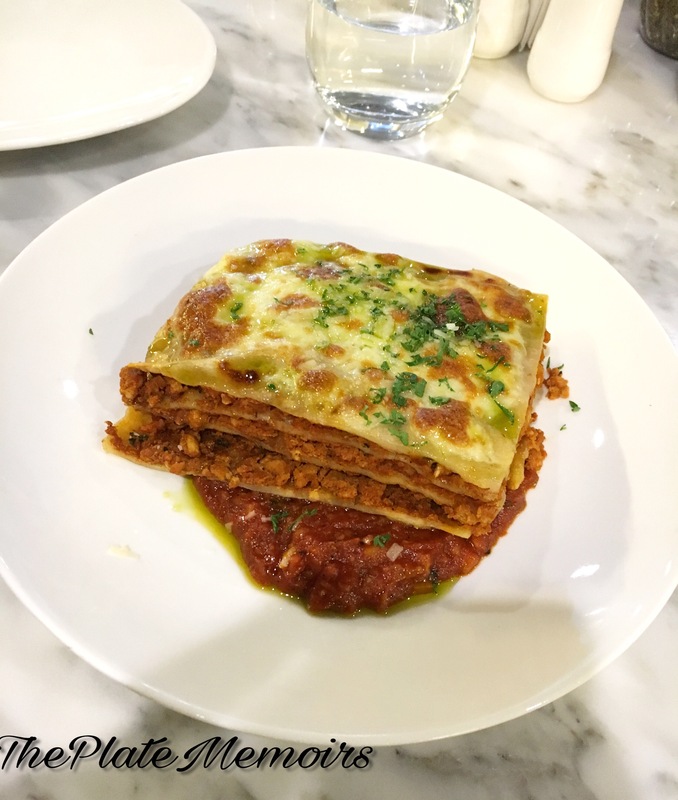 Chicken Lasagne / Veg Lasagne (Rs.295 & Rs.275 respectively) :The Lasagne here is just the most dangerously delicious one. 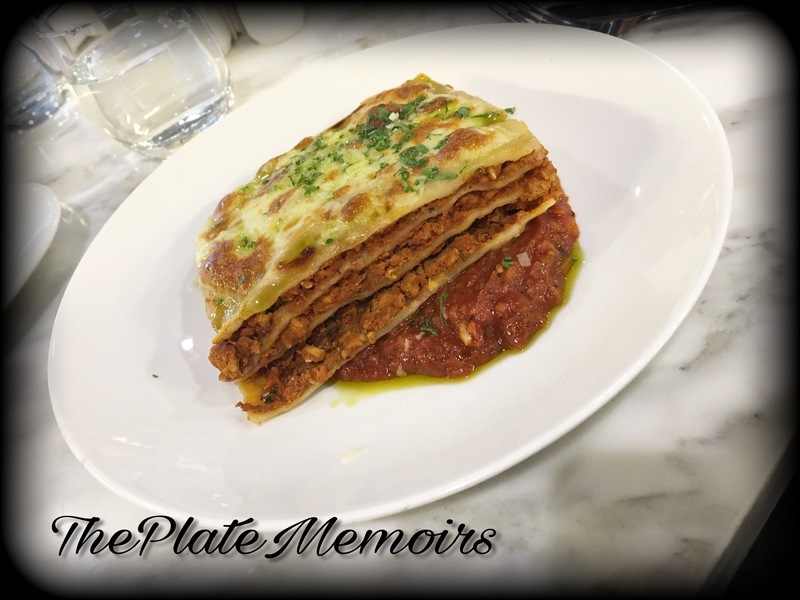 As I’m a vegetarian, my vegetarian Lasagne was a beautiful amalgamation of tangy flavours and veggies. The pasta sheets just blended into each other and gave me the right amount of delicious. The hubby on the other hand, said his chicken Lasagne was good too, but a little on the dry side. 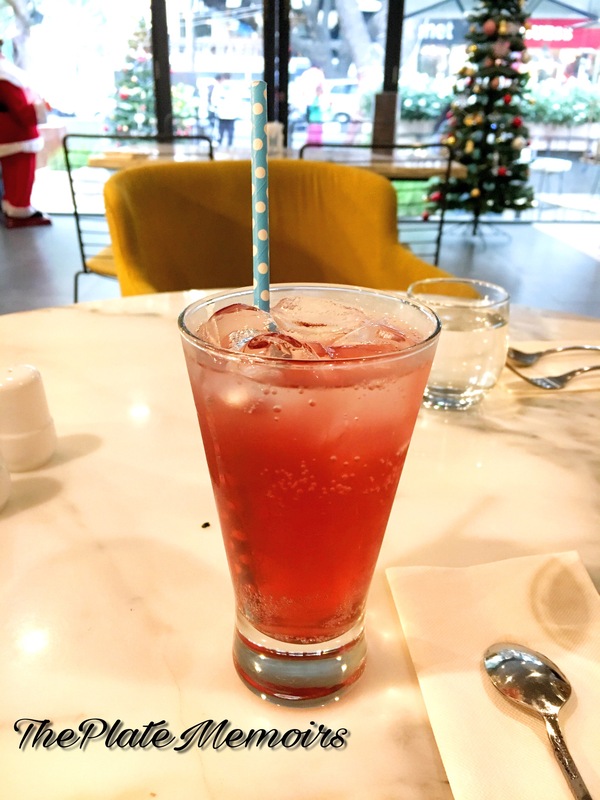 Amberine: As stated this mocktail was a beautiful mix of grenadine syrup, litchi syrup, tonic water & lime juice. The result was a mildly sweet drink, which fizzed around and actually did a great job complementing the mains. 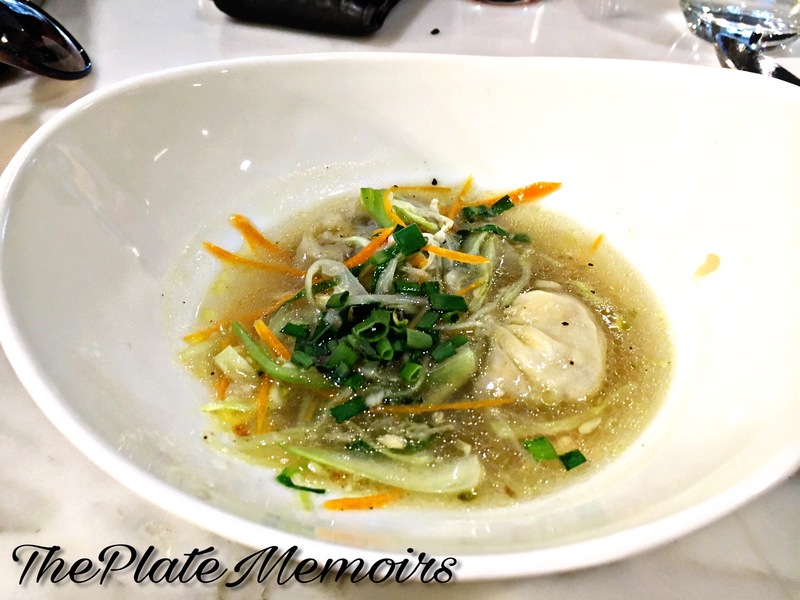 Veg dumpling soup: I really need to take a moment here.. the soup was pure bliss. The dumplings? Soft and melt in the mouth kinds. The soup had a delicious umami taste, garnished with finely sliced carrots and greens and though, I’m not a fan of clear soups; I loved this bowl of goodness. 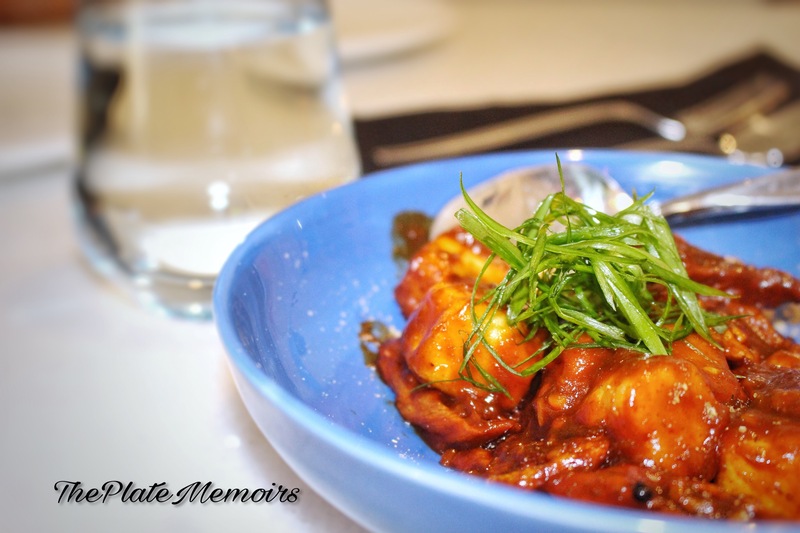 Stir Fried Cottage Cheese in Chilli Basil Sauce: The cottage cheese gravy was served with a generous helping of wok tossed noodles, served with some well marinated kimchi. As with every other thing on the menu, even this tasted good but nothing outta the ordinary to be honest. Chocolate Almond Cake for dessert: Super duper loved the pastry, the course couldn’t have ended any better. The cake was a pretty sight and an even prettier taste in the mouth. Served with some chocolate soil, the cake was intense with the chocolate. Smoor is a true chocolate enthusiast’s dream. The true love of someone who doesn’t have just a sweet tooth, but a whole set of sweet teeth. 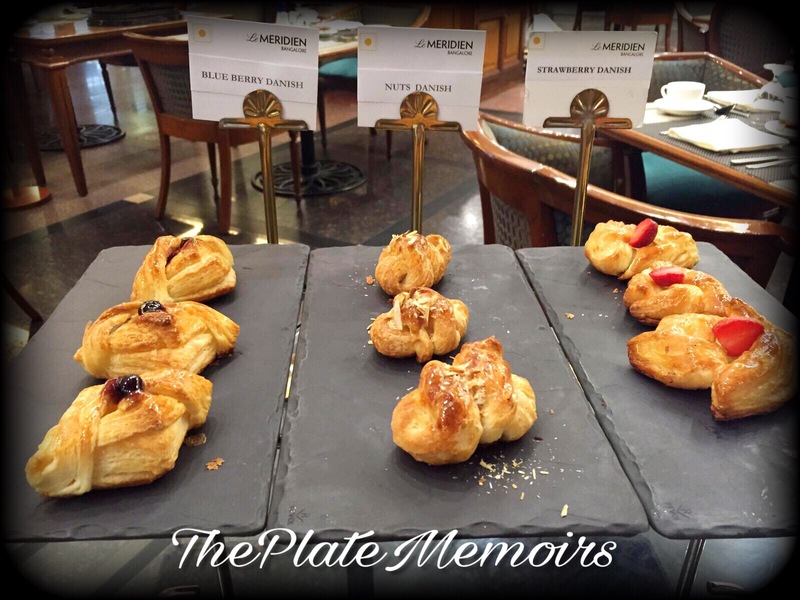 The milkshakes and sundaes are again outta the world and the pastries match up to 5 star chocolateries/patisseries. 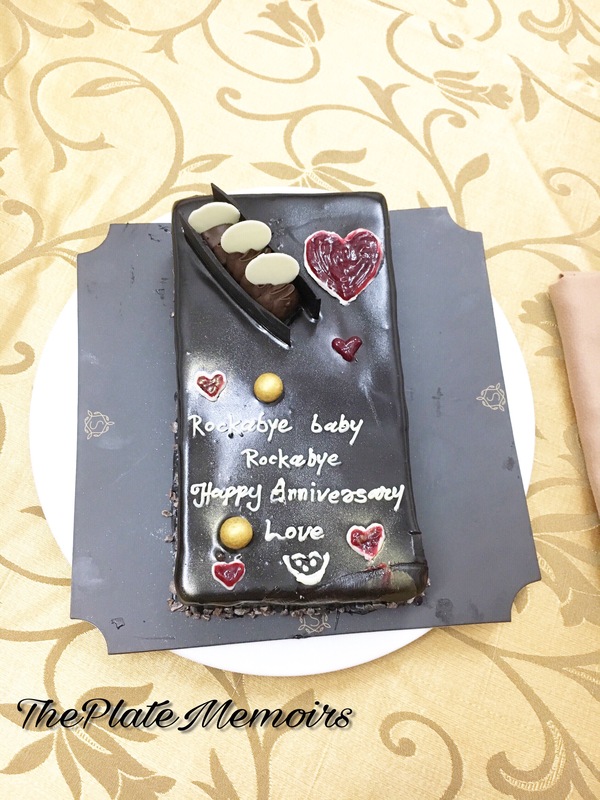 I, super love it so much, that any celebration is incomplete without it! Check this one out, that I had for our 5 year wedding anniversary. 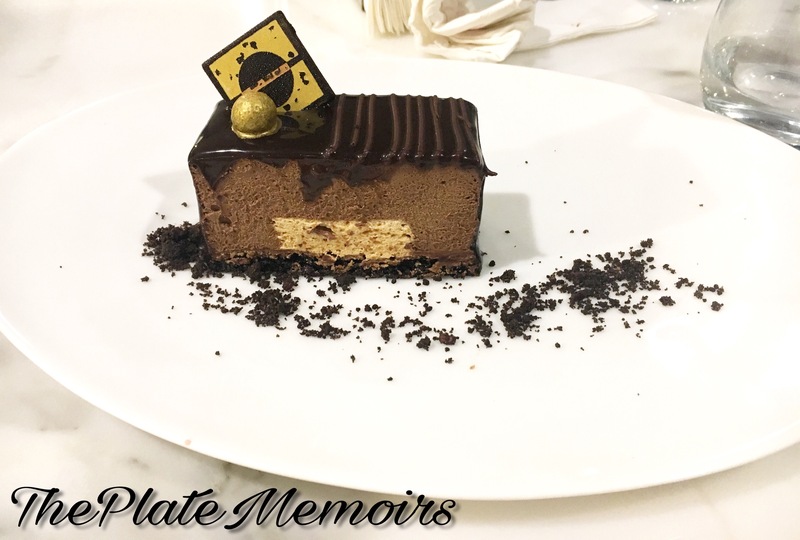 It’s a Belgian chocolate truffle, which doesn’t just taste decadent, but is also mesmerising! Verdict: I, can pretty much pretend play to be an augur and tell you that this place is going to nestle itself right into your hearts and round tummies. It’s gonna be a favourite among our favourites. 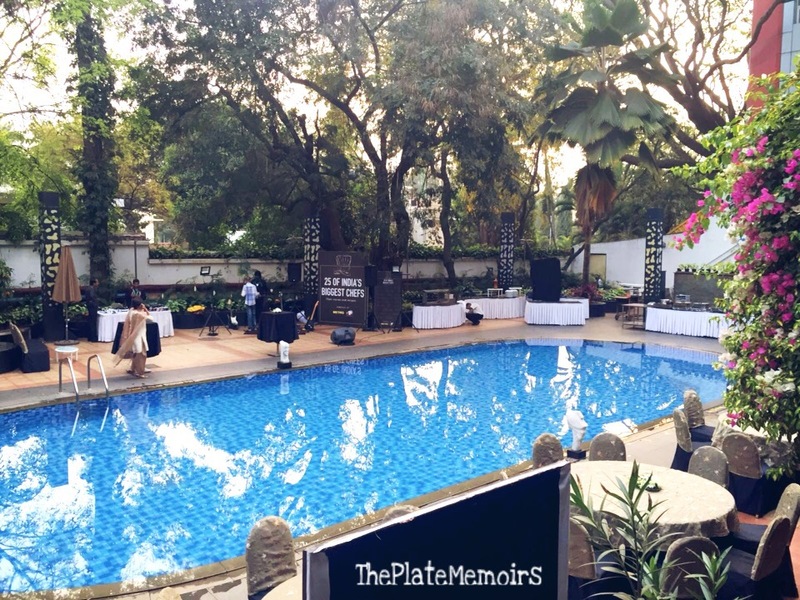 The balmy February evening, making you feel all fuzzy was a precursor to an event of grand proportions. The clickety taps on the keyboards were heard, the wait staff rushing towards last minute finishes & the bustle of excitement increasing by the strike of the minute hand. 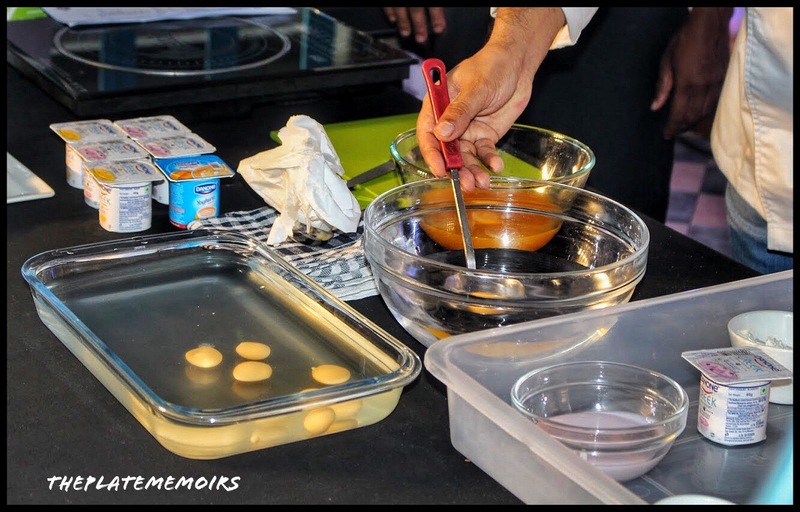 This was the scene at the Book Launch by Metro-Cash & Carry’s “25 of India’s Biggest Chefs- their stories & recipes” by Dr. Saagarika Ghoshal. 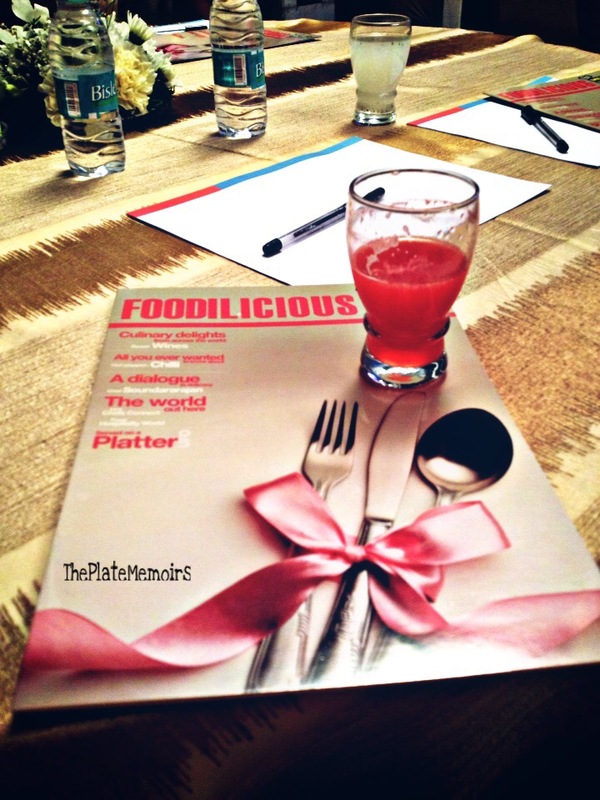 I, was bestowed with this opportunity,from team “Food Bloggers Association,Bangalore” aka FBAB. They were generous enough to get me a pass, so that I could witness the event. 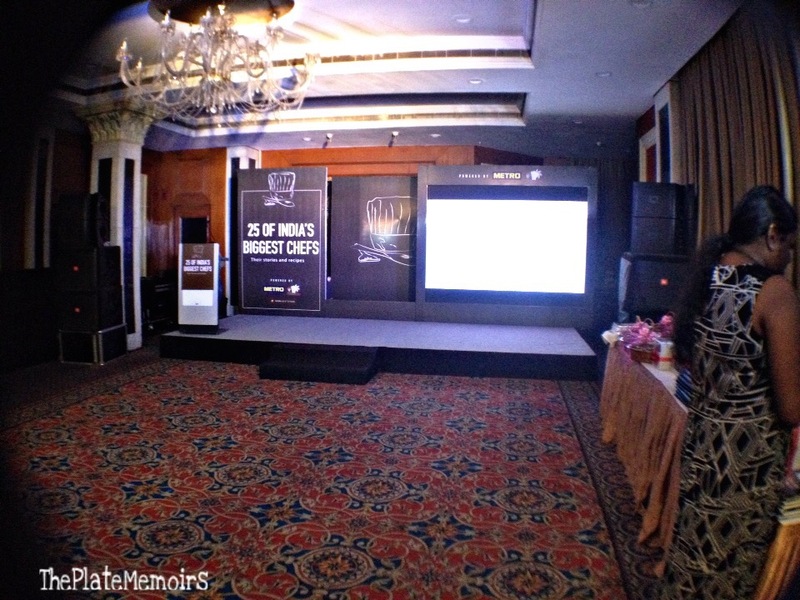 The venue was “Le Méridien” & we were ushered inside the banquet hall, where the magic would take place. All of us anticipated fervently for Dr. Saagarika Ghoshal’s arrival. Then, there she was.. A beautiful, beige & gold saree clad lady, with a heart melting smile. We were treated to an AV by “Metro-Cash & Carry”, which spoke about the ethics of METRO. 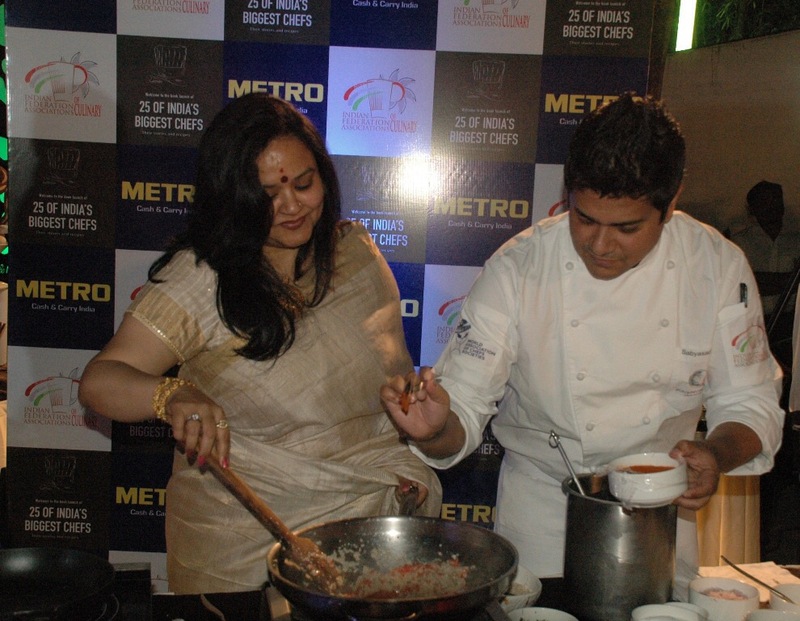 Emphasising on how METRO believes in “Local produce, by the Locals & for the Locals”. 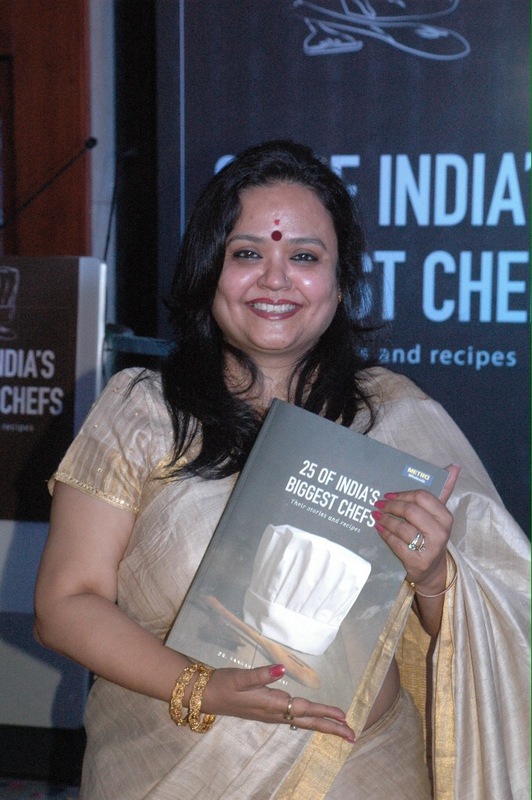 The book launching ceremony was conducted by all the esteemed guests of honour & the author herself. With confetti flying up in the air & music that pumped your adrenaline, the book unveiled just in the most magnificent fashion. 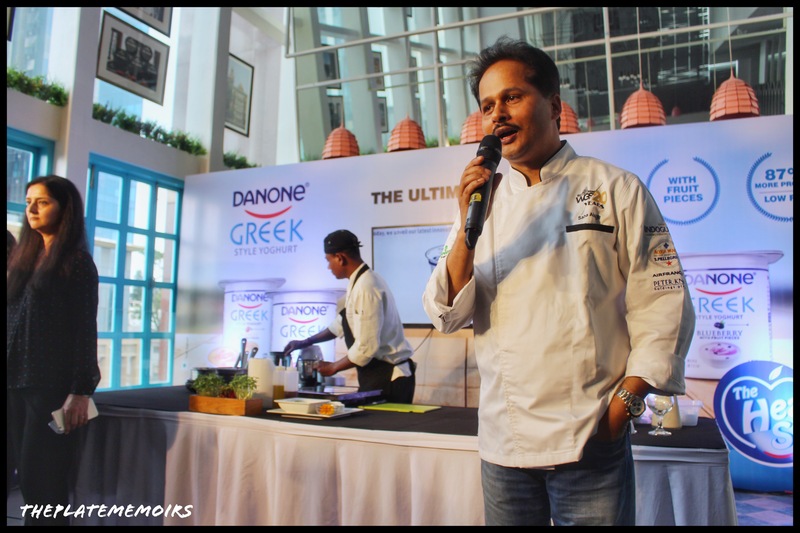 On the occasion, Dr. Saagarika Ghoshal also felicitated chefs from across the hospitality industry for their unique creative contributions. 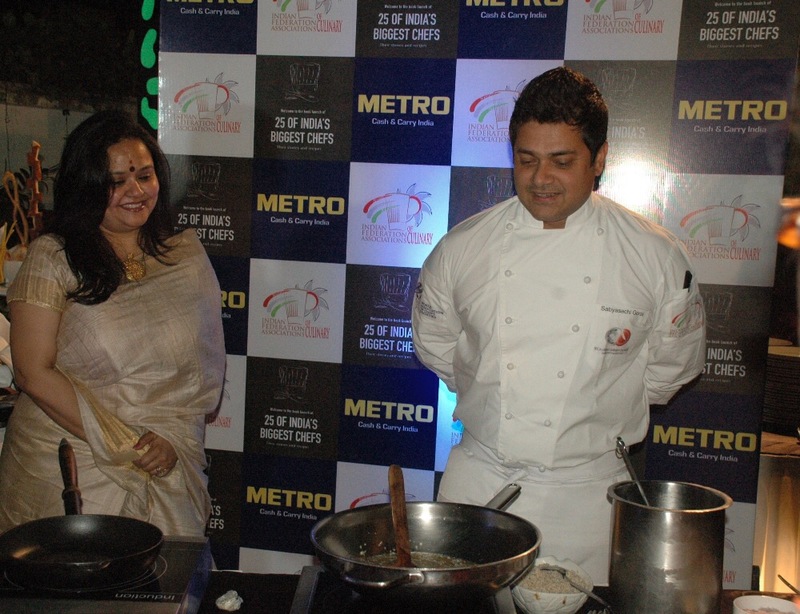 Those honoured included chefs Abhijit Saha, Kunal Kapoor, Sabyasachi Gorai and Vicky Ratnani, among others. METRO is represented in 26 countries, with 750 self service outlets. 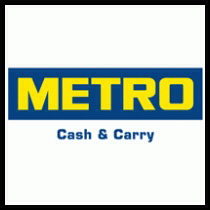 Headquartered in Düsseldorf, Germany, METRO-Cash & Carry is a sales division of “METRO GROUP”. 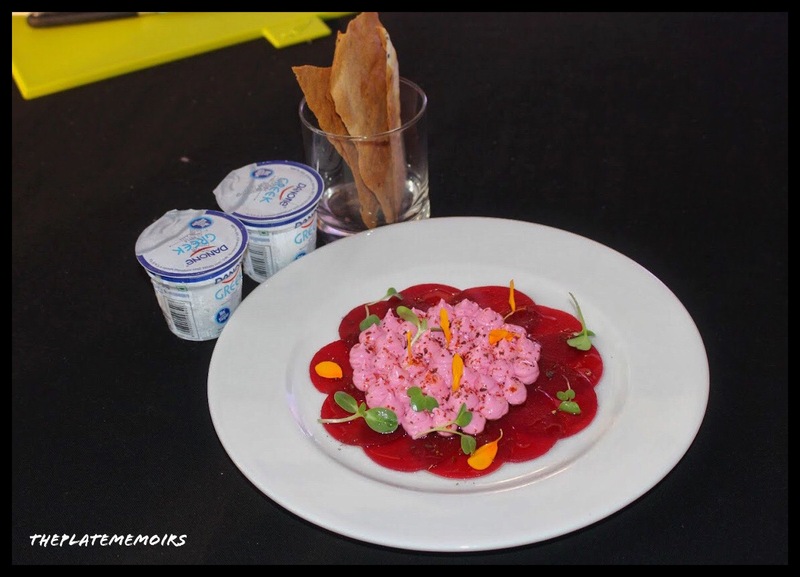 METRO has built a reputation for the quality of food products and services it offers to hotels, restaurants, catering businesses. 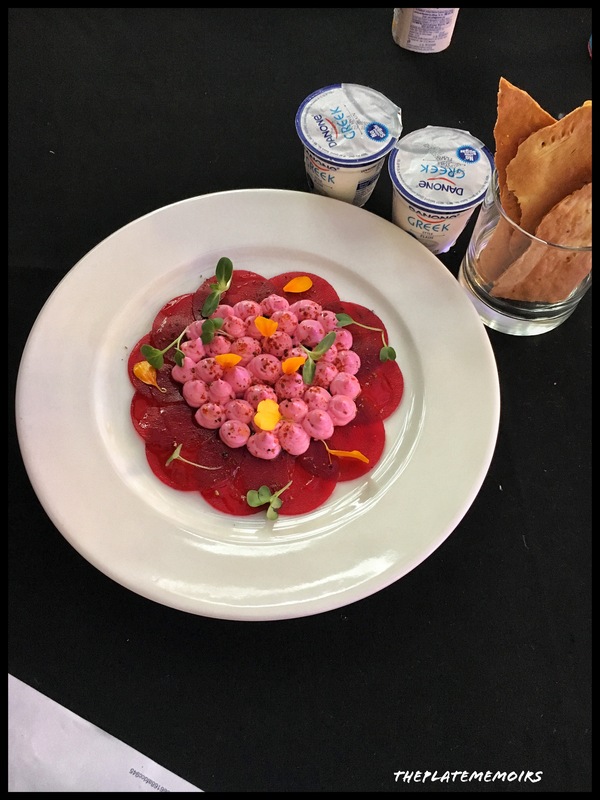 The company takes pride in the lasting relationships it has forged to support the food and hospitality sector, and has created the well-recognised Chef-o-logy platform to support and nurture promising culinary talent. 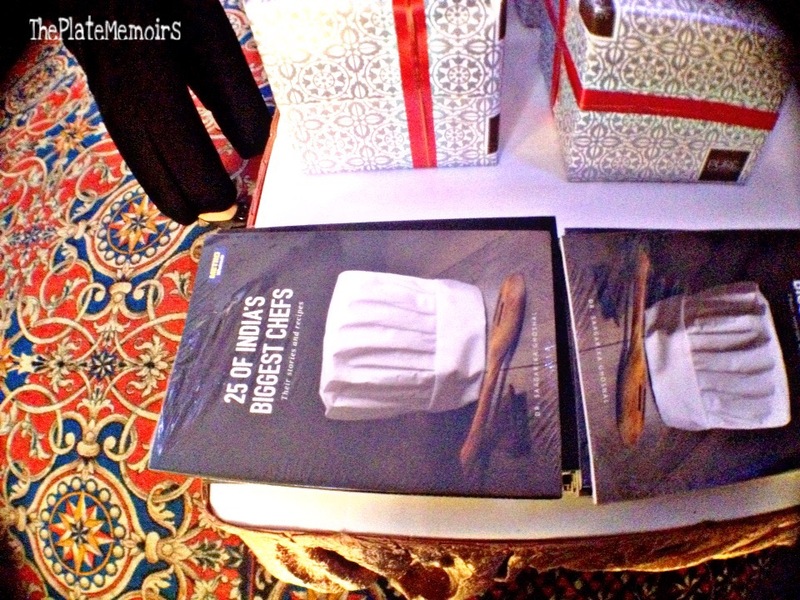 The latest recipe book launch is a part of METRO’s continued efforts to showcase such talent among food lovers and cooking enthusiasts. 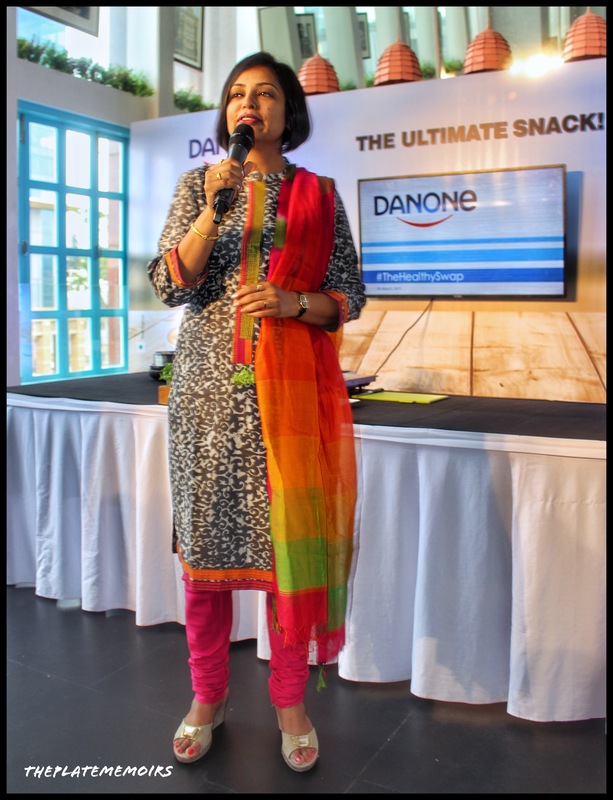 We were also lucky to see, clips of the chefs who couldn’t be present for the launch, send in their best wishes to Dr. Ghoshal. 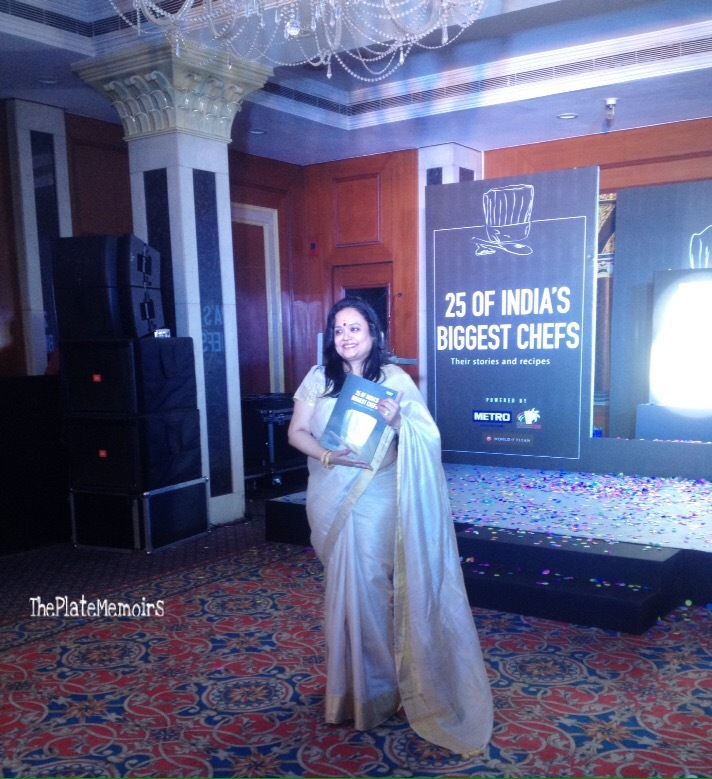 What is “25 Of India’s Biggest Chefs” all about? 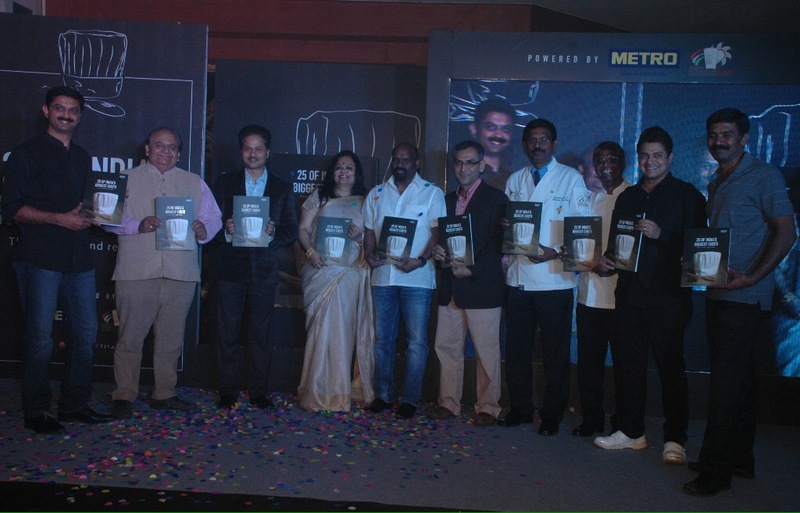 The book has been launched by METRO-Cash & Carry, where it’s a painstakingly beautiful compilation of signature recipes, by the top 25 chefs of India. 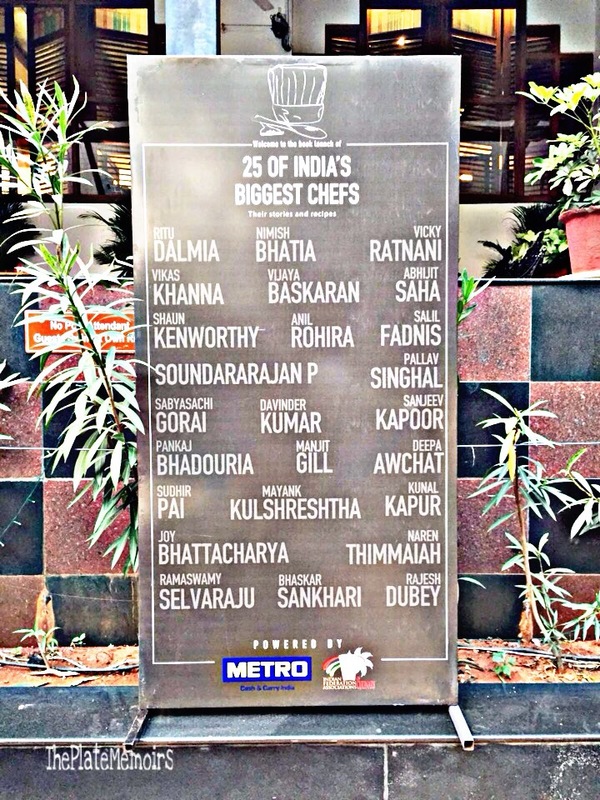 The list which decided the top 25 chefs wasn’t an easy one. 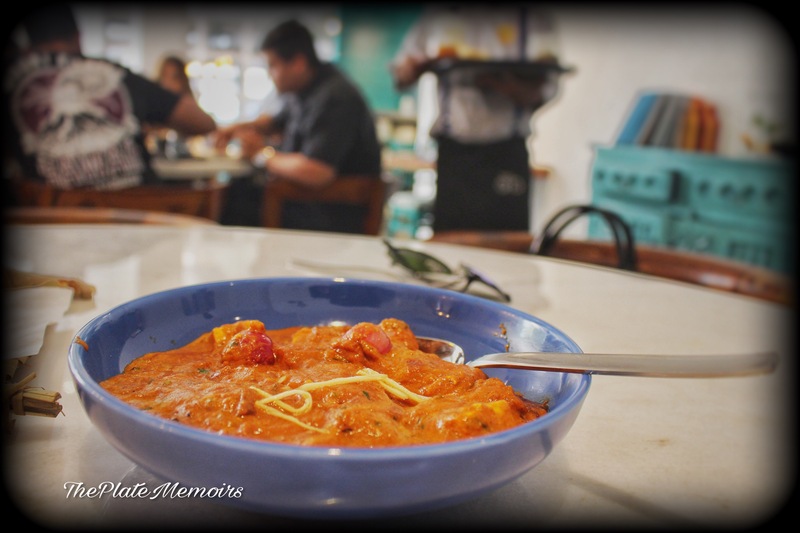 Each chef, had to in his own way, put India onto the culinary map of the world. He had to be an ambassador who had represented India. 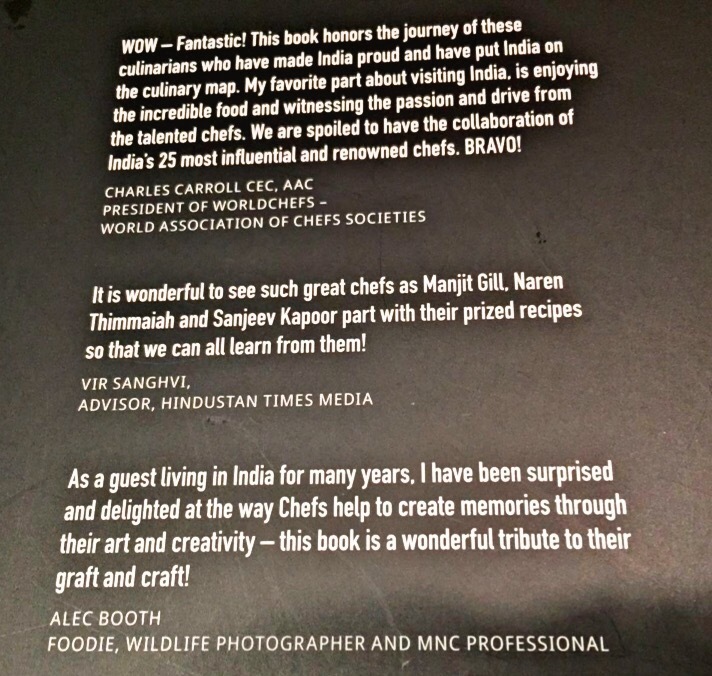 So, in regards to that, they came up with the top 25 chefs & went on to tell you personal snippets of their success story, in this book. The efforts behind this book seem almost facile but it really was far too abstruse, supplemented by sleepless nights, long conversations & numerous cups of coffee. The project reached its completion within a span of 6 months. 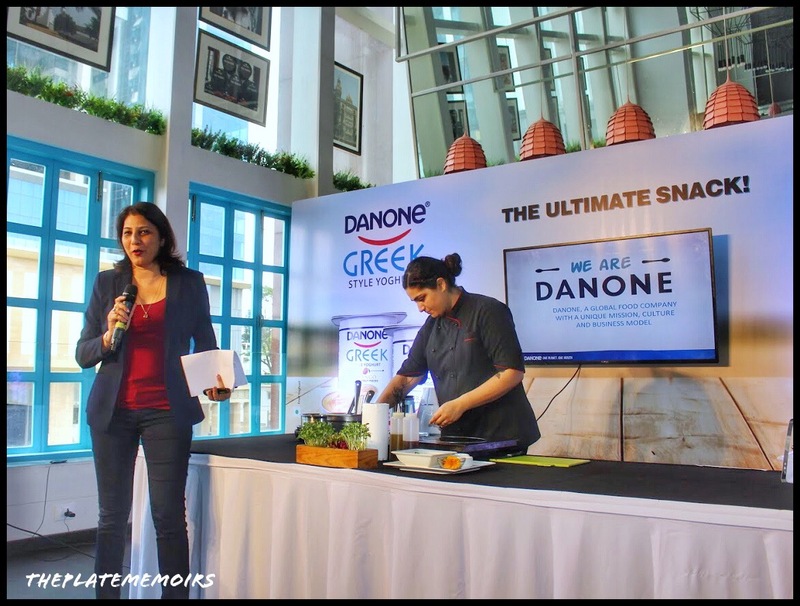 Now, isn’t it a thing of utmost joy to have these culinary stalwarts grace the grip of your fingers & share their recipes & stories with you? 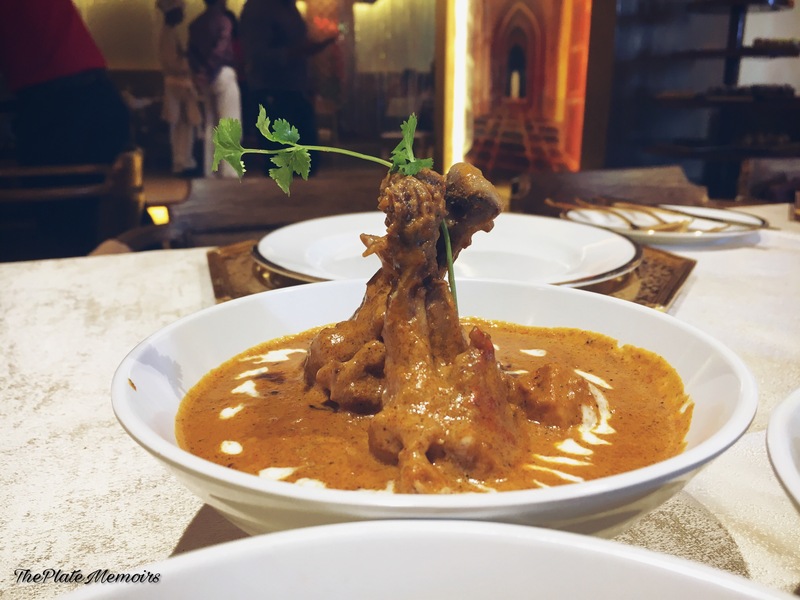 From Chef Sanjeev Kapoor’s Shaam Savera to Chef Kunal Kapur’s Haleem Kebab and Chef Vikas Khanna’s Star Anise and Bay Leaf-Infused Lamb Chops, each recipe is a testament to their unique signature styles. It lays stress on convenience & taste. She’s the Director of Human Resources at METRO-Cash & Carry India. A lady, who has gone ahead to appreciate food & develop a bond with it. She’s a versatile individual. I, loved the book & I found it, strike a chord with its readers. The book excites you as the pages flip, leaving you helpless in delirium about which recipe is your favourite. 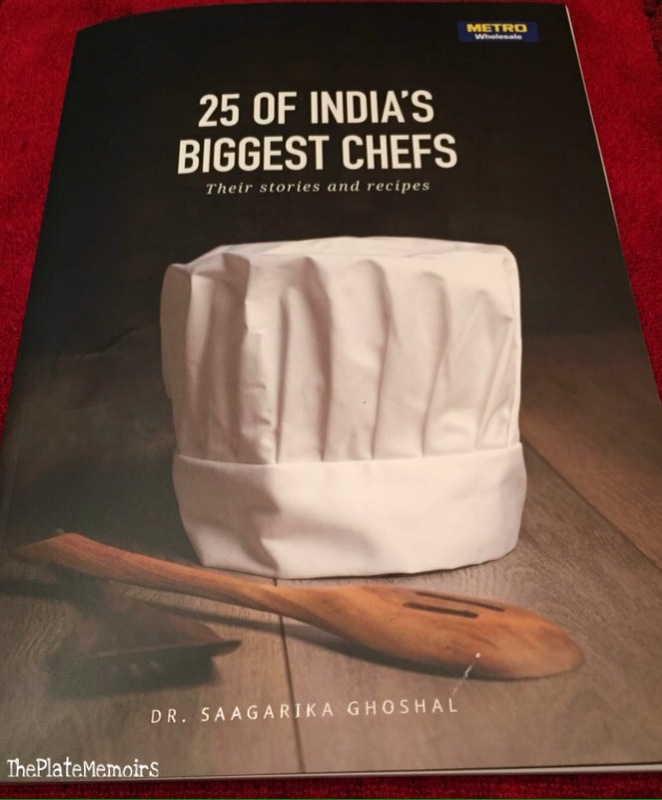 A must have for the foodie soul & someone who loves experimenting with food. 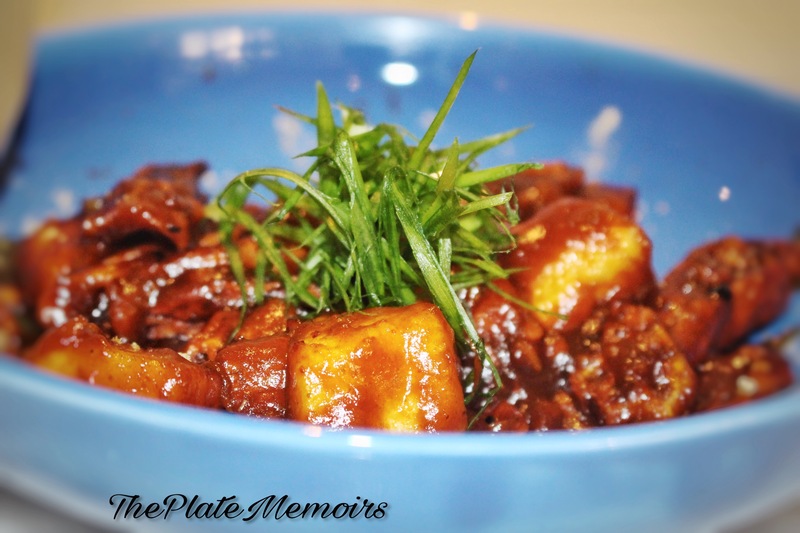 This is a compact, flavour filled & an easy to follow cookbook. 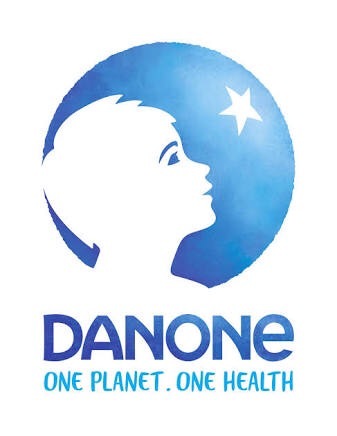 Wishing “Dr. Saagarika Ghoshal” astounding success with her book.